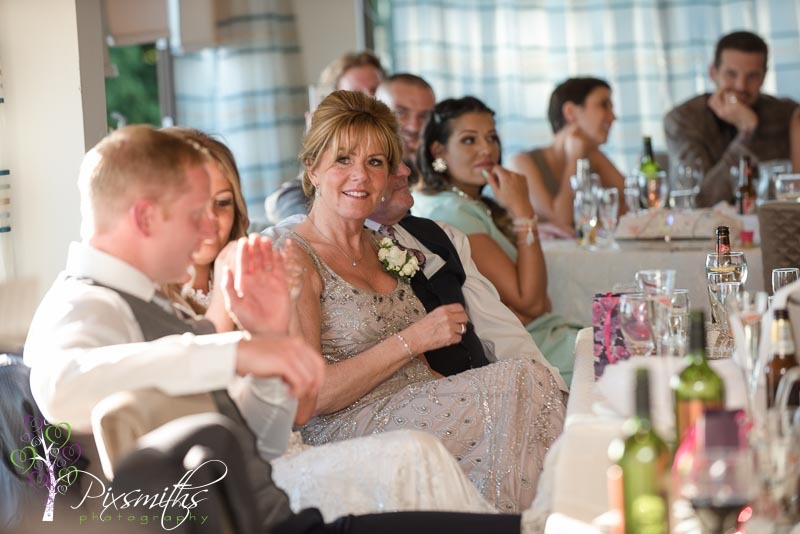 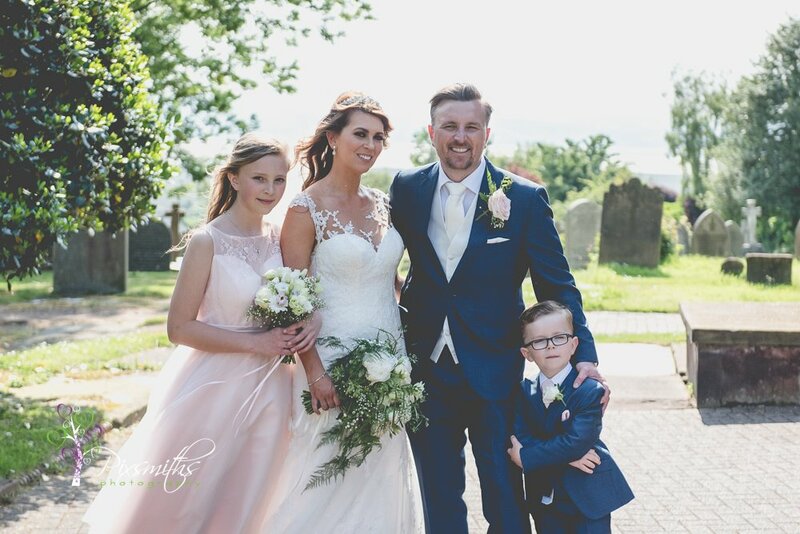 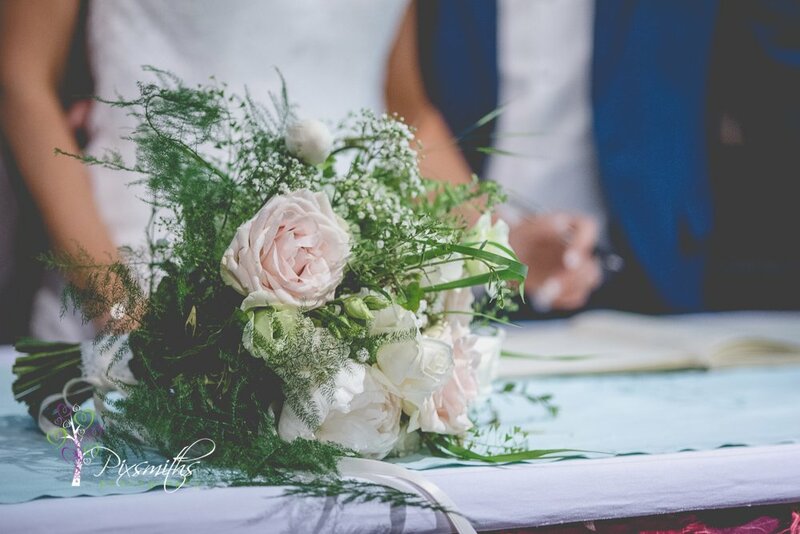 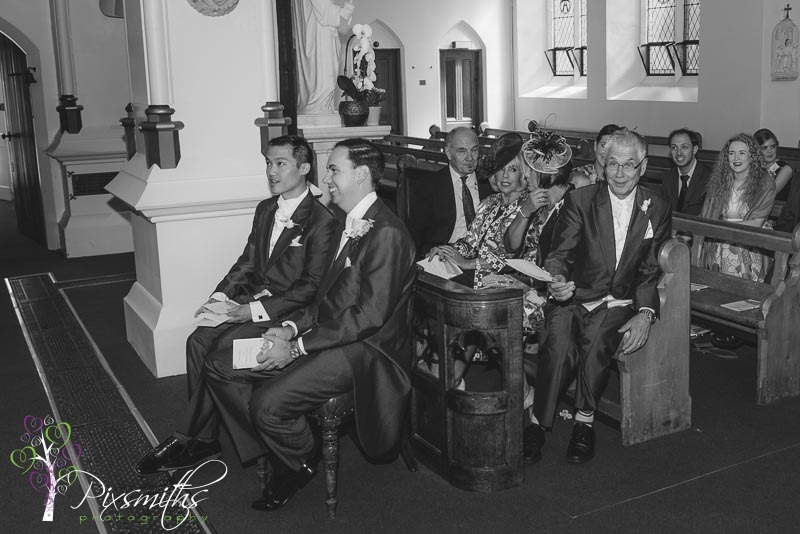 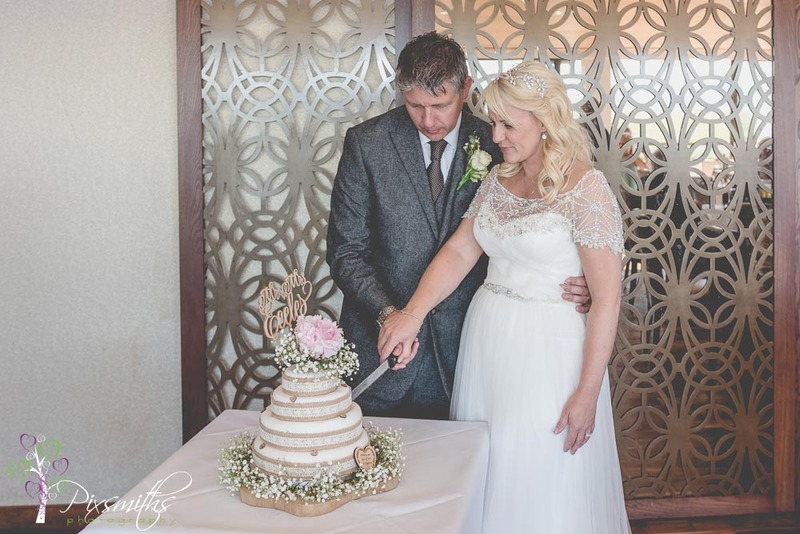 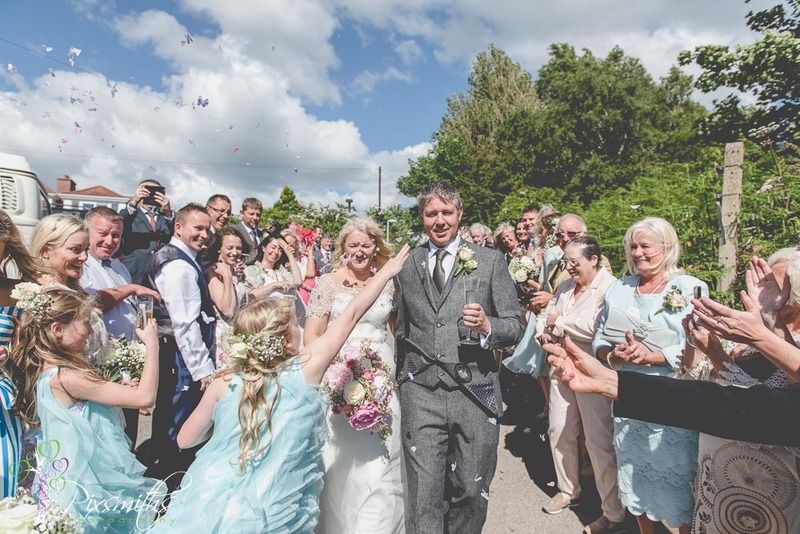 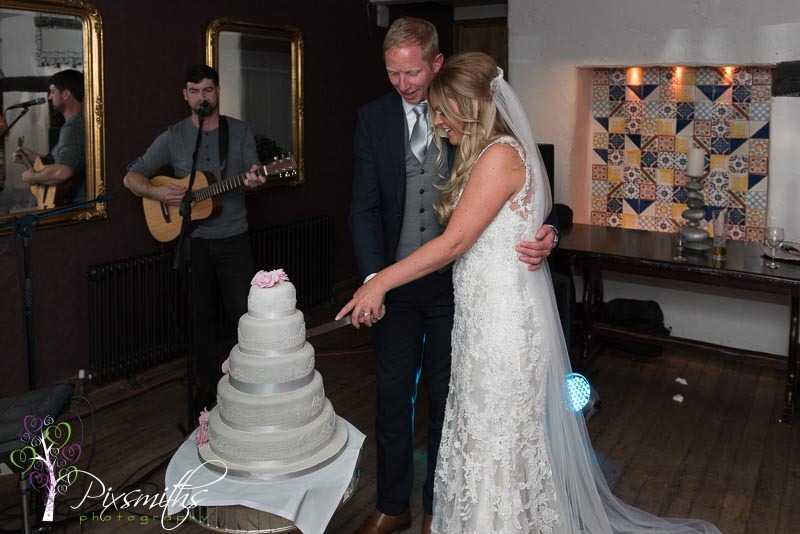 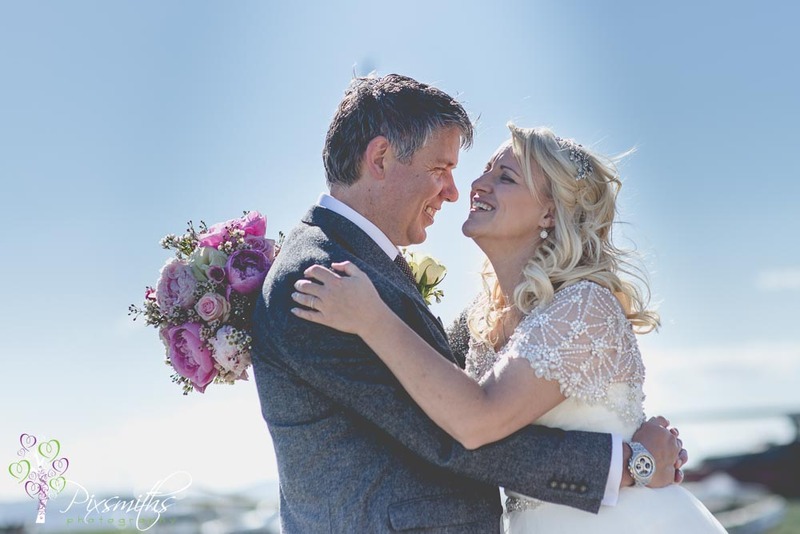 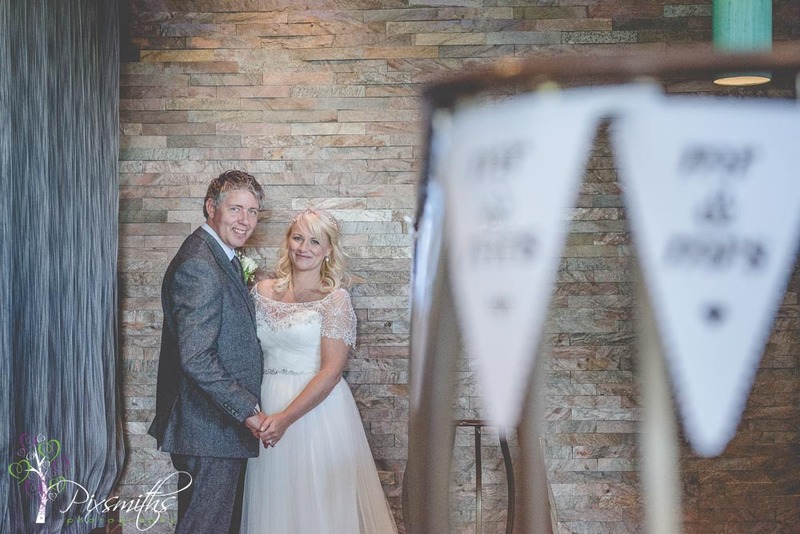 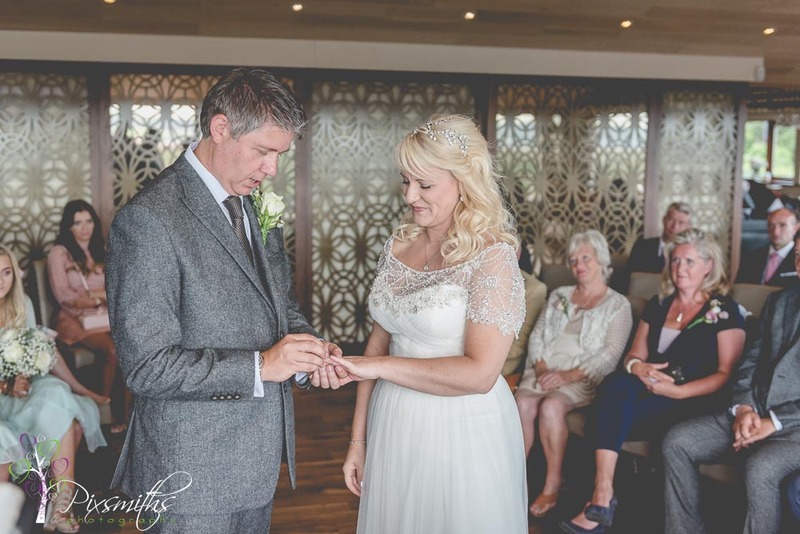 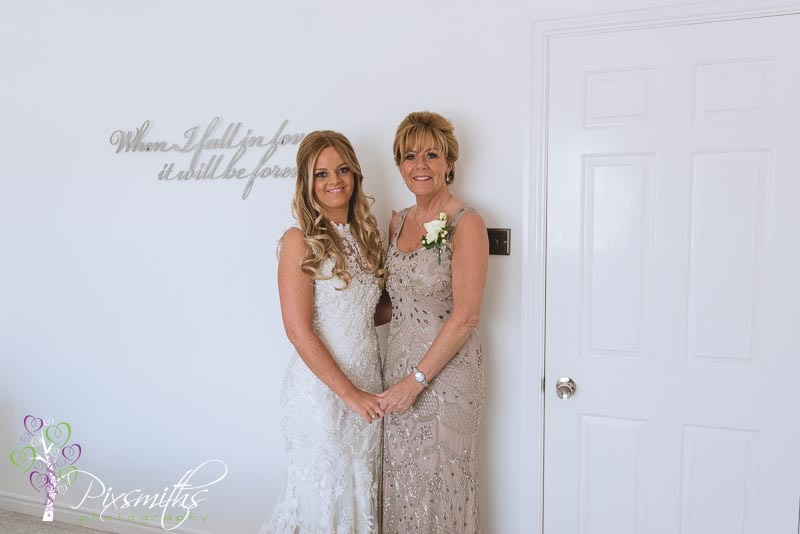 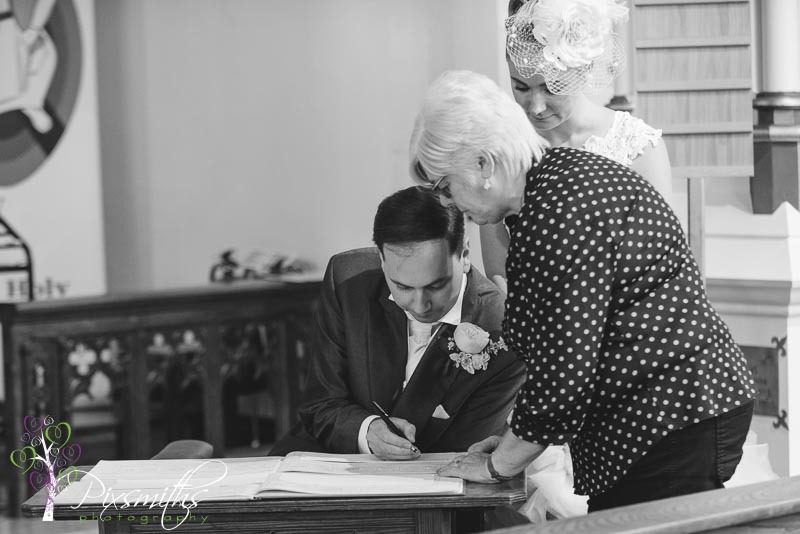 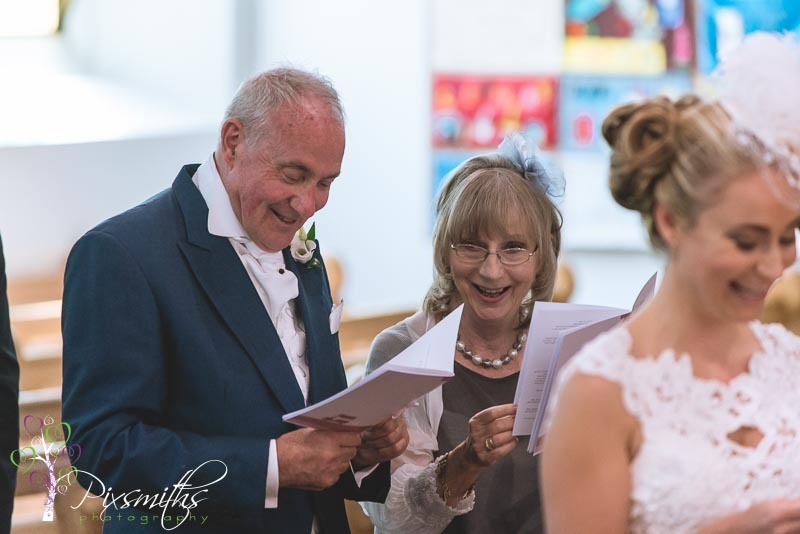 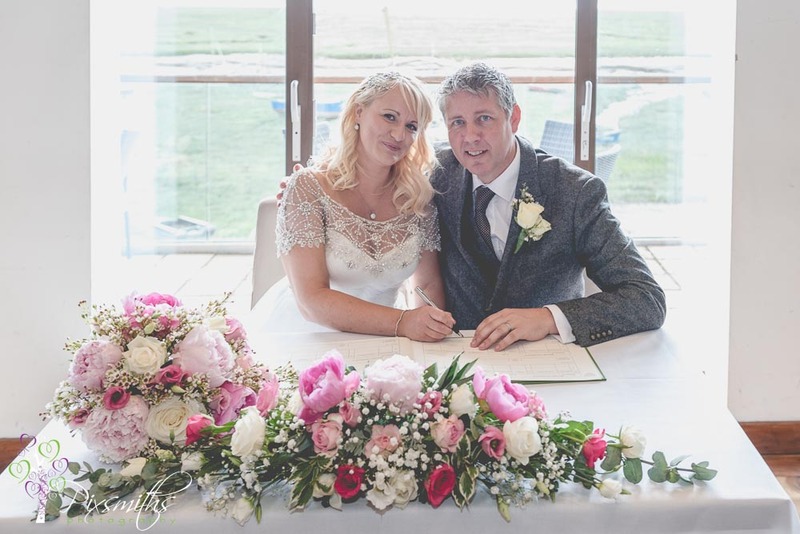 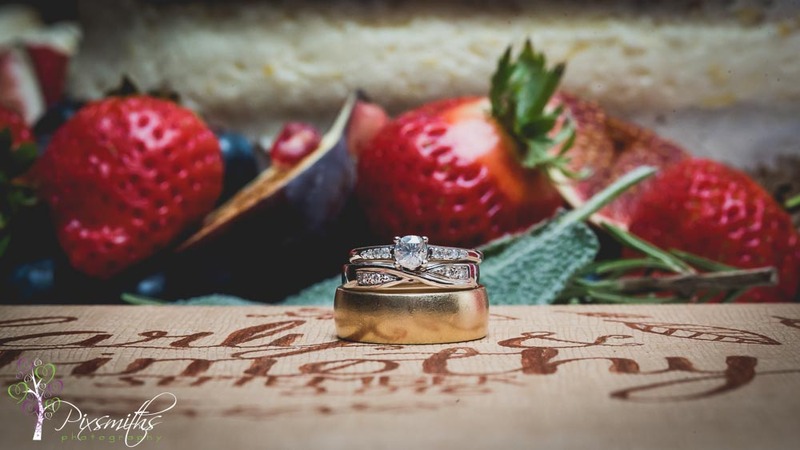 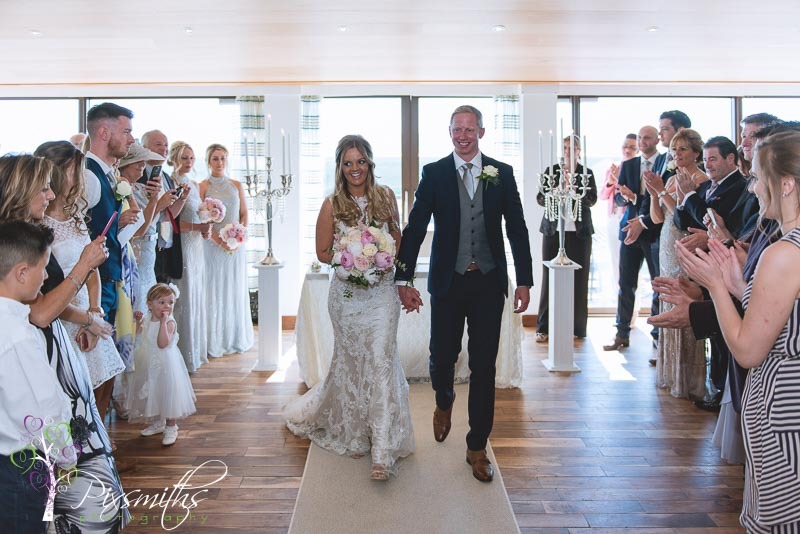 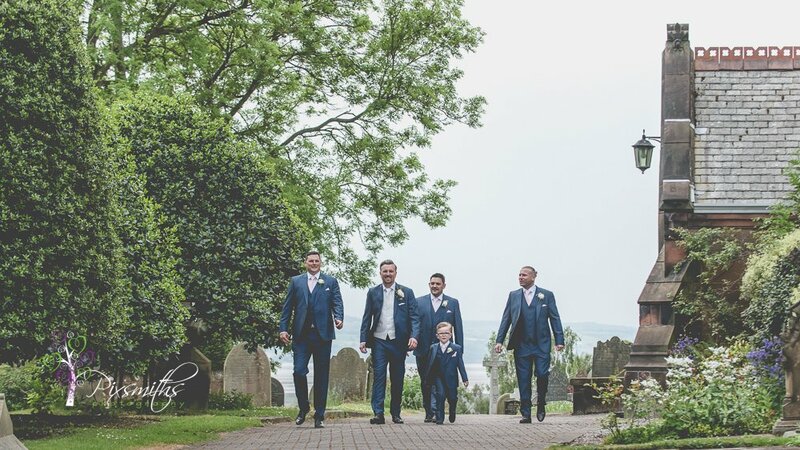 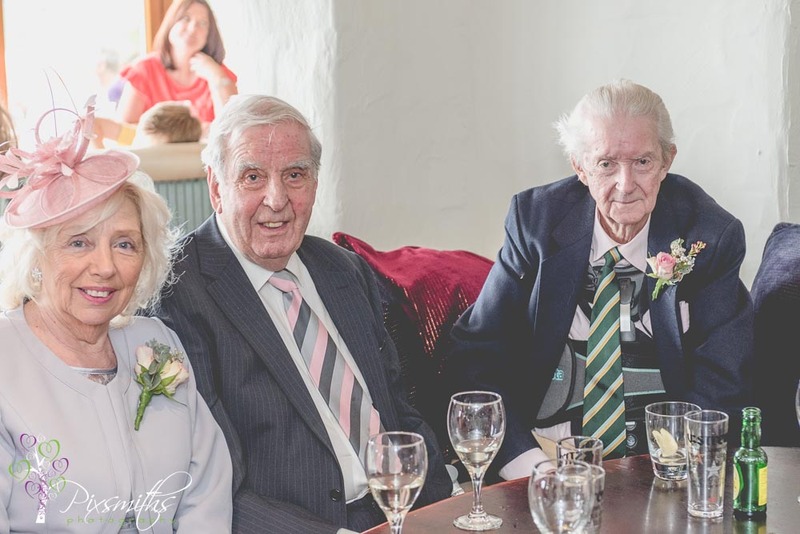 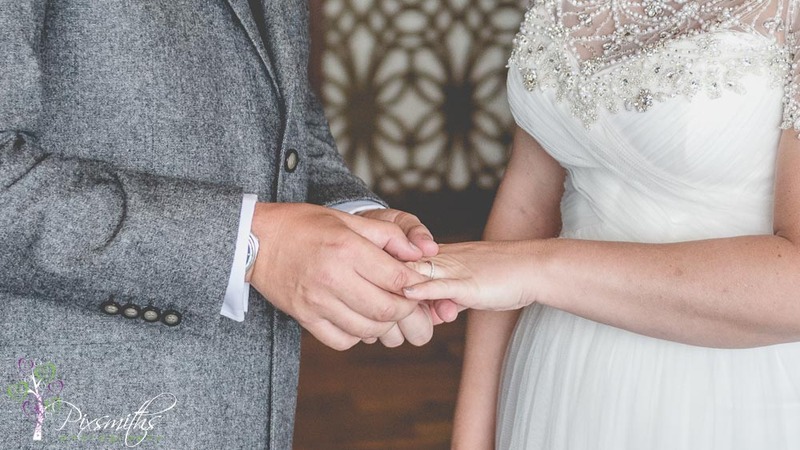 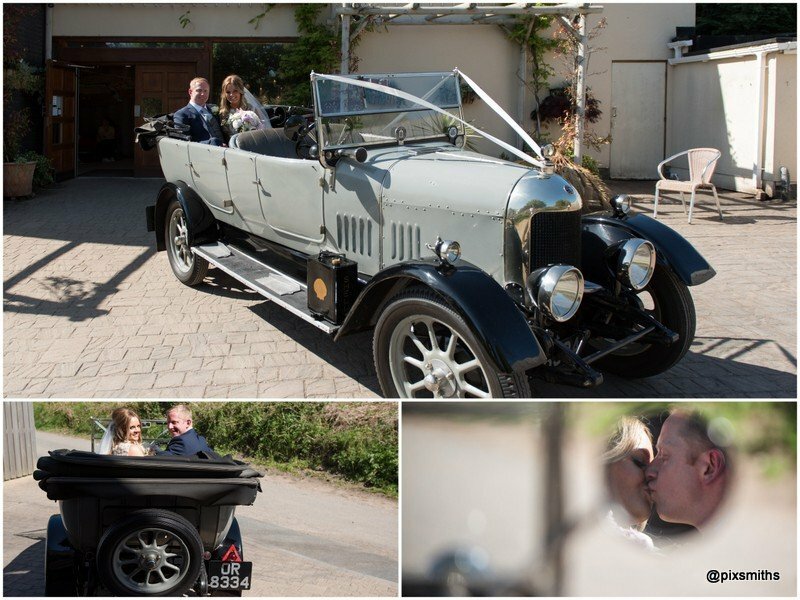 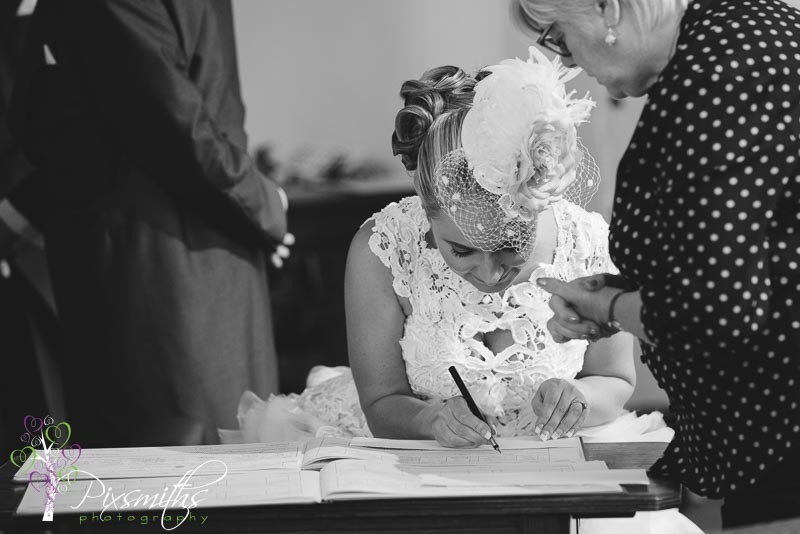 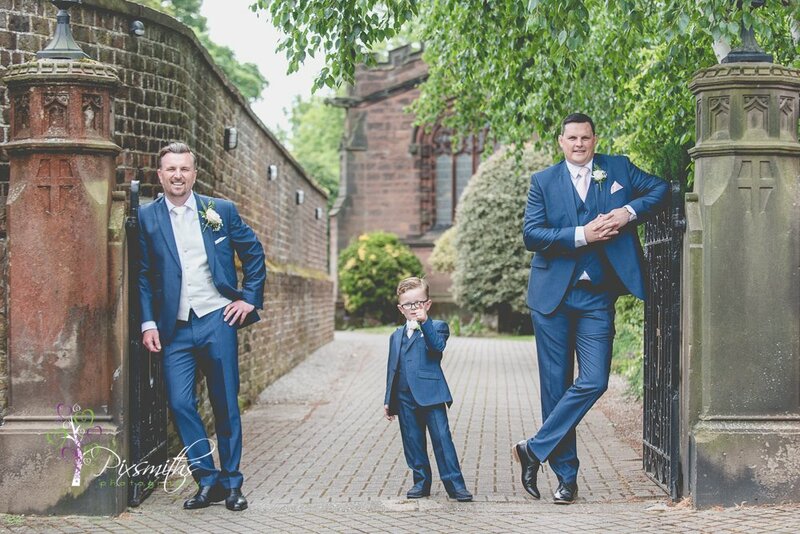 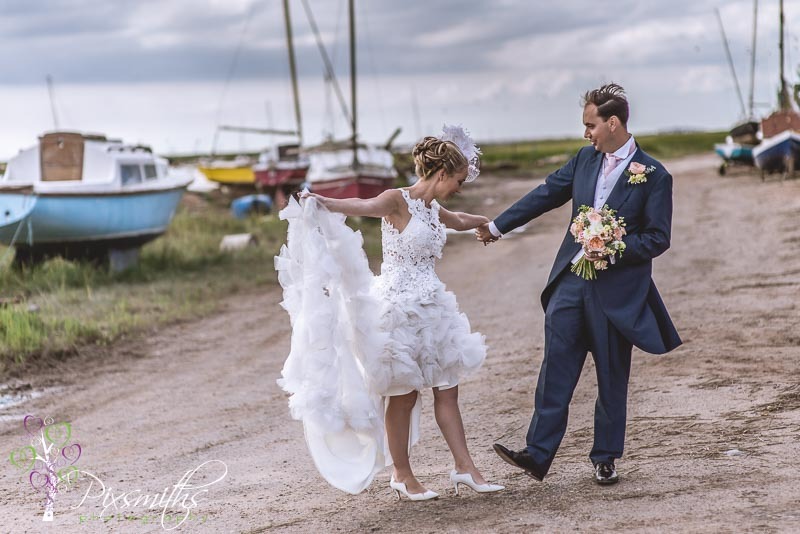 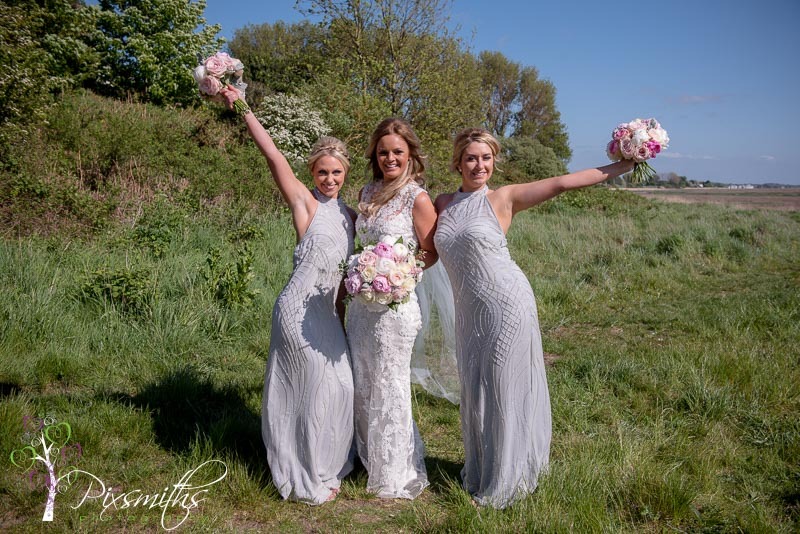 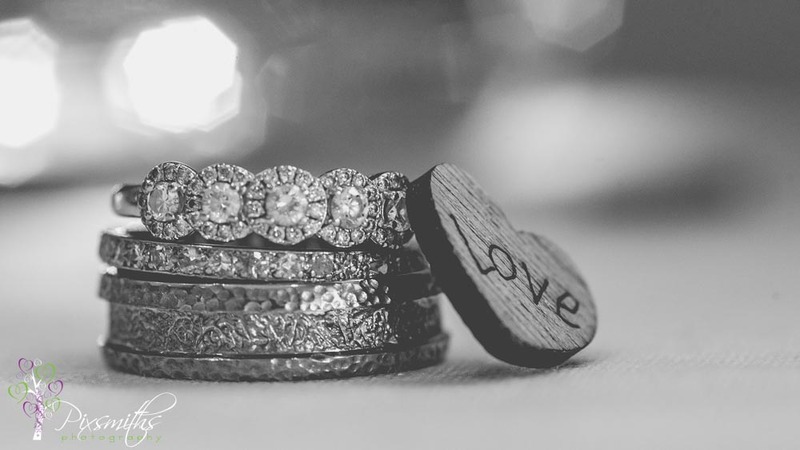 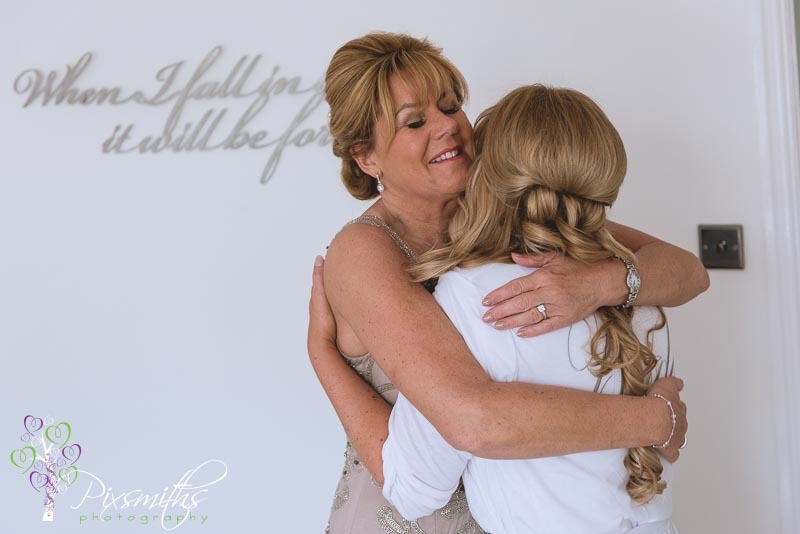 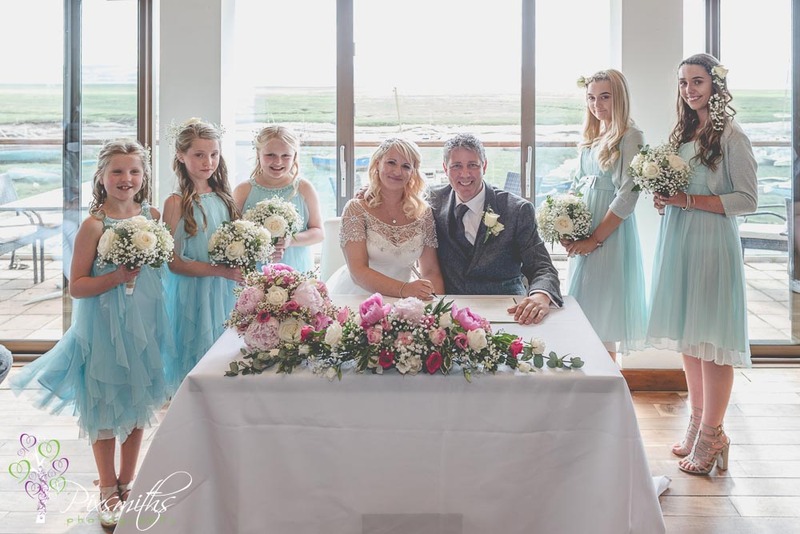 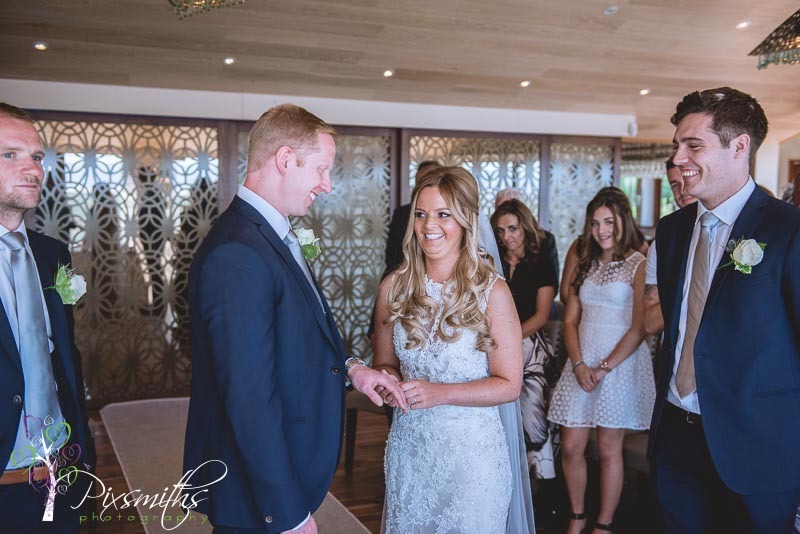 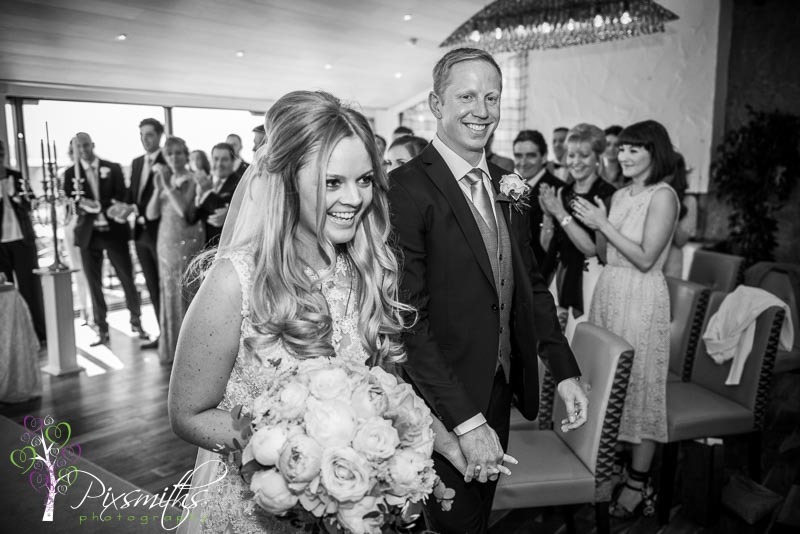 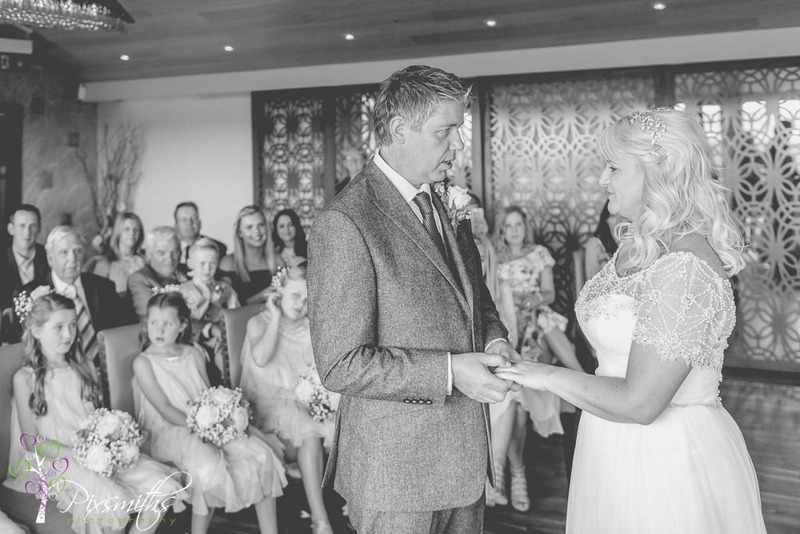 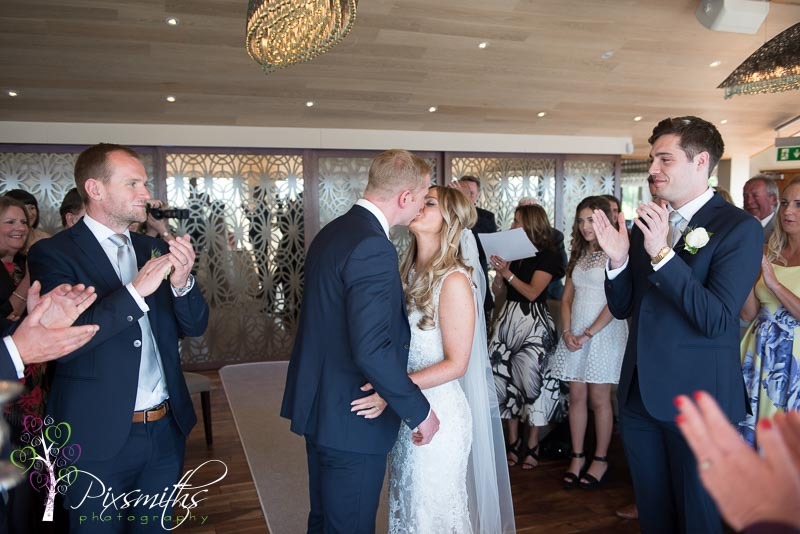 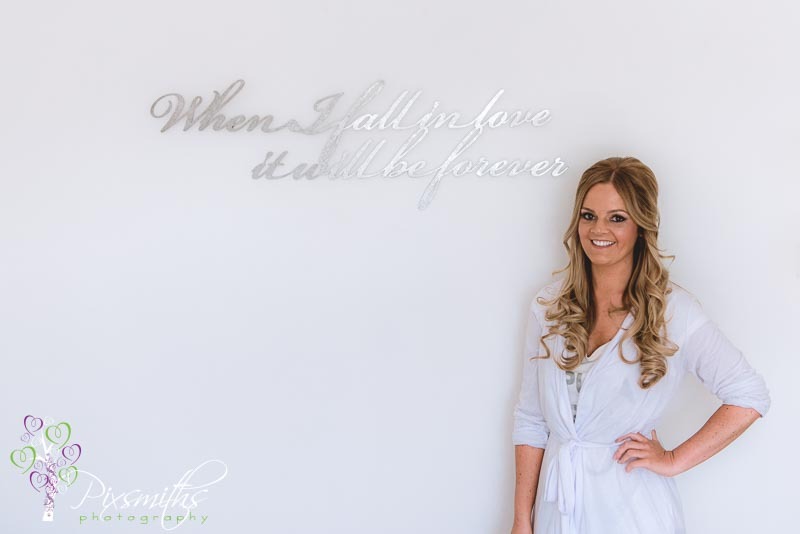 So now time to celebrate their love and commitment …not only with an eternity ring but a wonderful wedding! 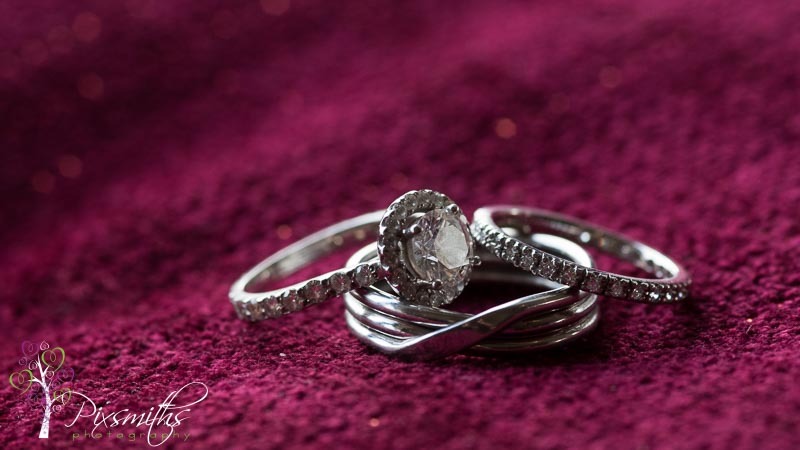 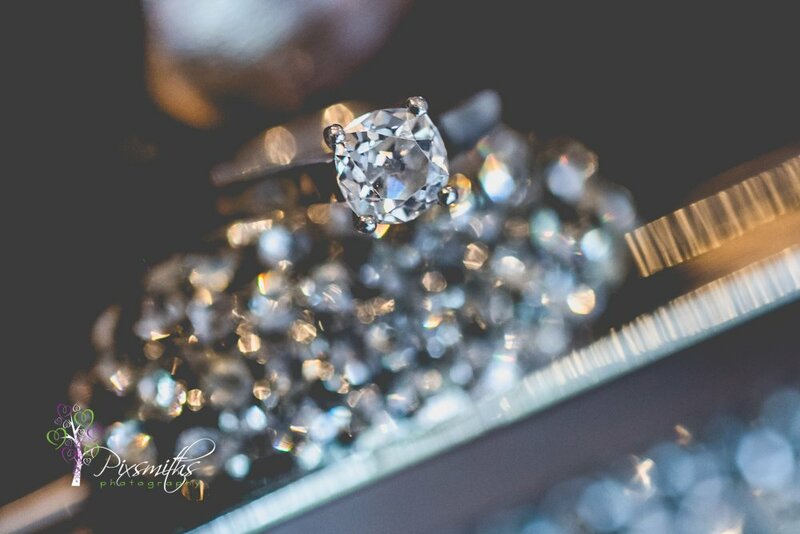 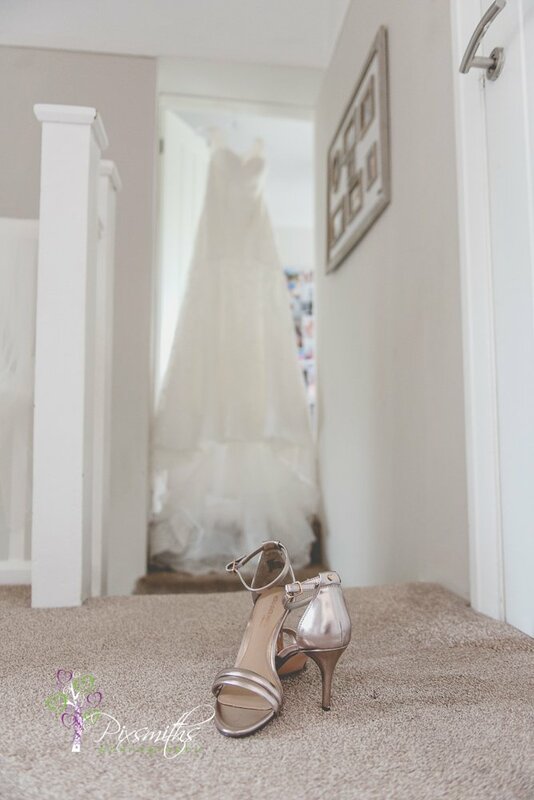 The whole day had such a relaxed happy feel to the day,Sandy was in sparkly ring heaven with the gorgeous details. 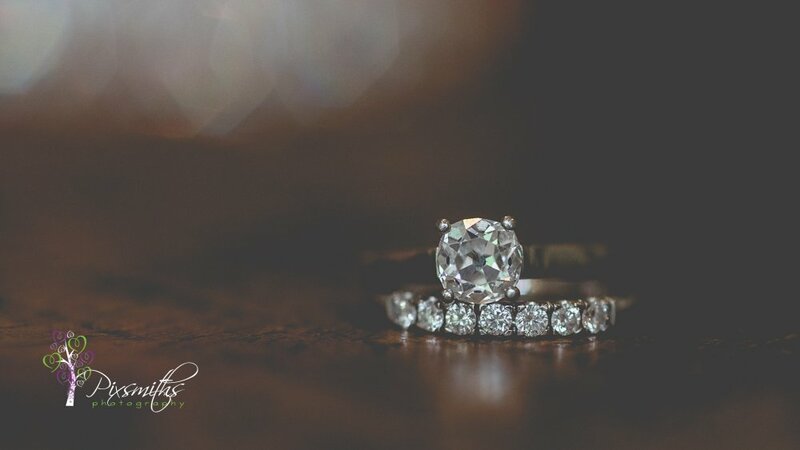 knowing Jen’s engagement ring was designed with a grandmother’s diamond was even more special. 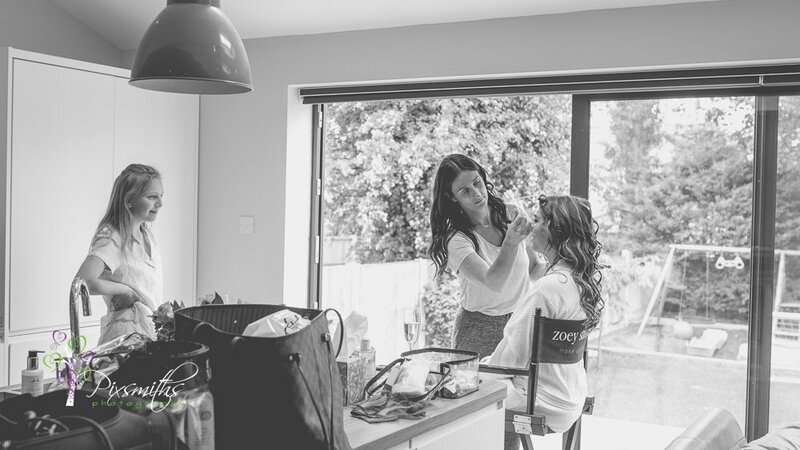 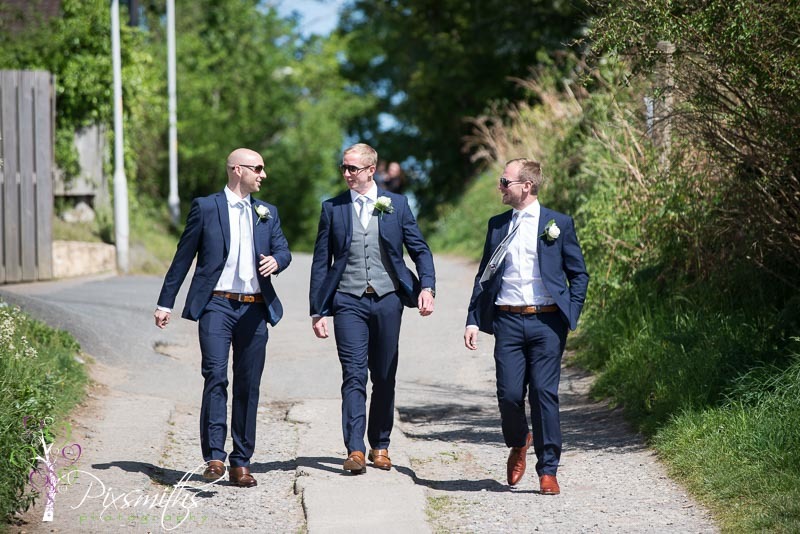 Meanwhile the guys were getting ready at a nearby family home – it was great to be able to get both bride and groom preps captured. 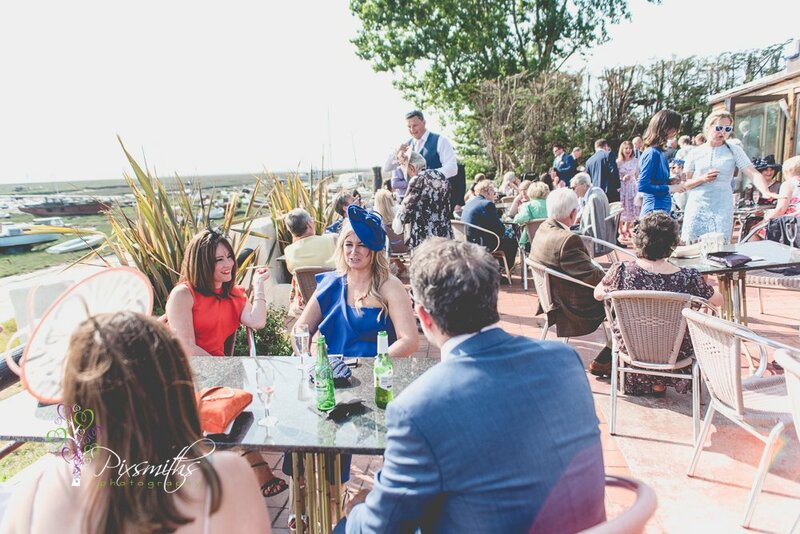 Afterwards whilst the bus did its first trip to nearby Sheldrakes we captured some family groups and a big group on the terrace at Sheldrakes as guests enjoyed the sunshine and canapes. 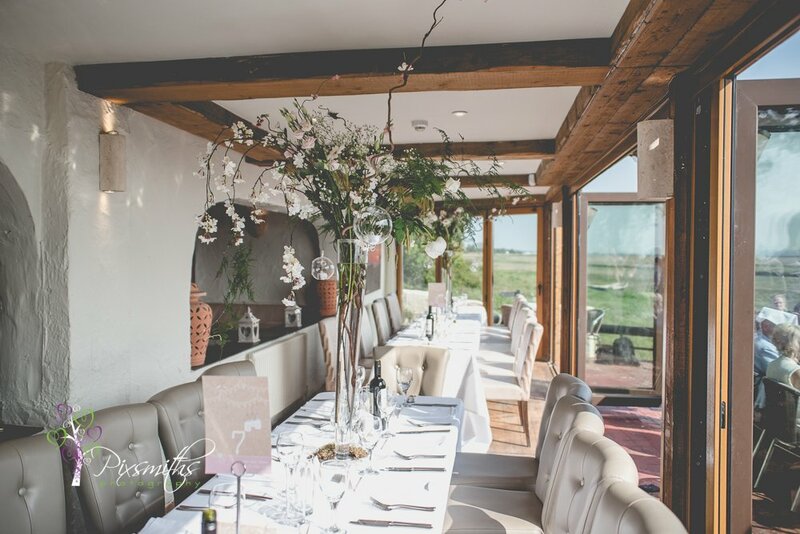 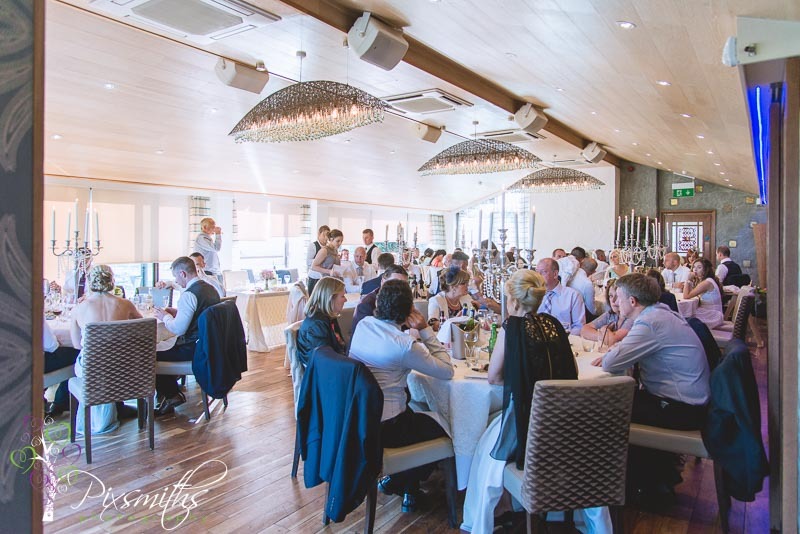 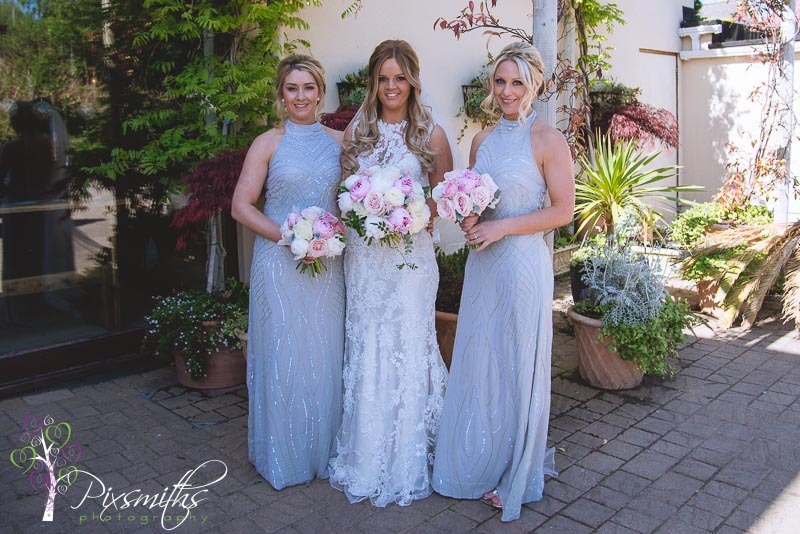 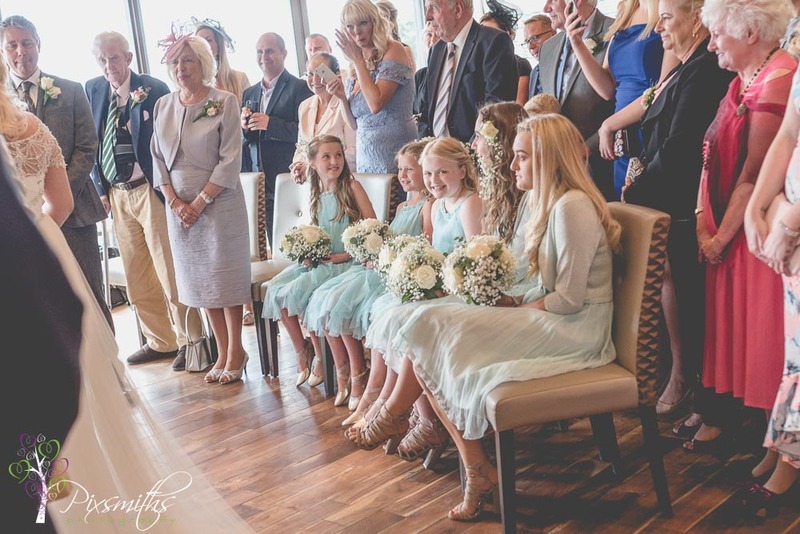 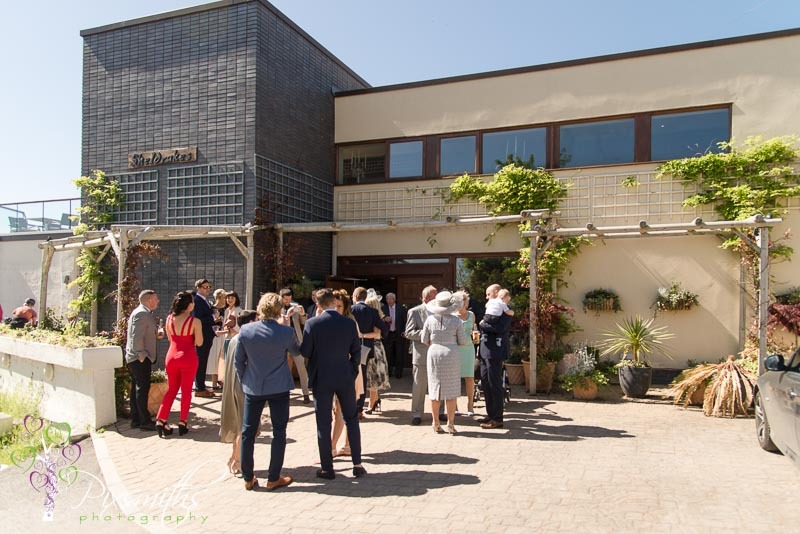 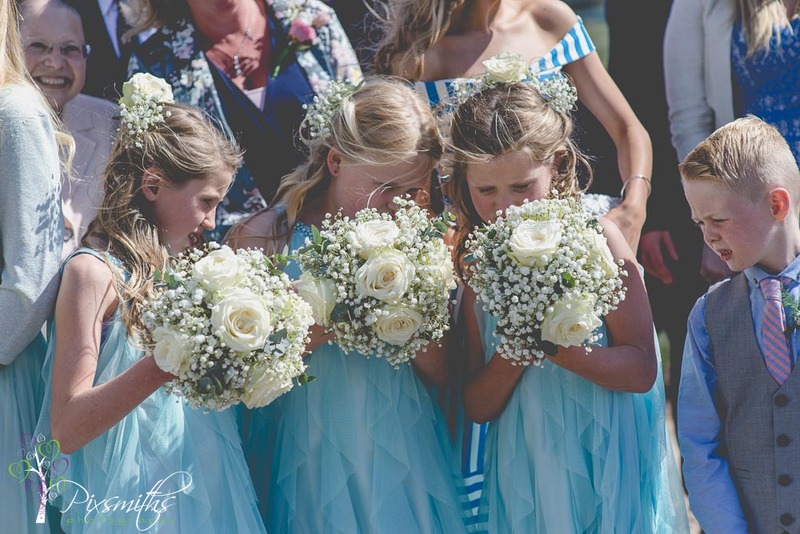 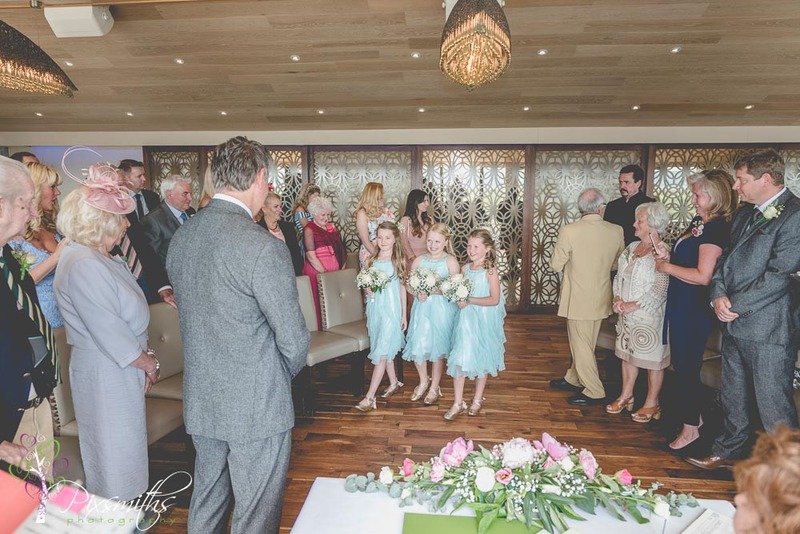 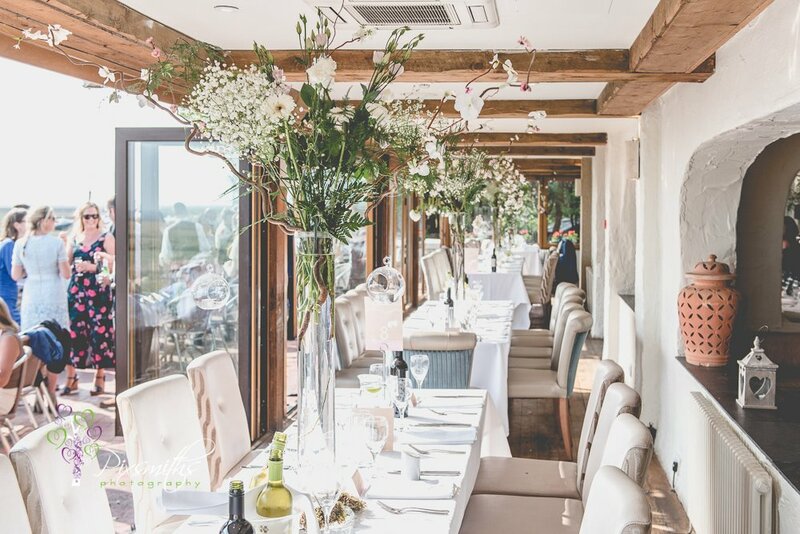 The flowers supplied by Lyndaflora were stunning – the tables around the lower restaurant area were elegantly bedecked with tall vases with white and green flowers, simply stunning. 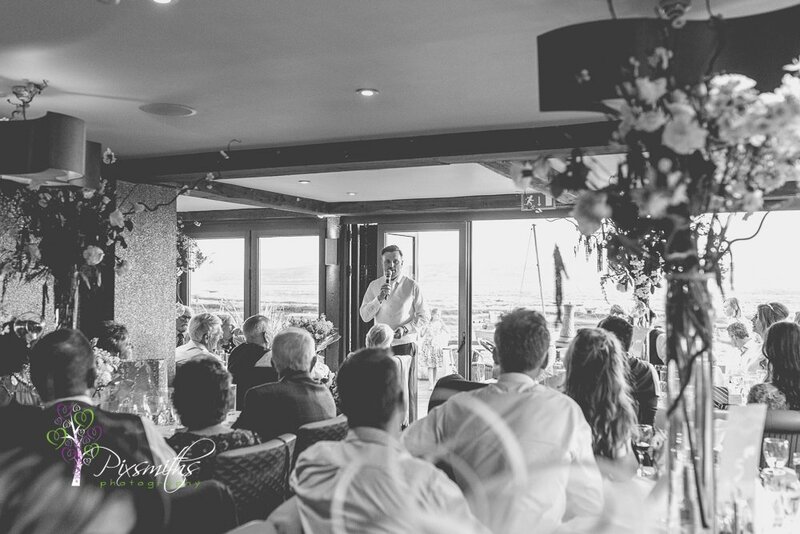 Soon time for the meal and speeches – interrupted by the sound of the approaching Showtime Ice-cream van. 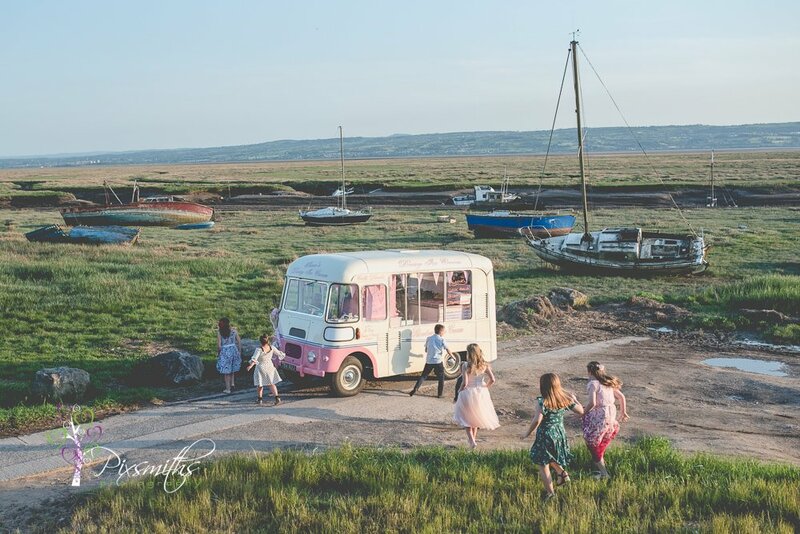 Cue – kids streaming out and running down to get their ices – popular with adults too later on a hot day. 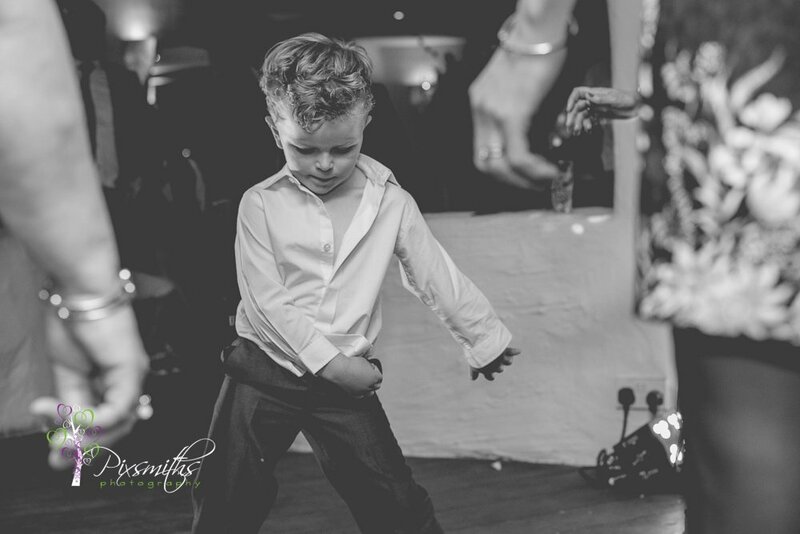 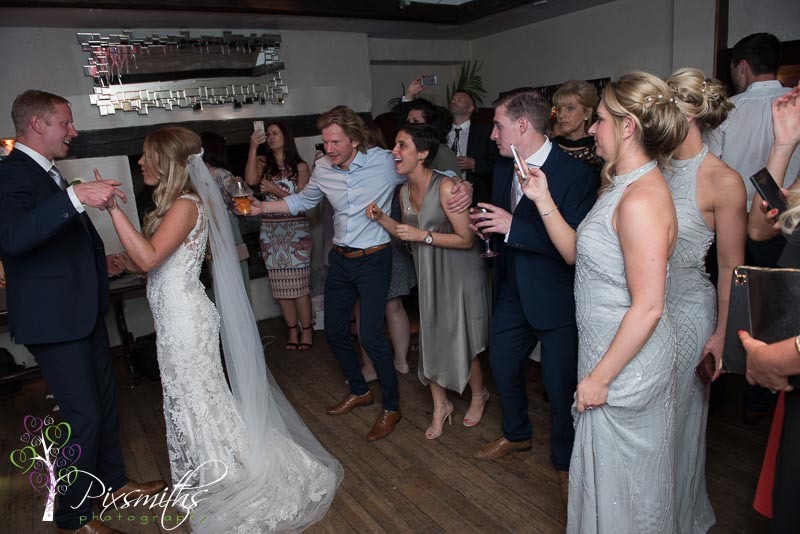 The day soon followed into the evening, with cake cutting and dancing, look out for those special moves from Charlie doing the Floss dance. 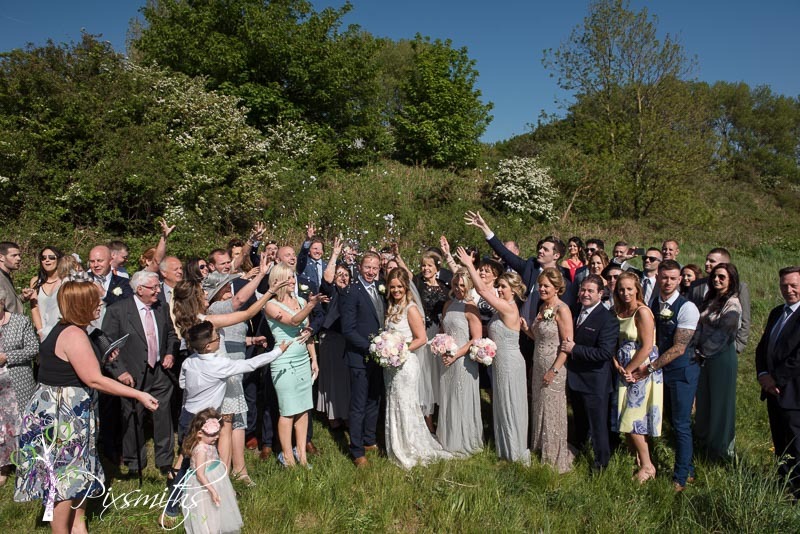 Everyone had a fantastic day, loved all the moments captured and seeing the joy on people’s faces. 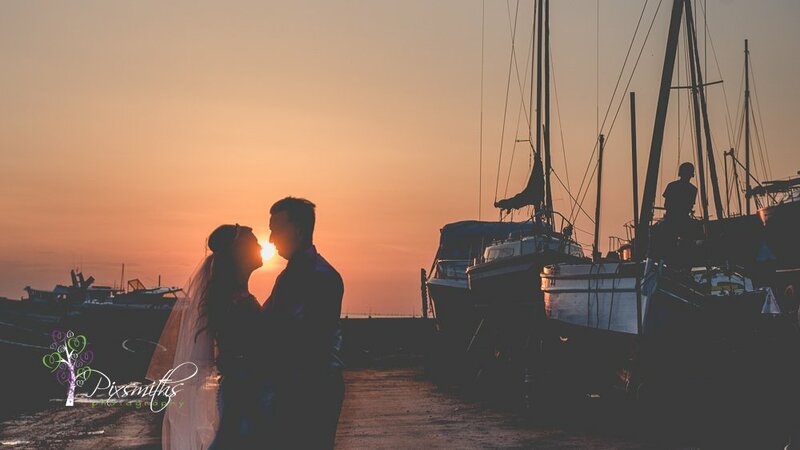 I said at the beginning of the day we were due a good sunset and Sheldrakes didn’t disappoint. 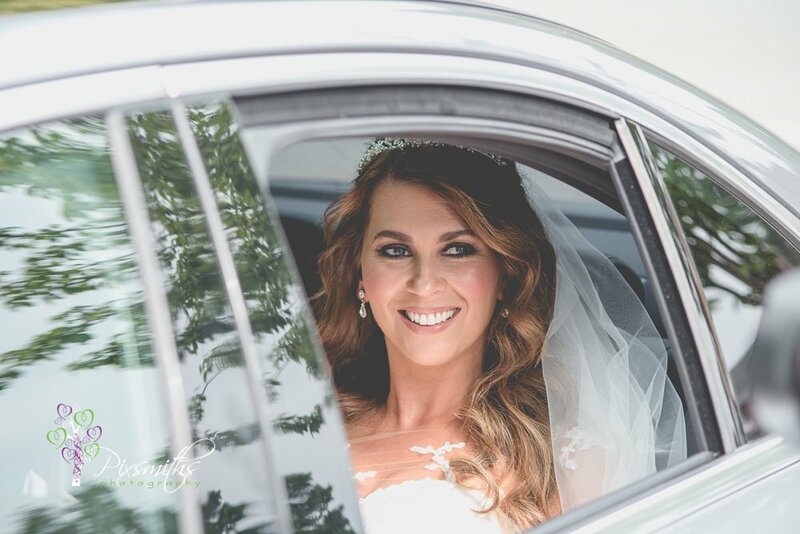 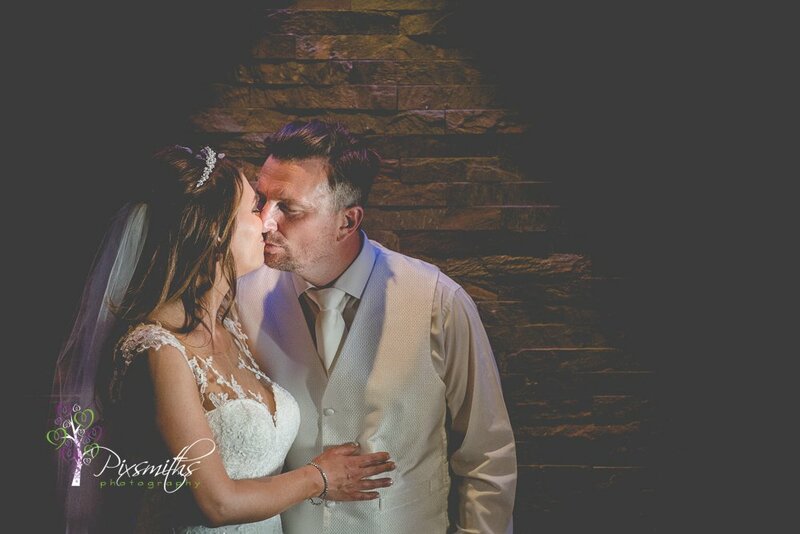 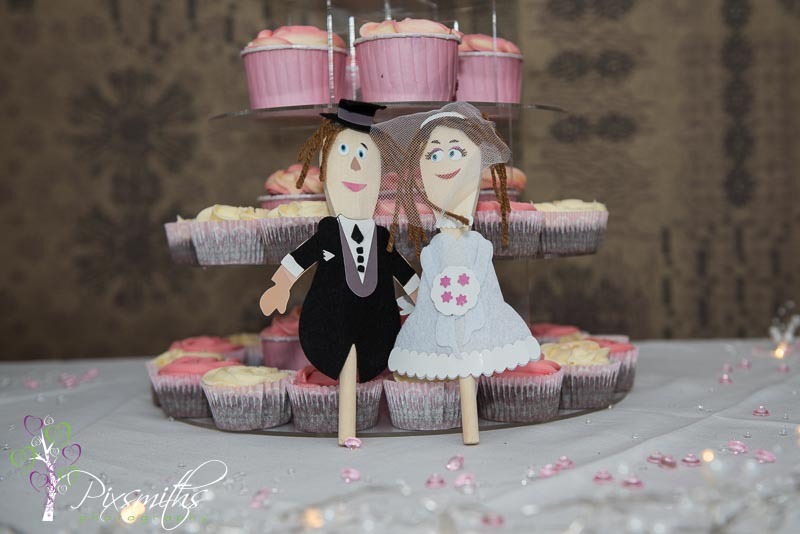 Jennie and Simon we wish you many many more years of happiness.Thank you for the privilege of capturing your day. 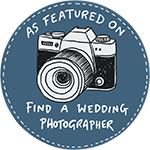 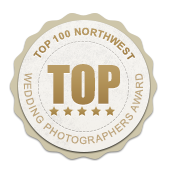 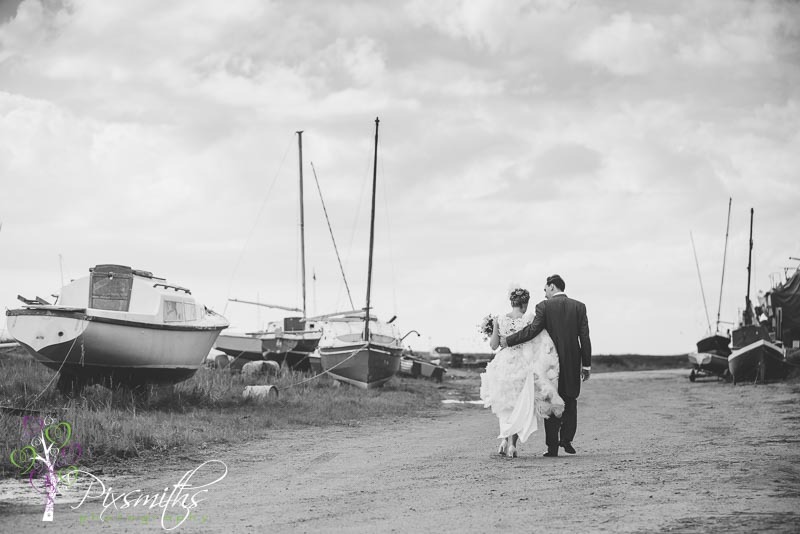 We are delighted to be a preferred Sheldrakes Wedding Photographer. 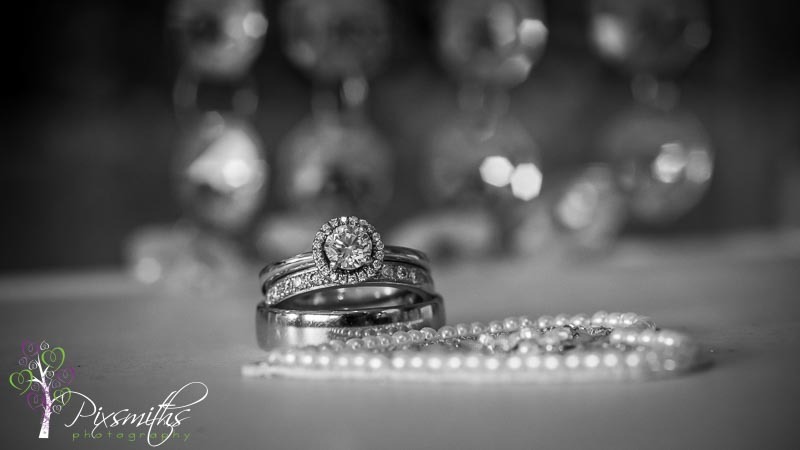 See our Sheldrakes wedding archives. 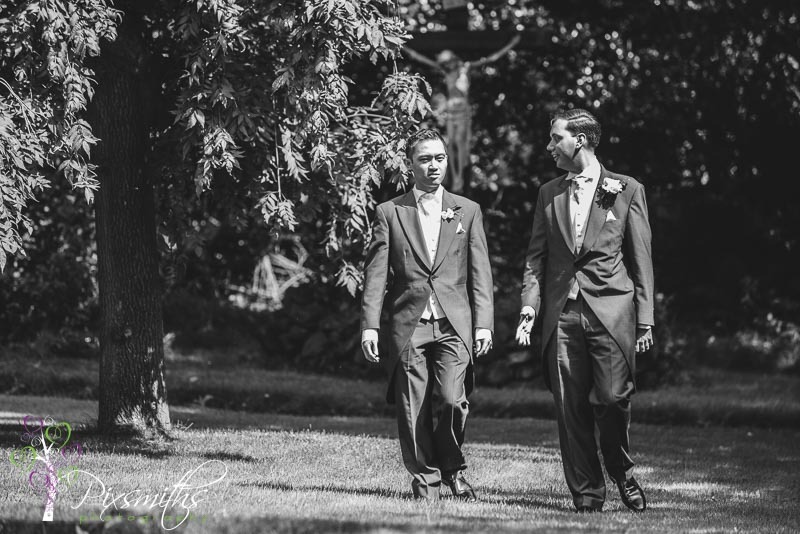 So it was soon time to grab a few groups and portraits before the speeches. 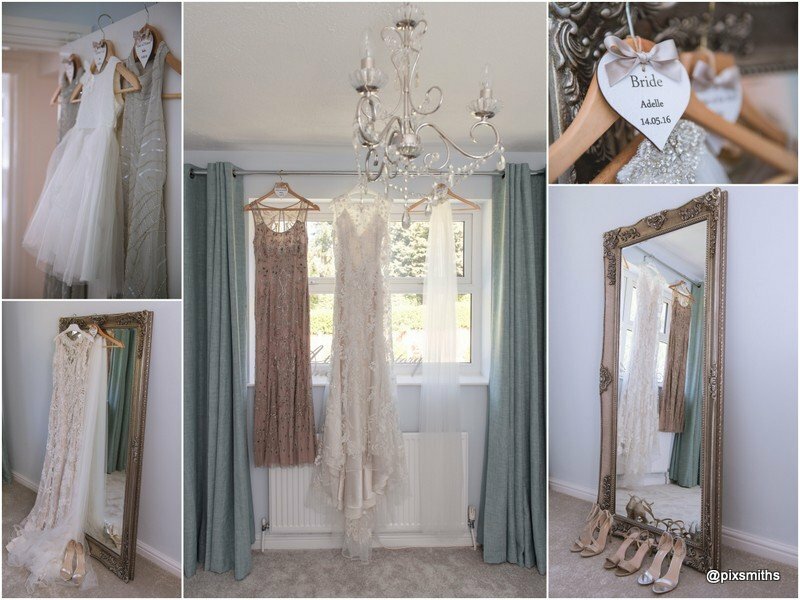 We loved all the details! 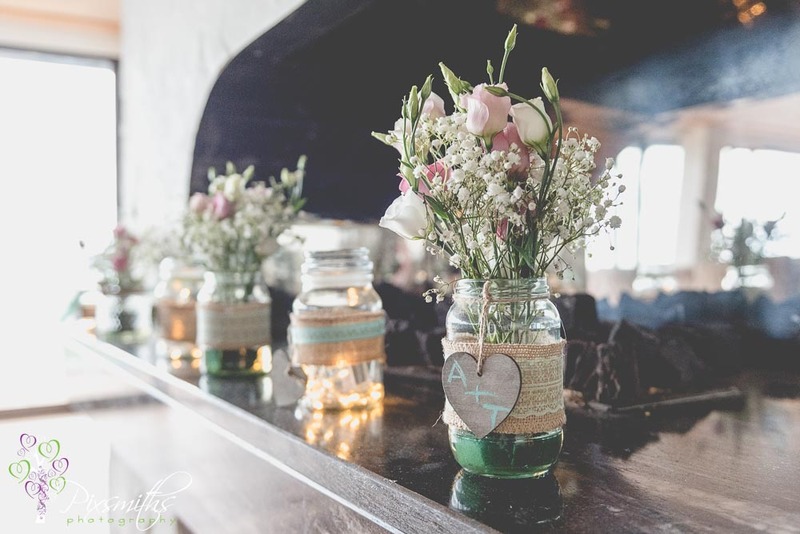 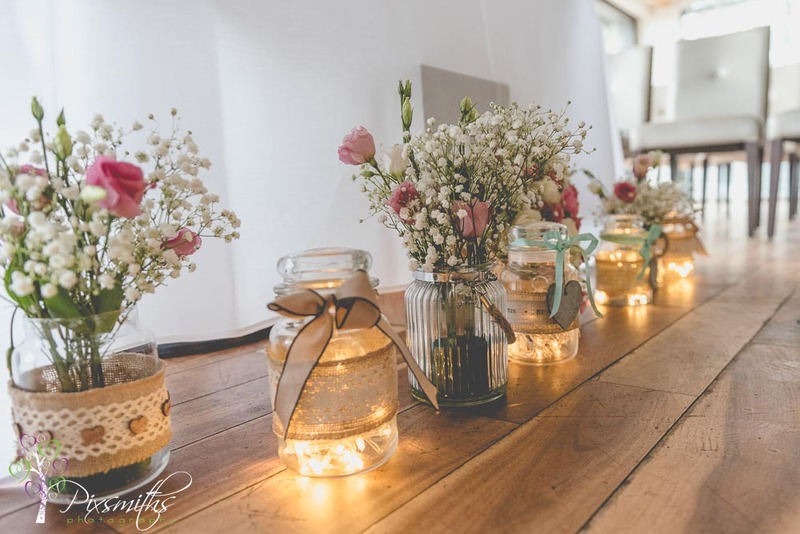 Lots of jars and vintage touches. 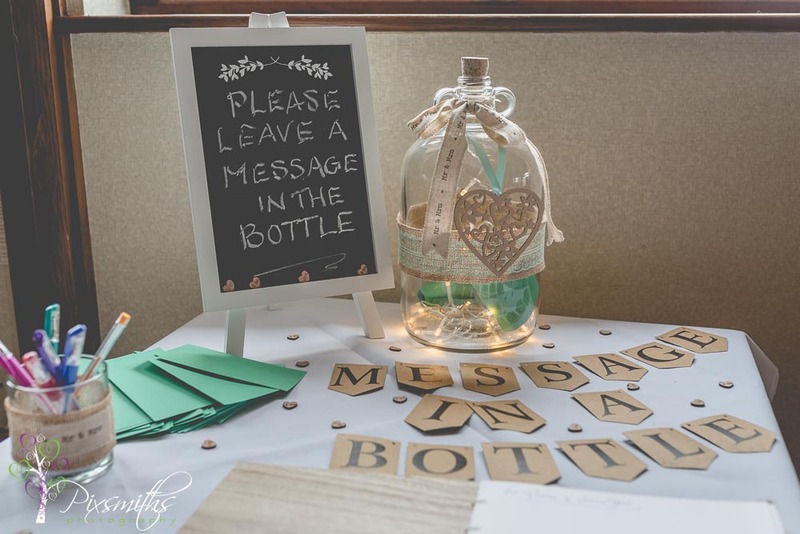 In particular the “guest book” consisted of “Message in a bottle” Genius idea! 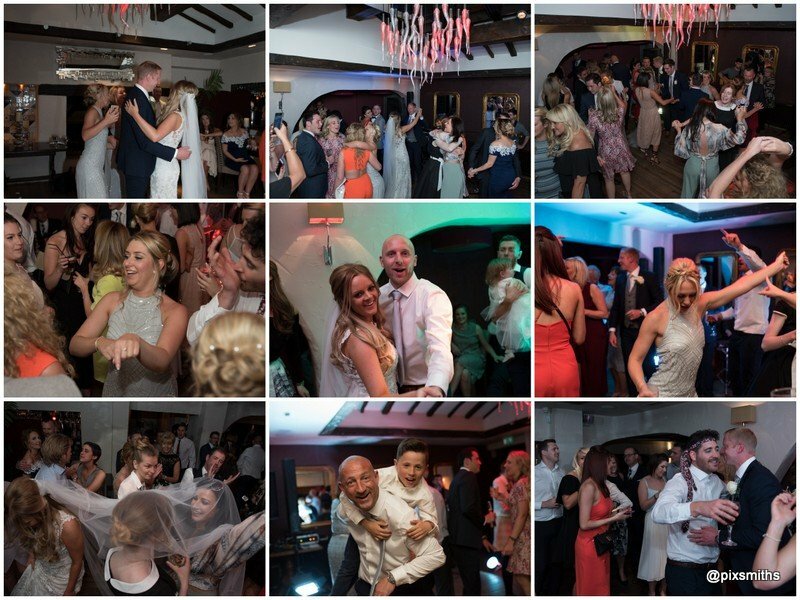 Ooh this was a fun night Carly and Tim’s Sheldrakes Wedding Celebration! 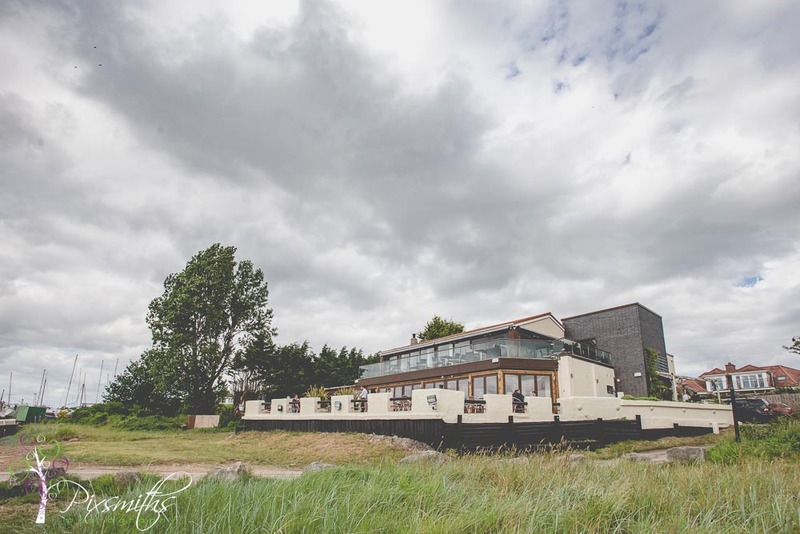 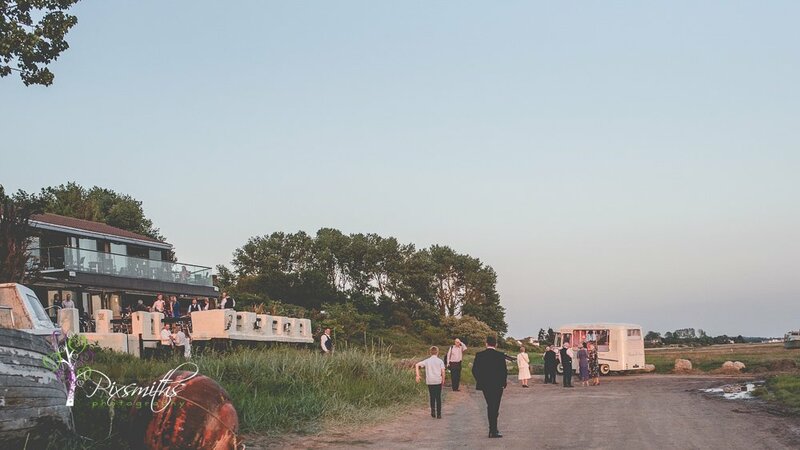 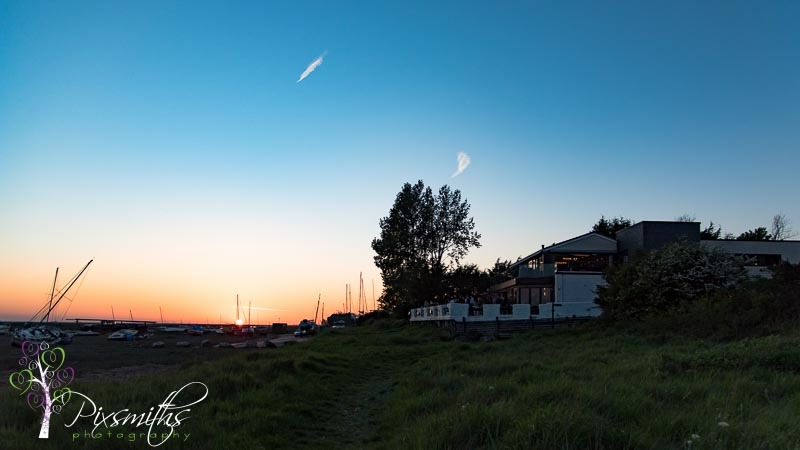 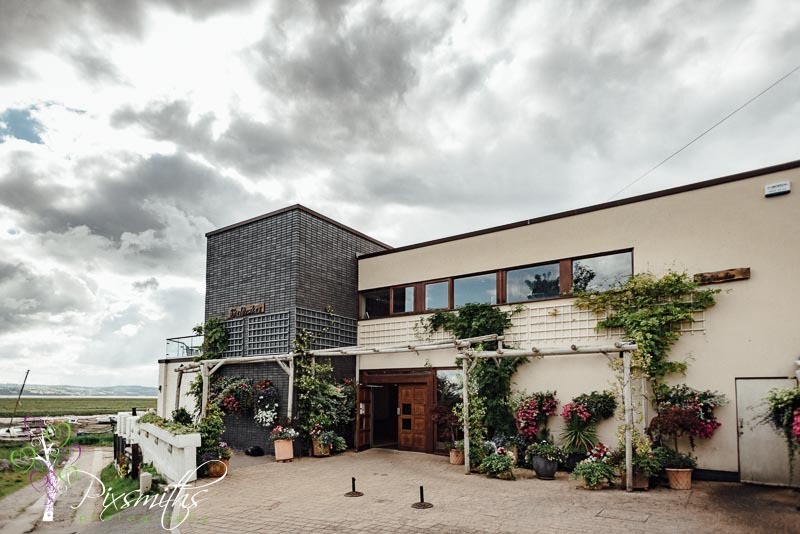 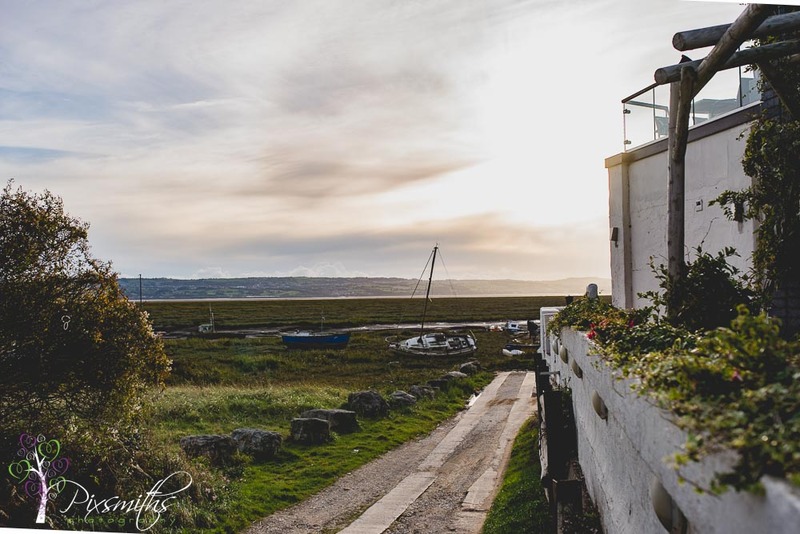 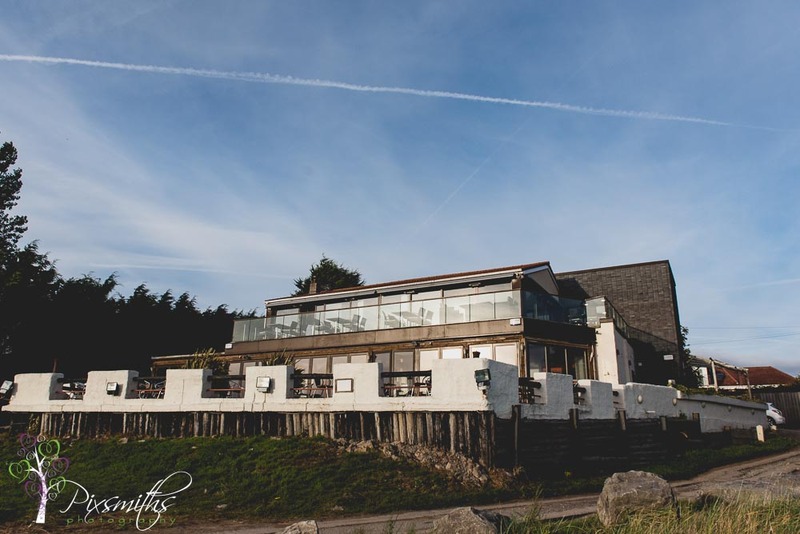 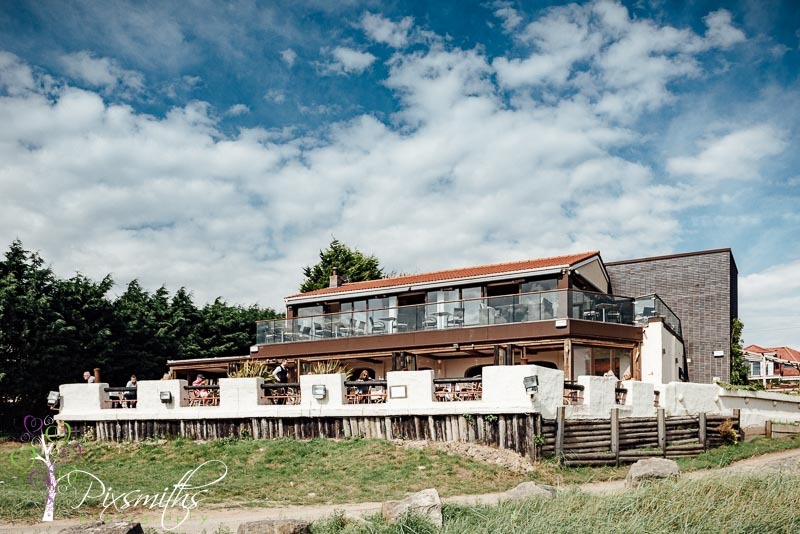 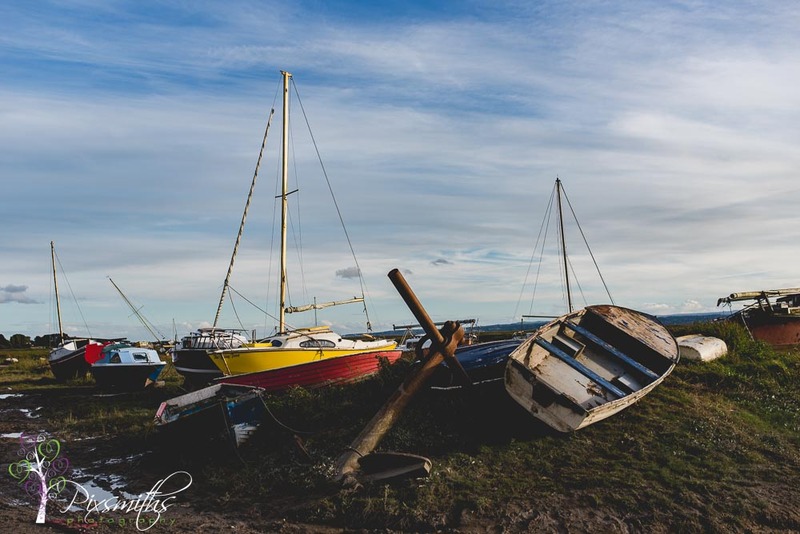 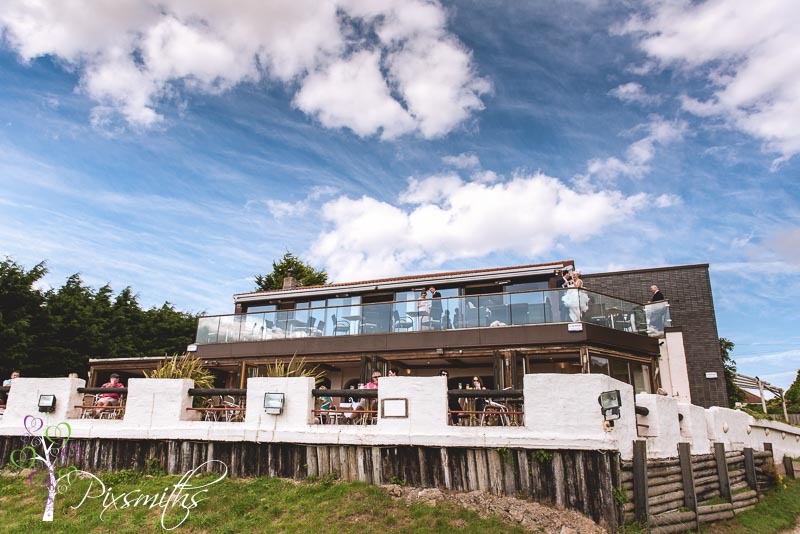 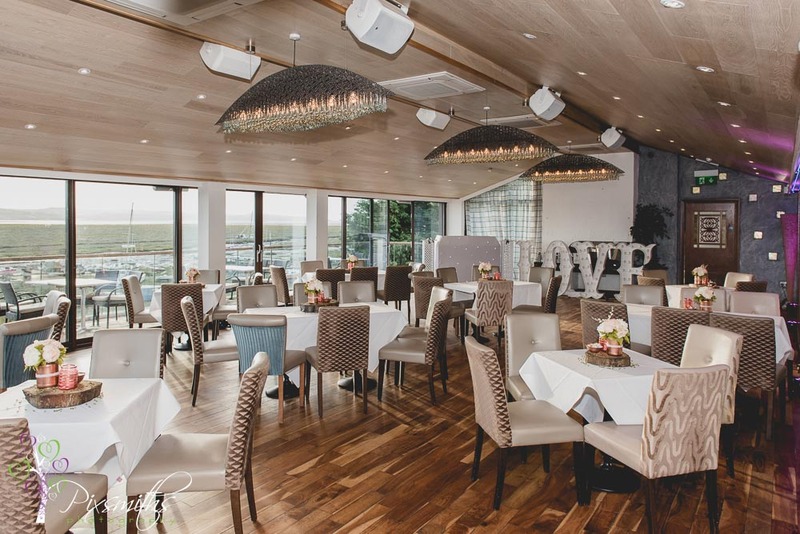 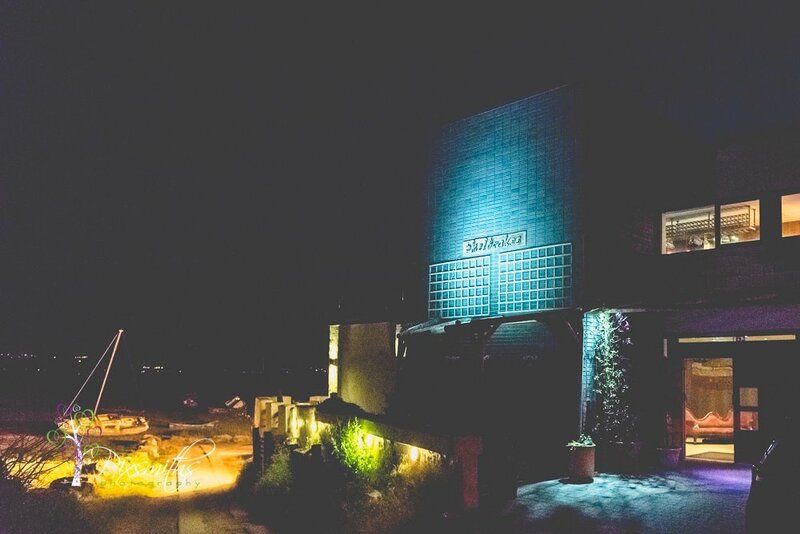 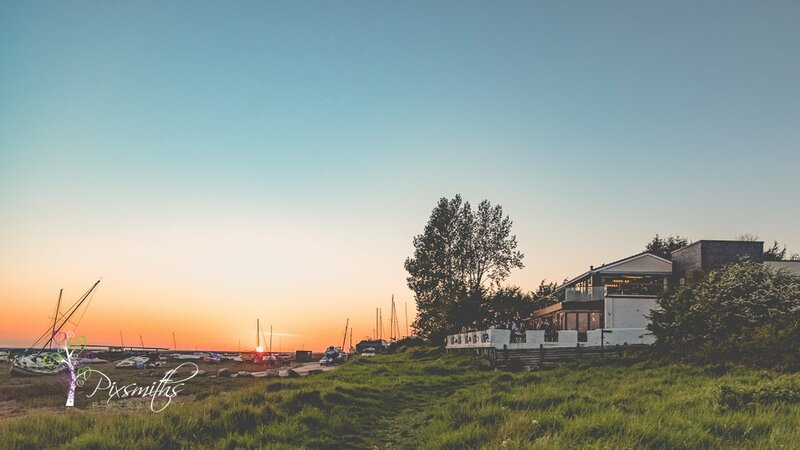 We love Sheldrakes Restaurant with its quirky boatyard and views over the Dee estuary and often with stunning sunsets.The gallery room is cosy and contemporary at the same time. 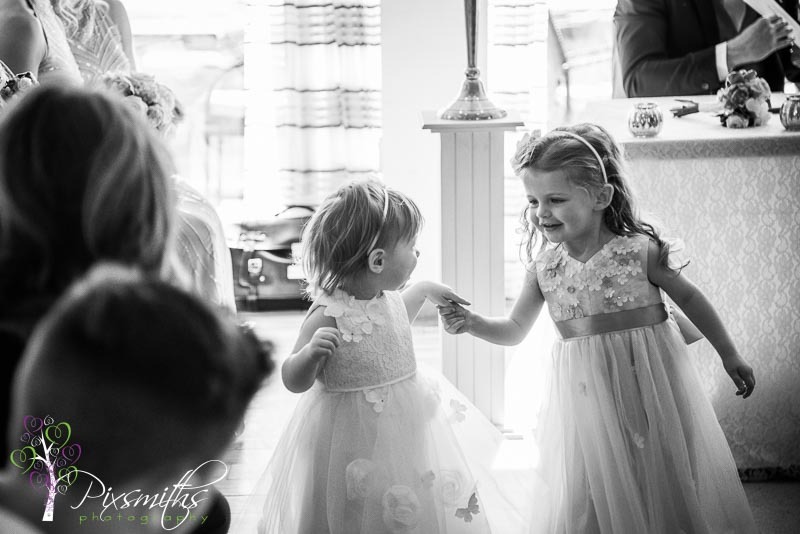 Now home and ready to party and dance the night away with their friends and family. 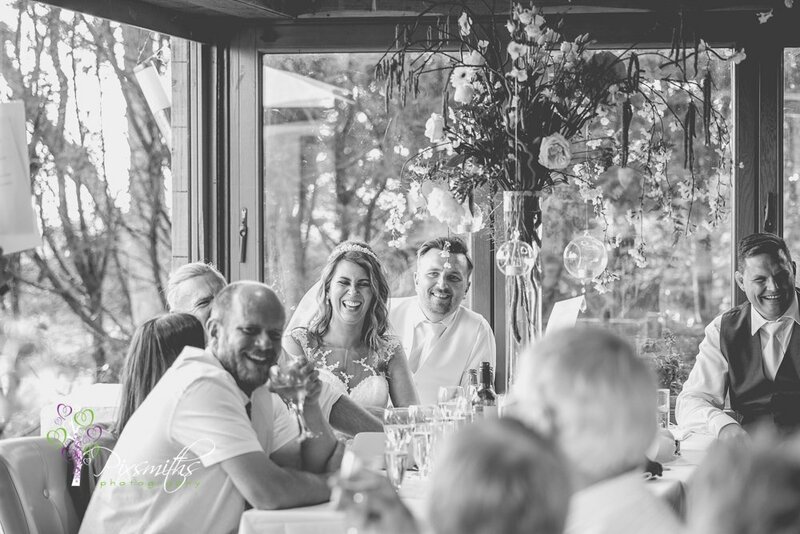 The Sheldrakes wedding celebration also fell on their 13th together anniversary, so it was a very apt.date to celebrate. 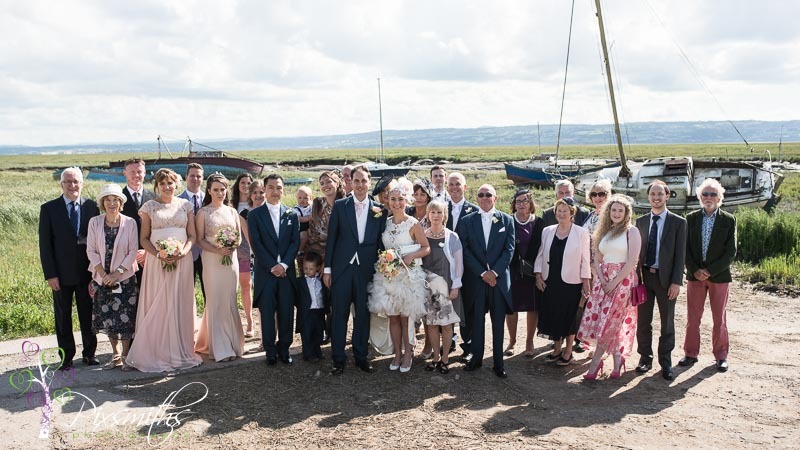 Family gathered just before the party got underway to get some family groups and a couple of portraits taken …before the light got too low. 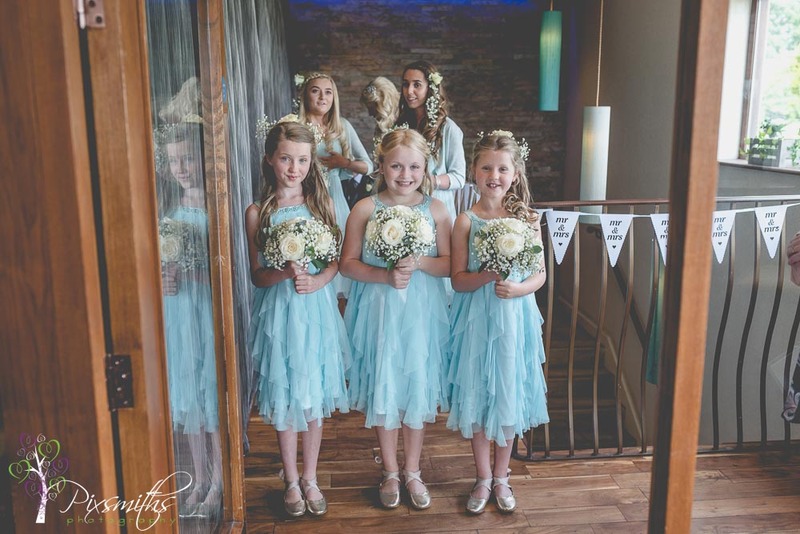 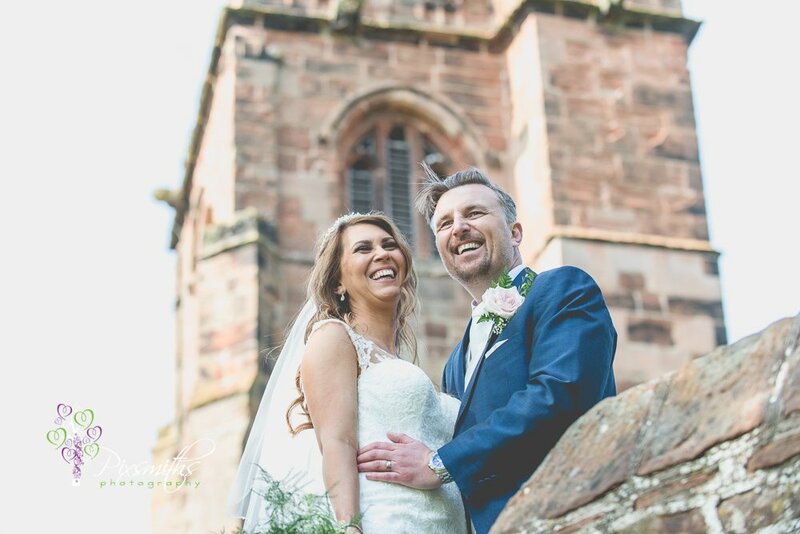 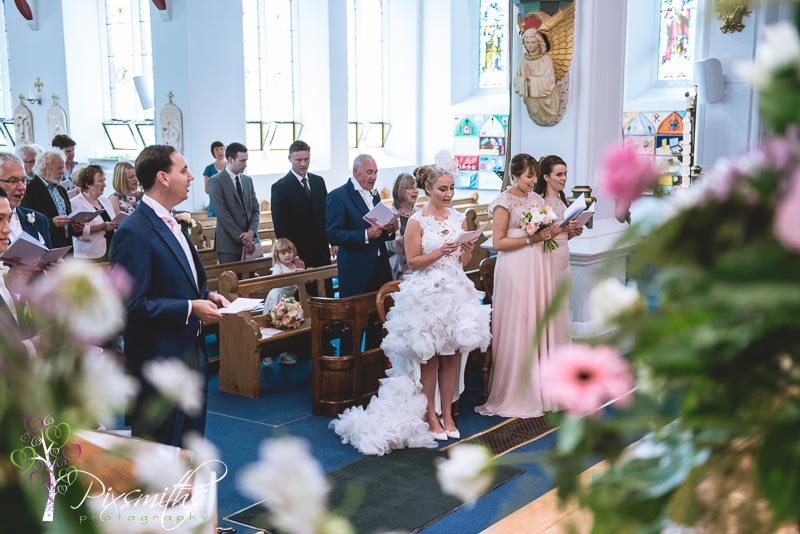 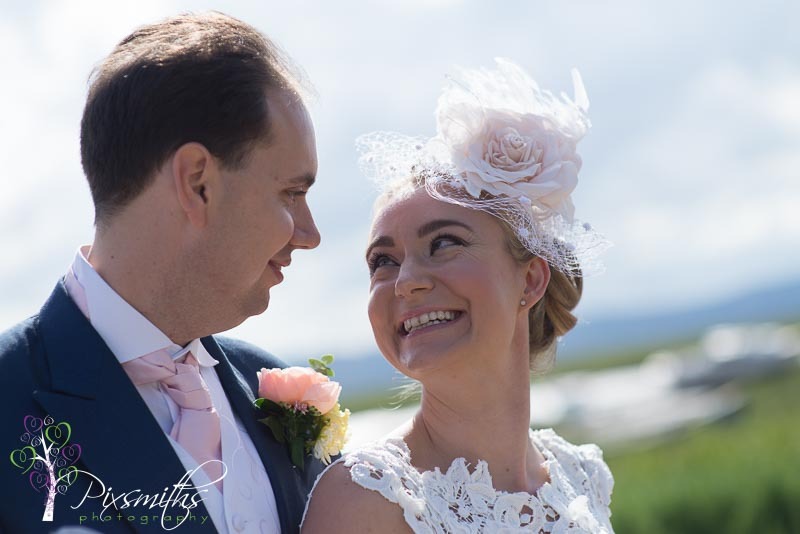 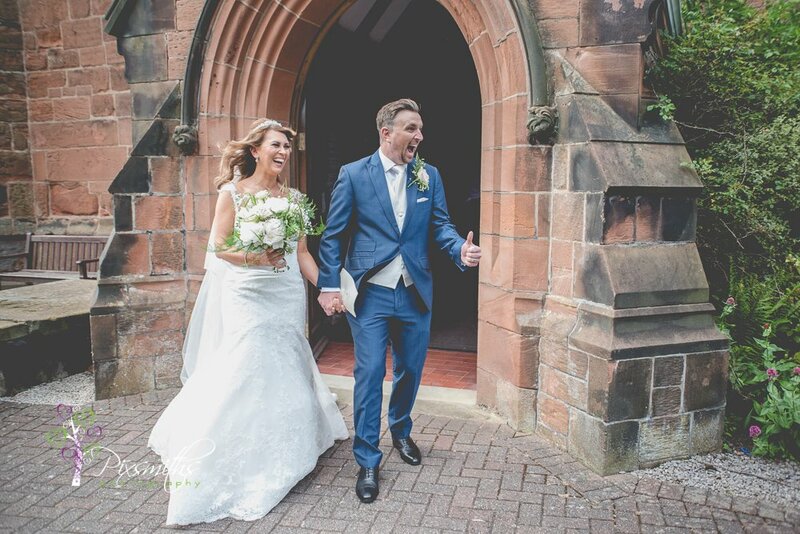 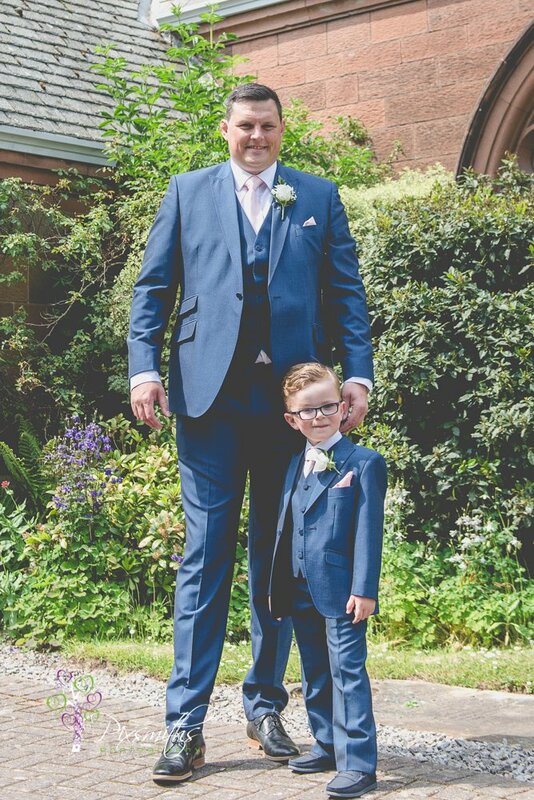 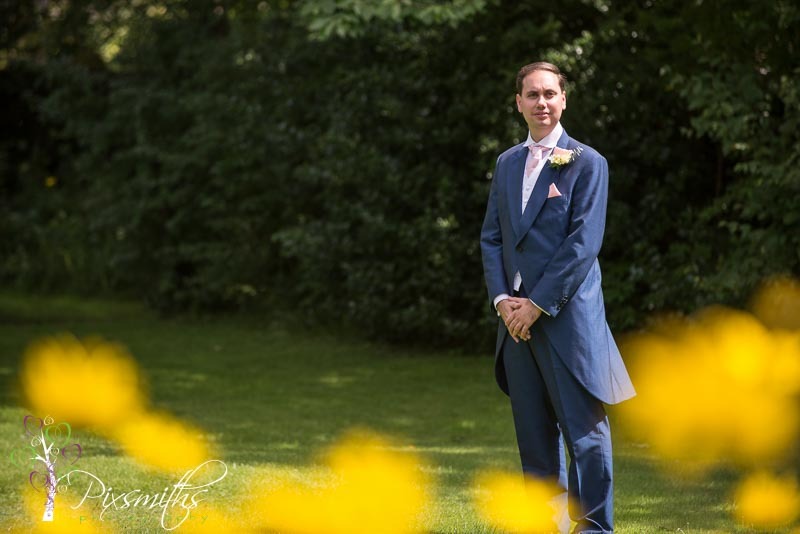 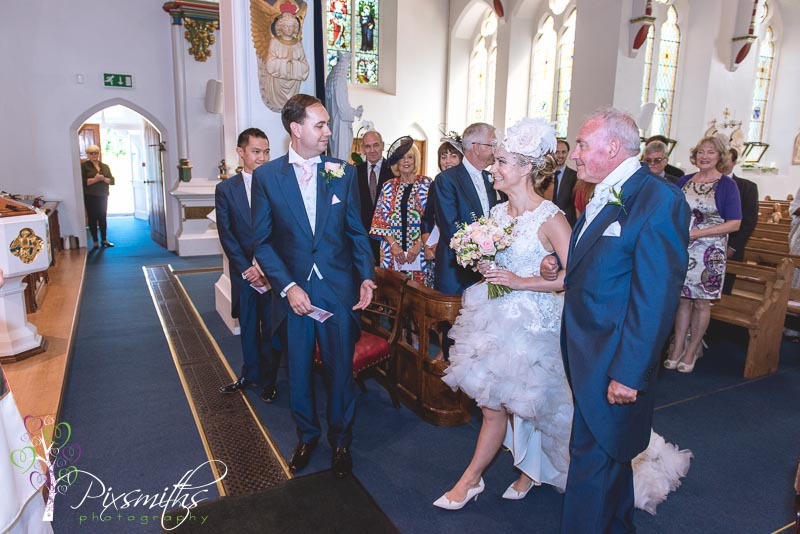 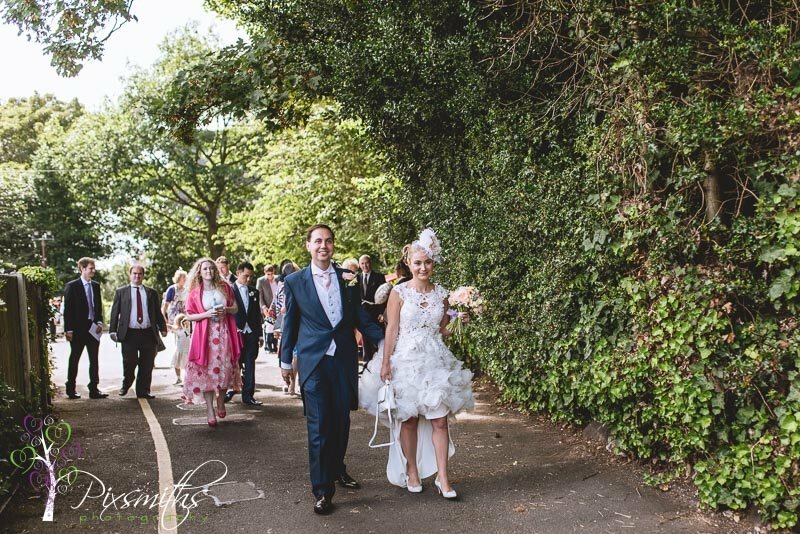 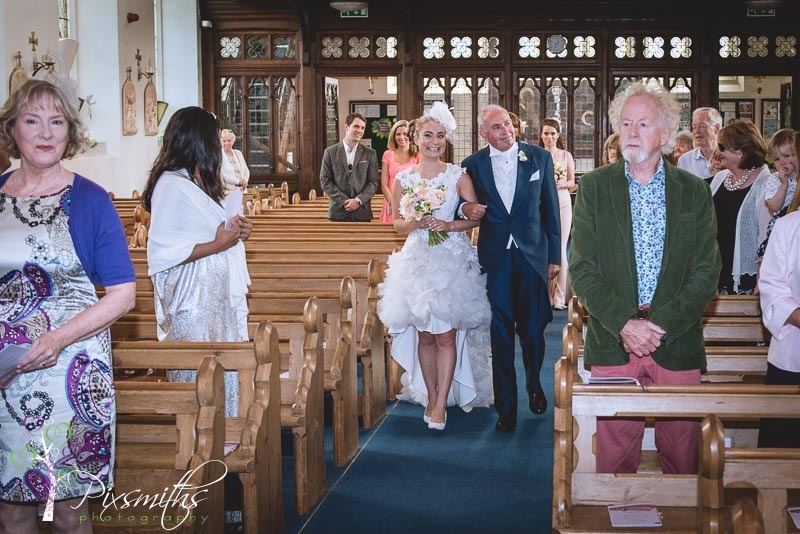 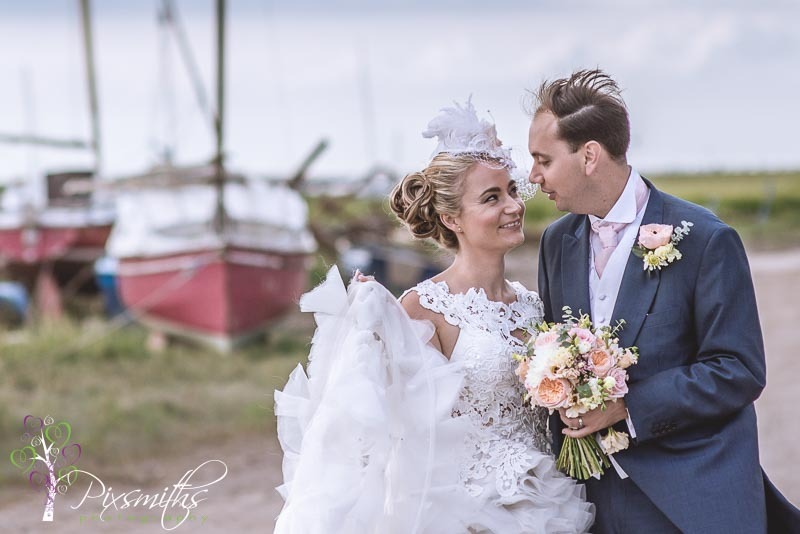 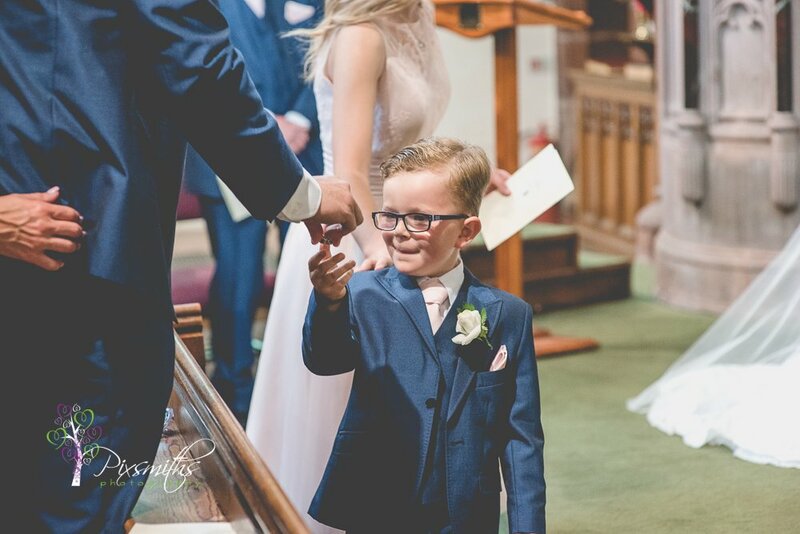 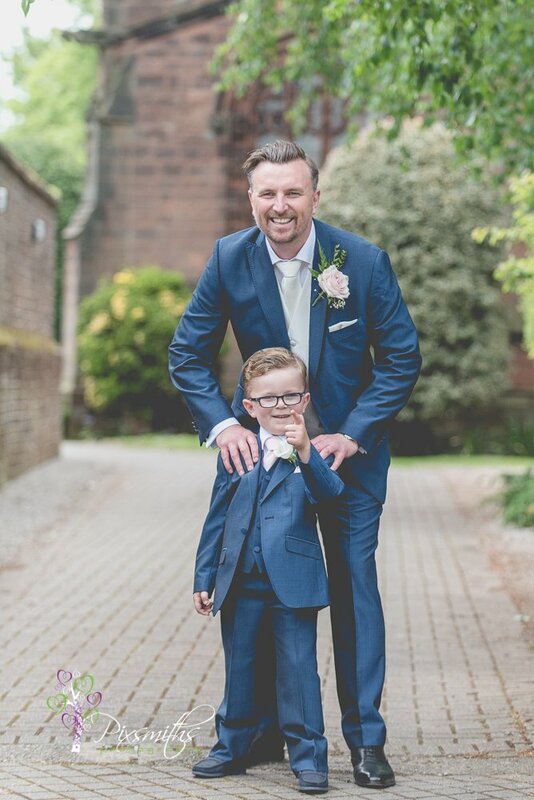 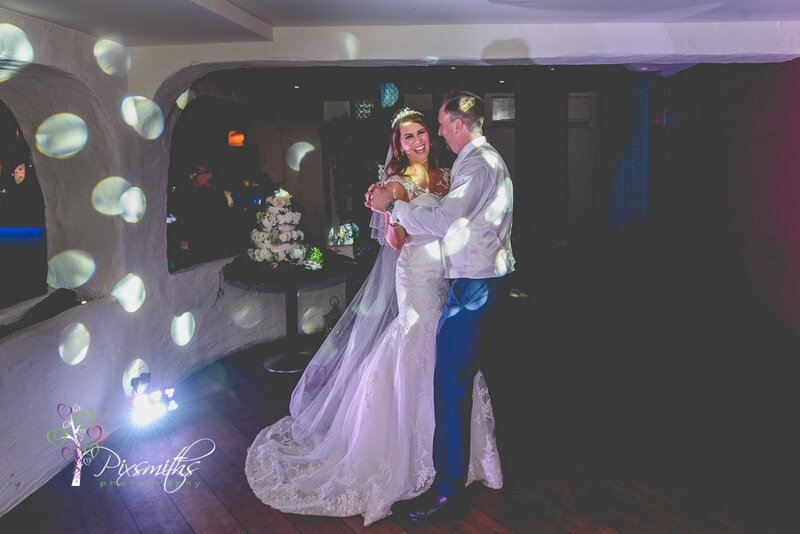 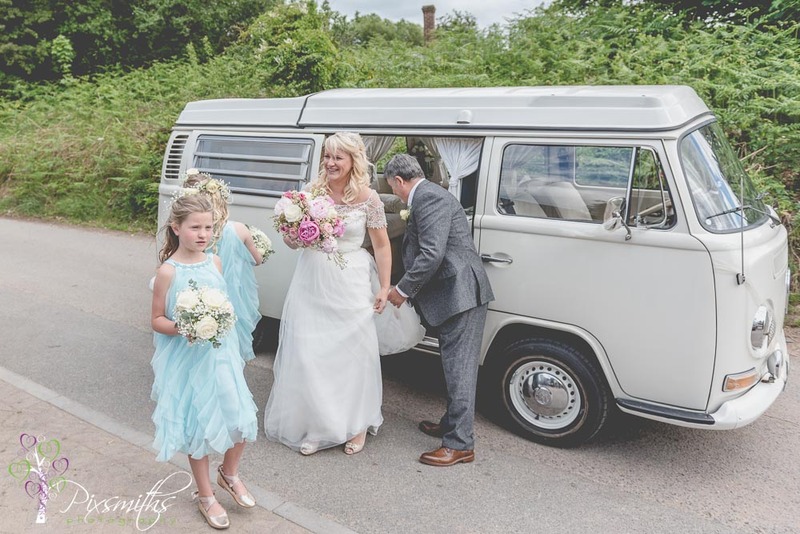 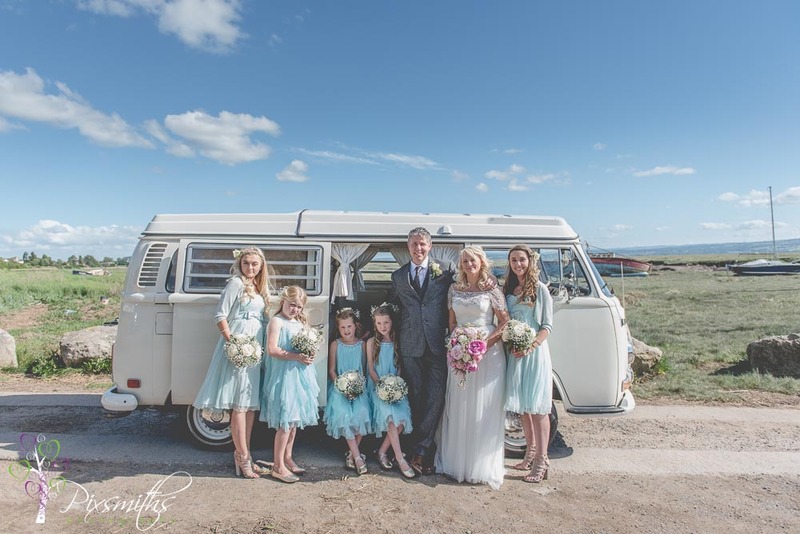 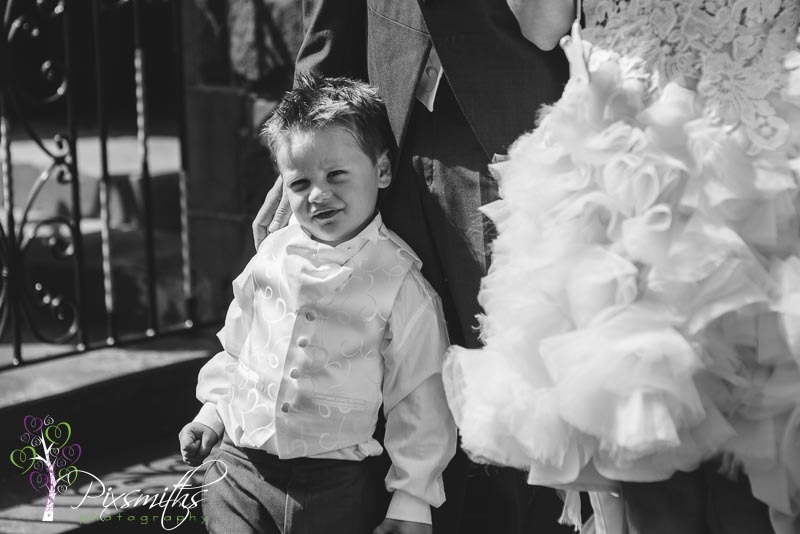 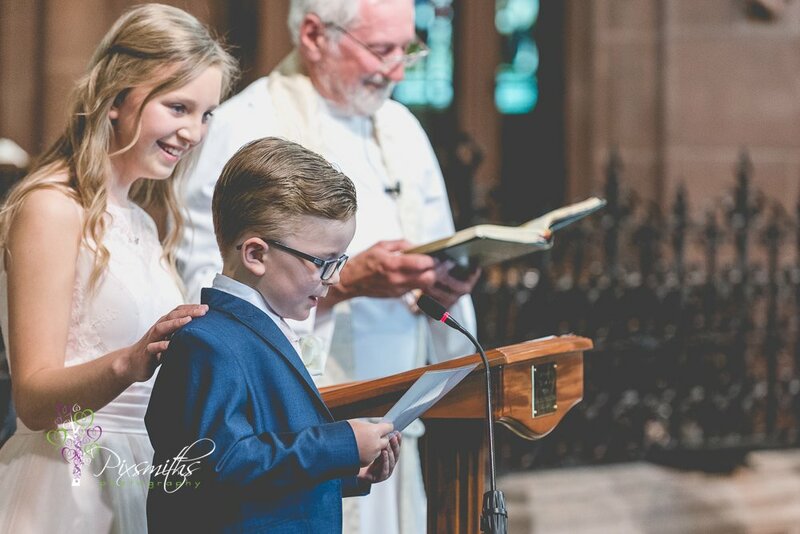 Carly looked radiant in her gogeous designer dress, suited her bubbly sparkly personality and Tim looked suitably cool and casual in his braces adorned with a liitle badge detail. 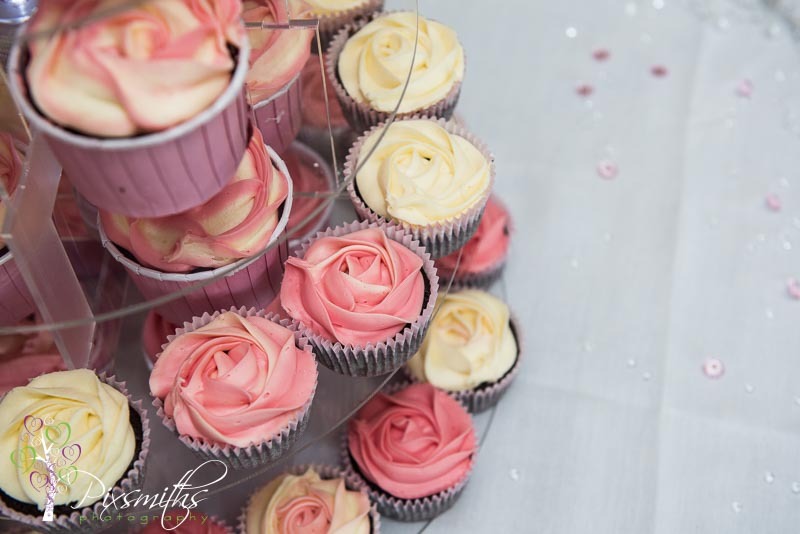 The cake, a fruit feast decorated lemon drizzle sponge and buttercream and all the cup cakes were made by Kim from Kim,’s Kake Box. 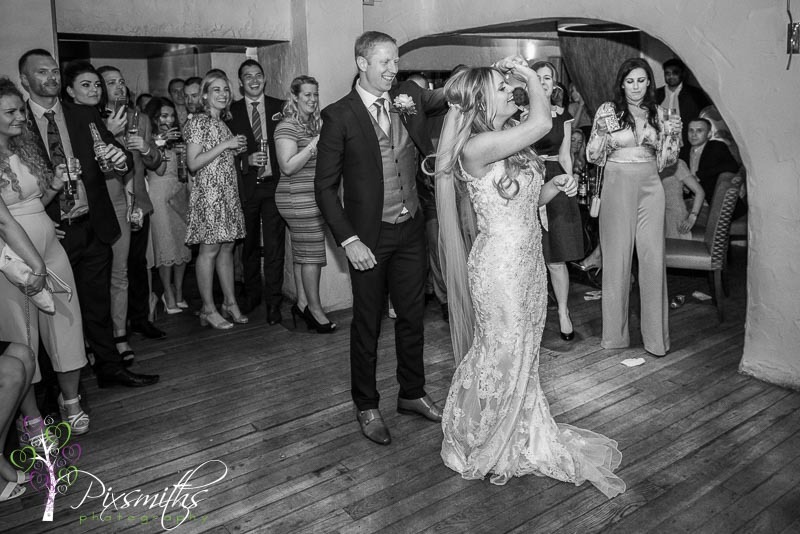 Carly and Tim had a great time, fun and heartwarming speeches followed by some crazy dancing! 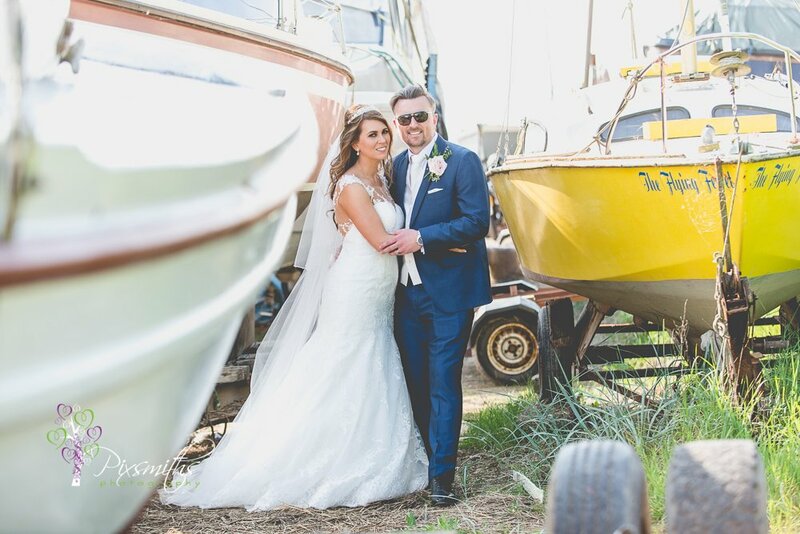 Thank you Carly and Tim that we could share in your wedding party may you continue to have many more years of celebrations. 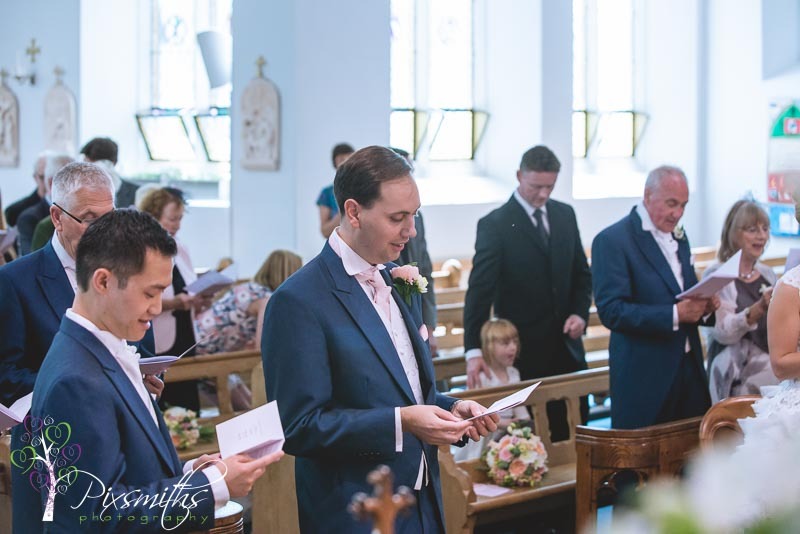 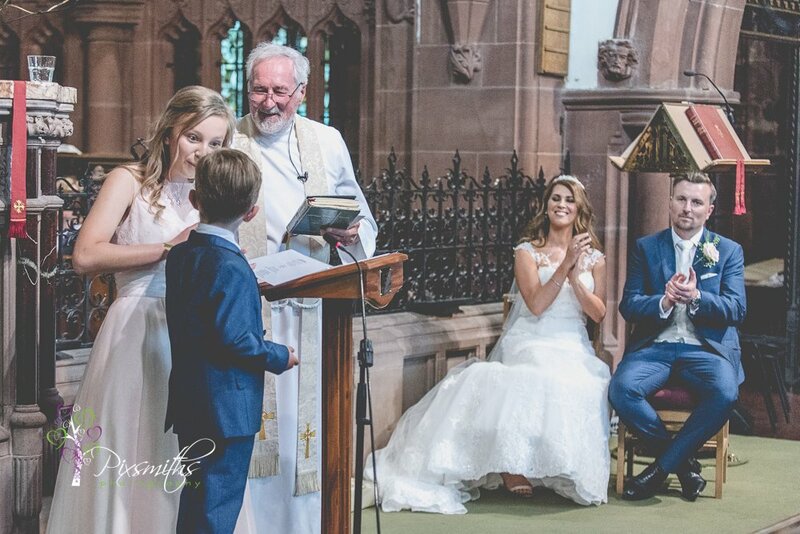 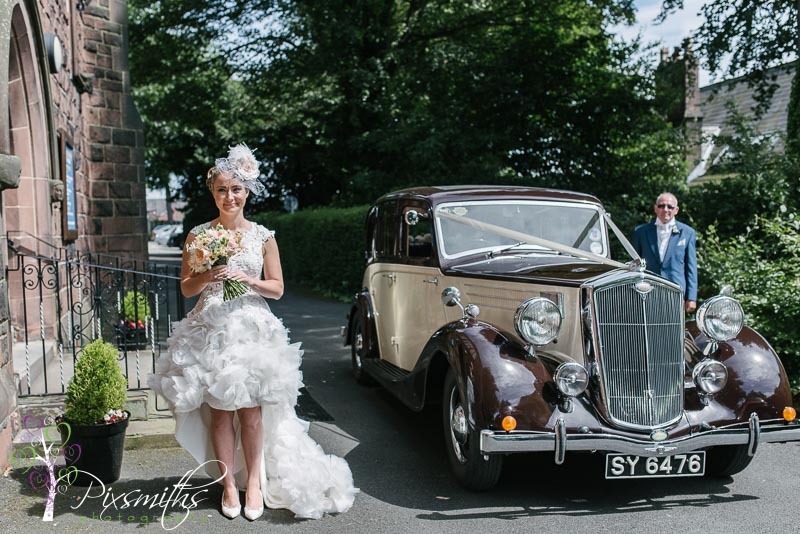 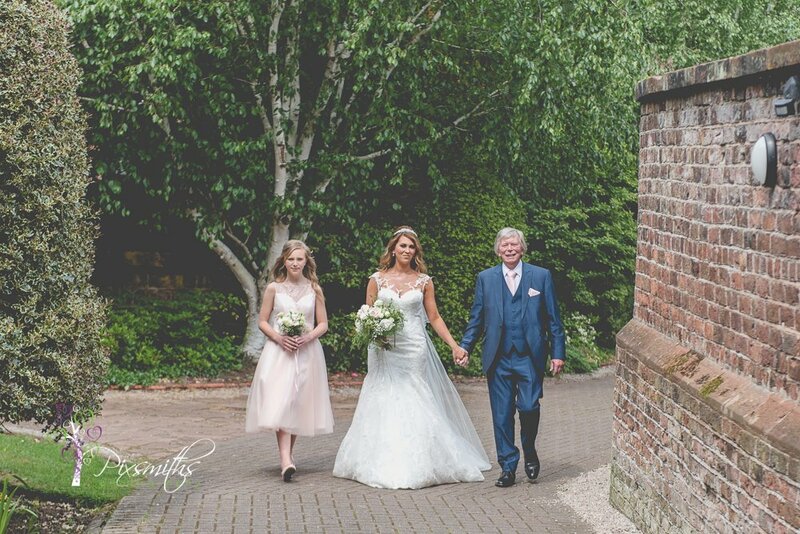 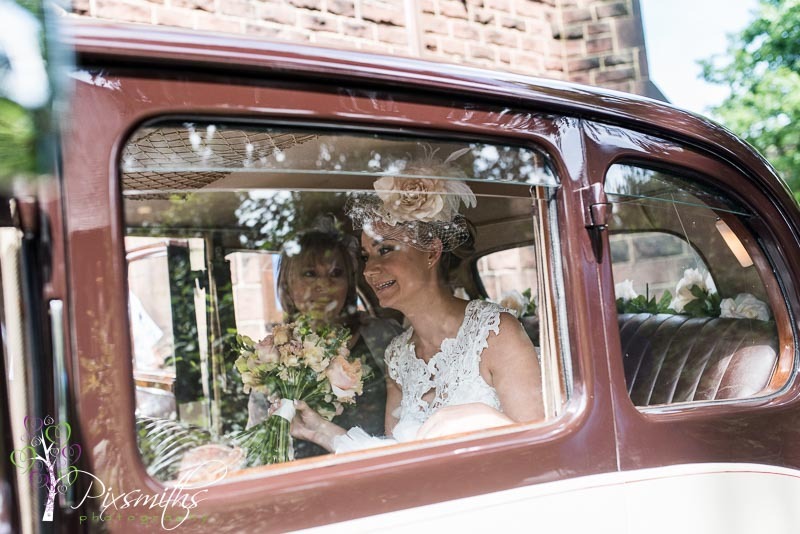 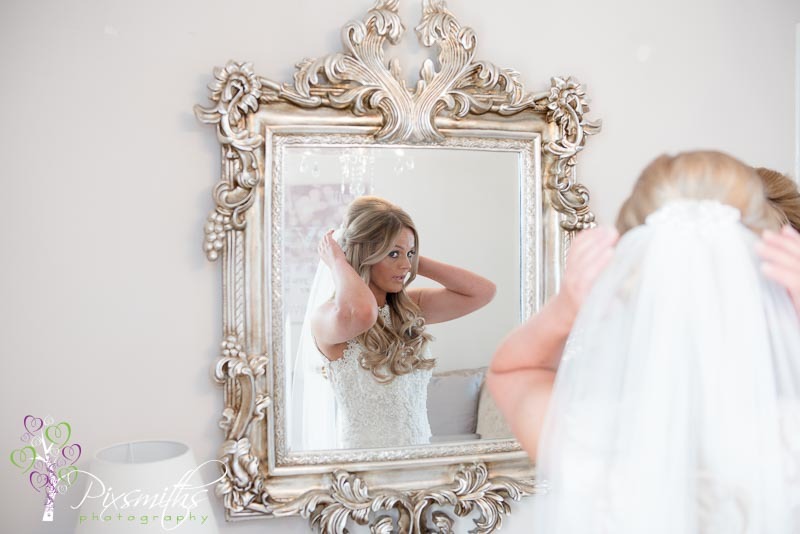 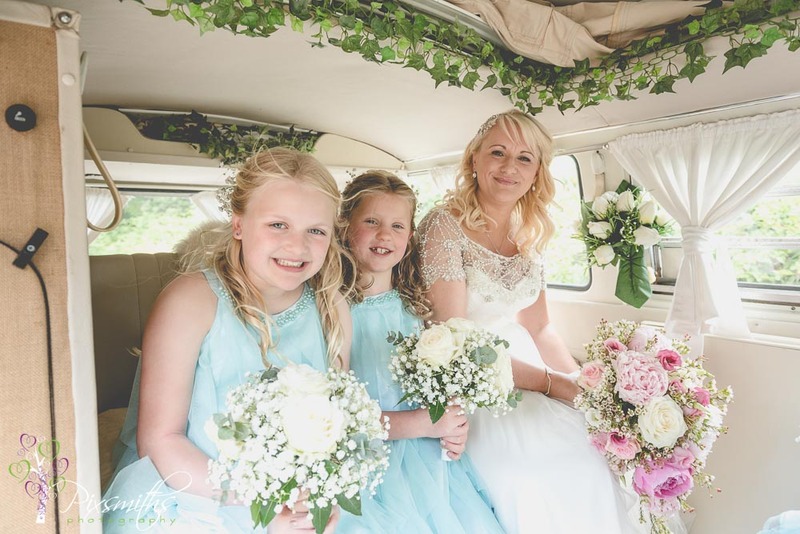 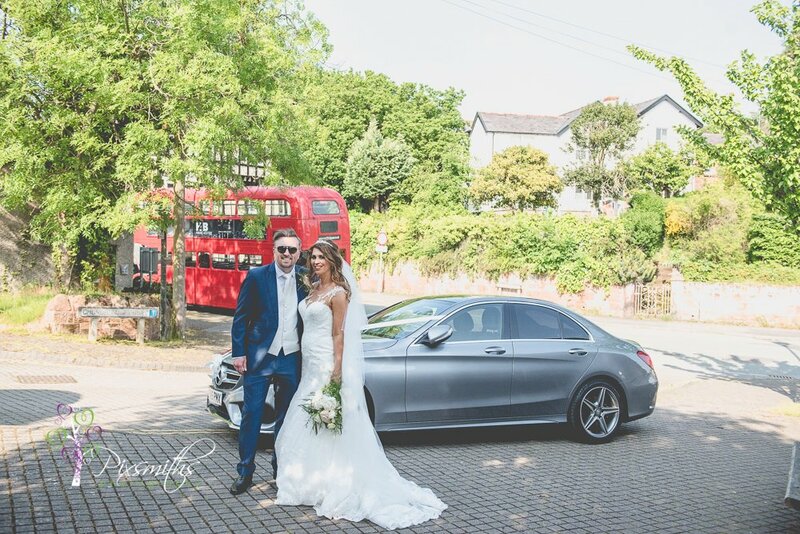 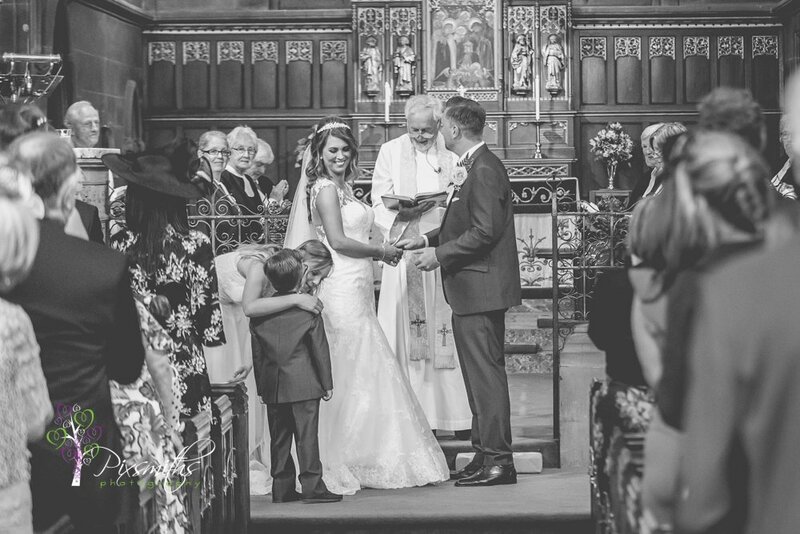 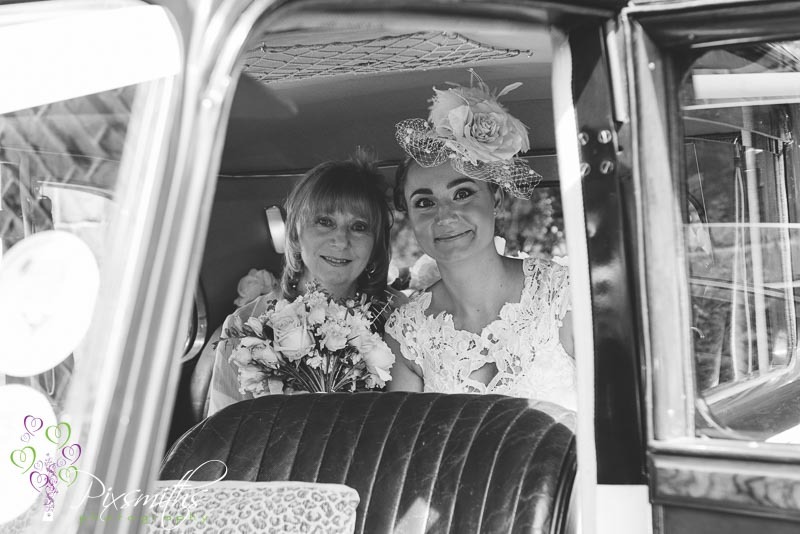 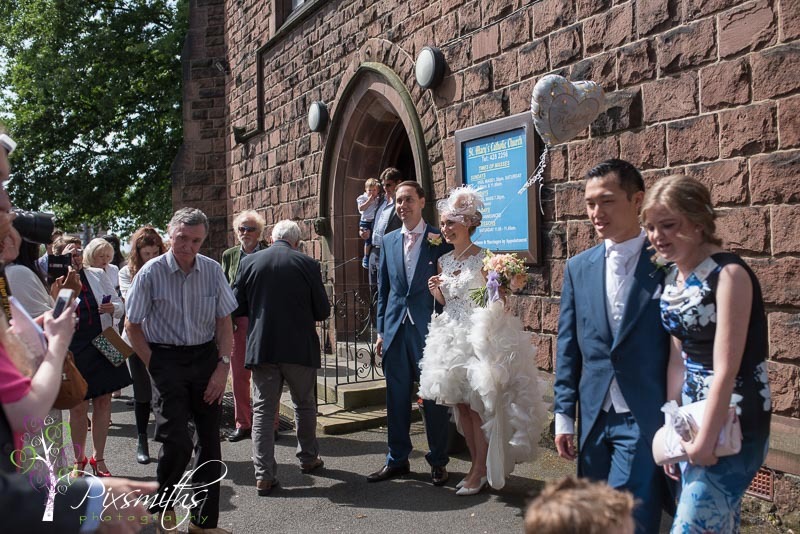 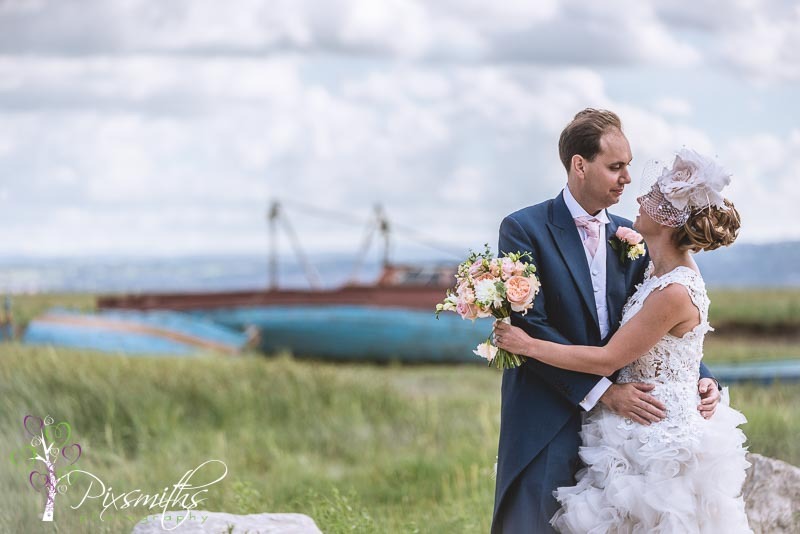 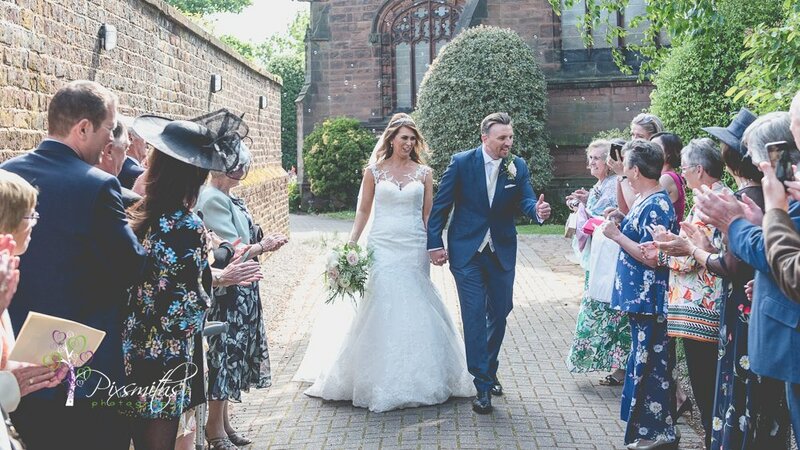 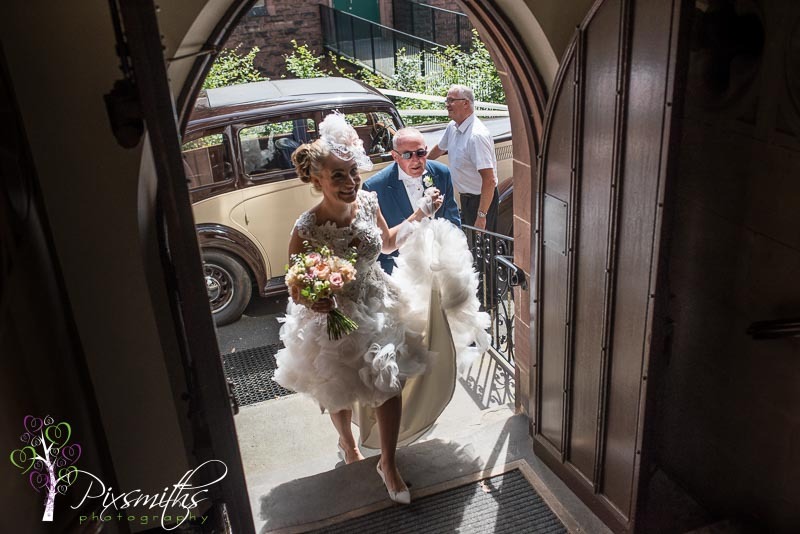 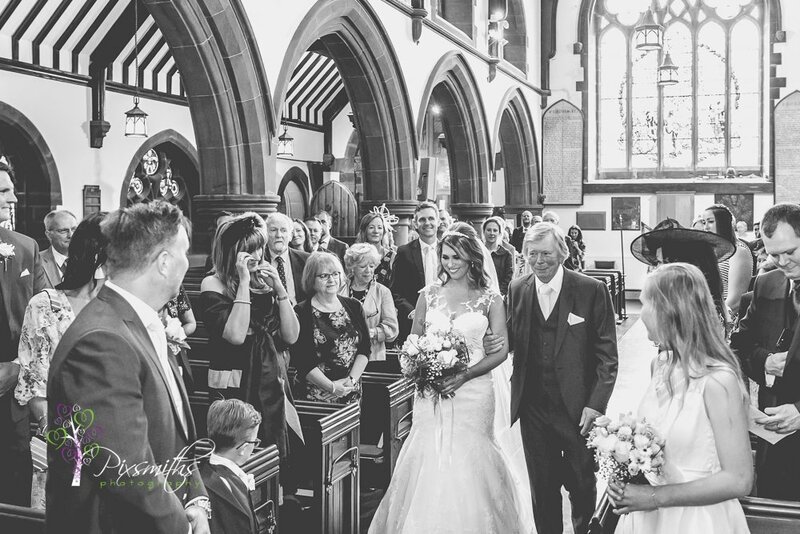 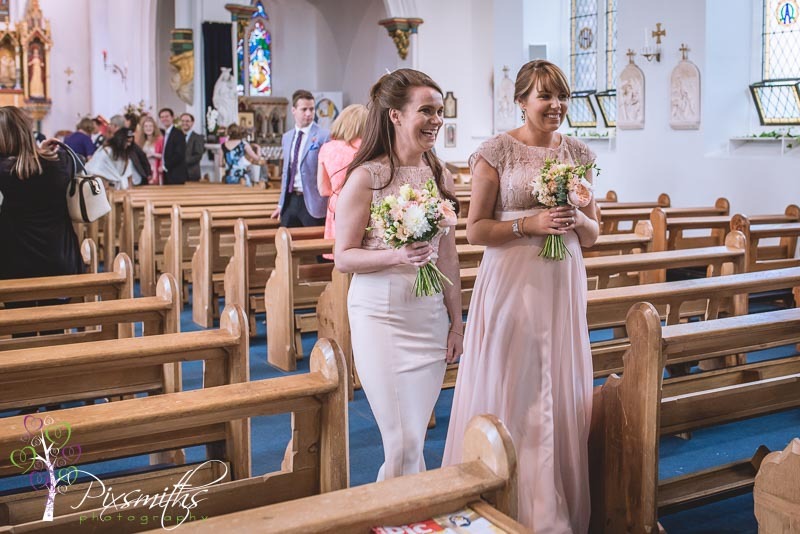 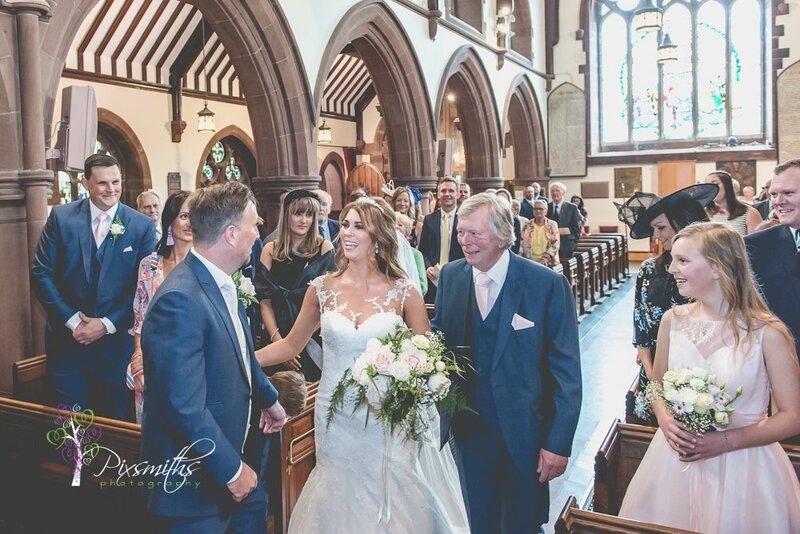 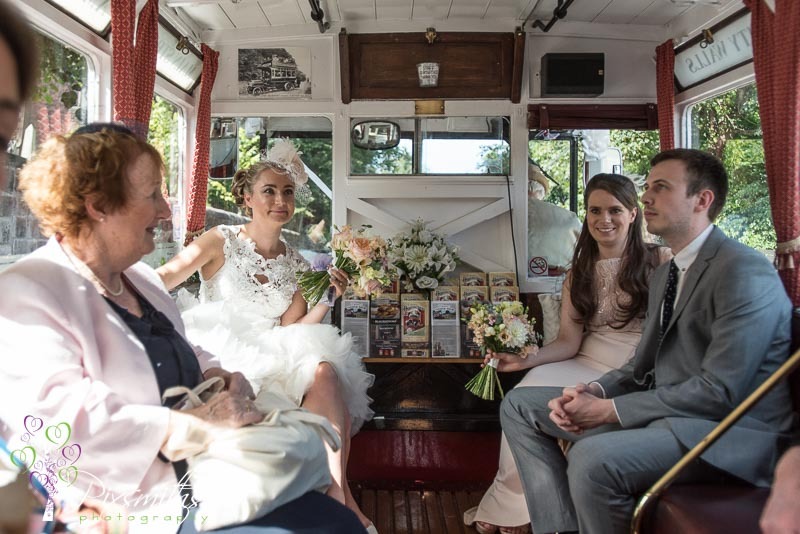 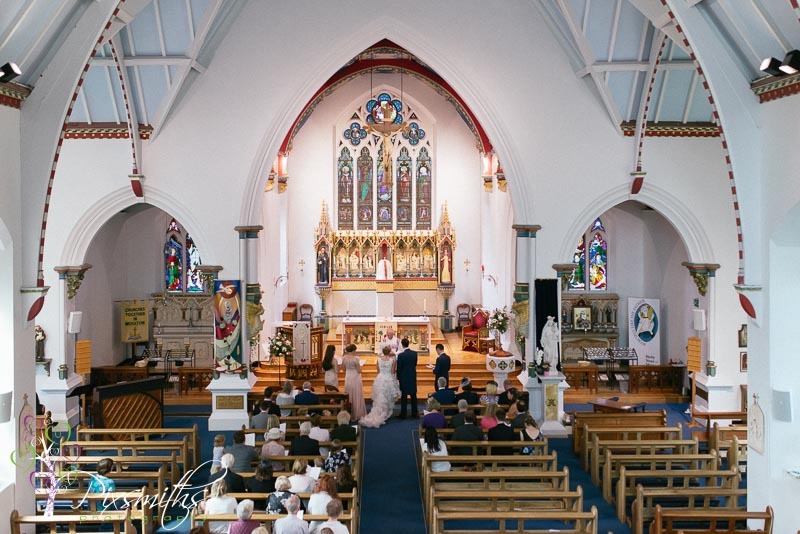 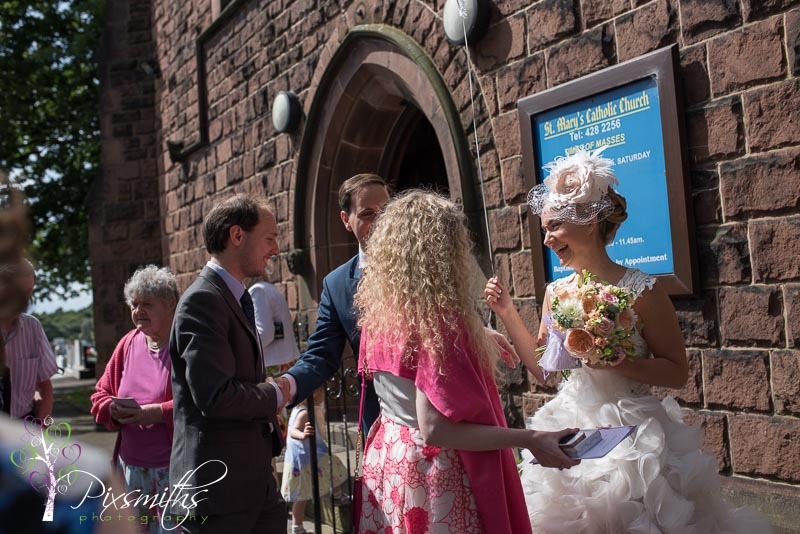 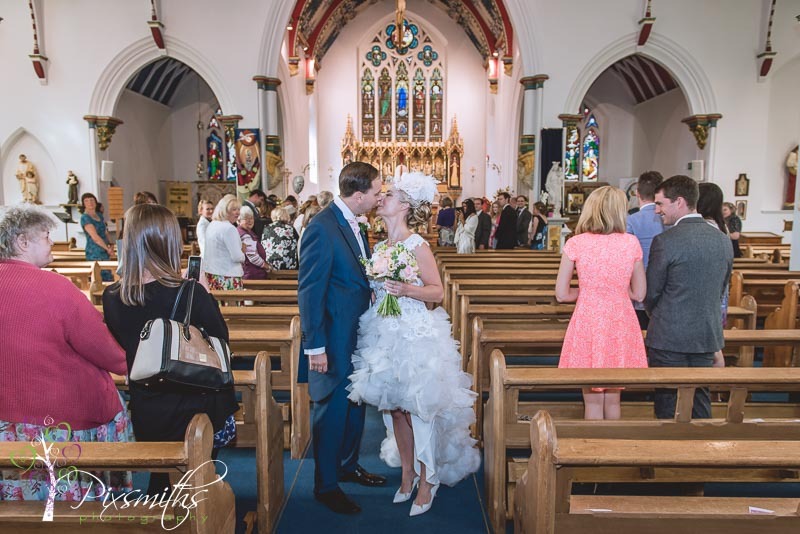 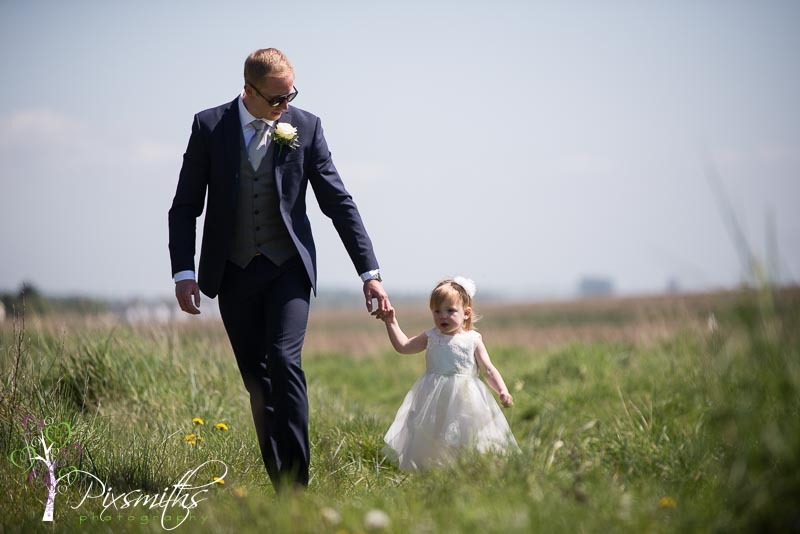 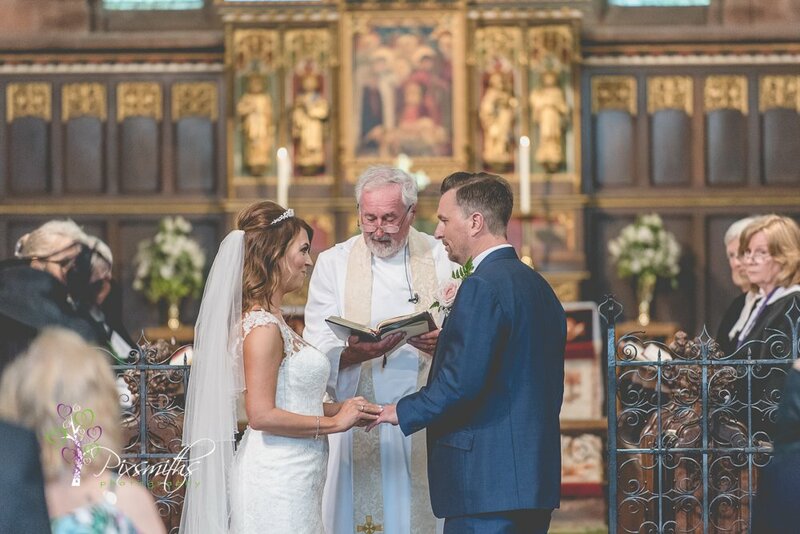 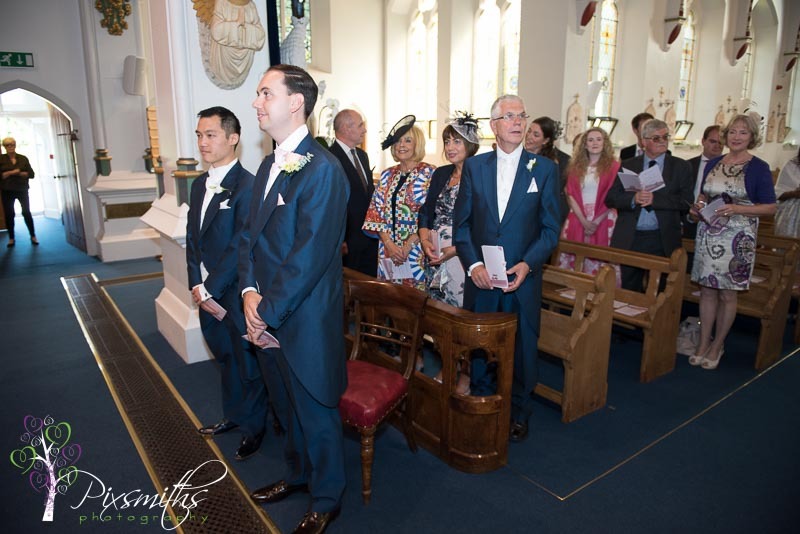 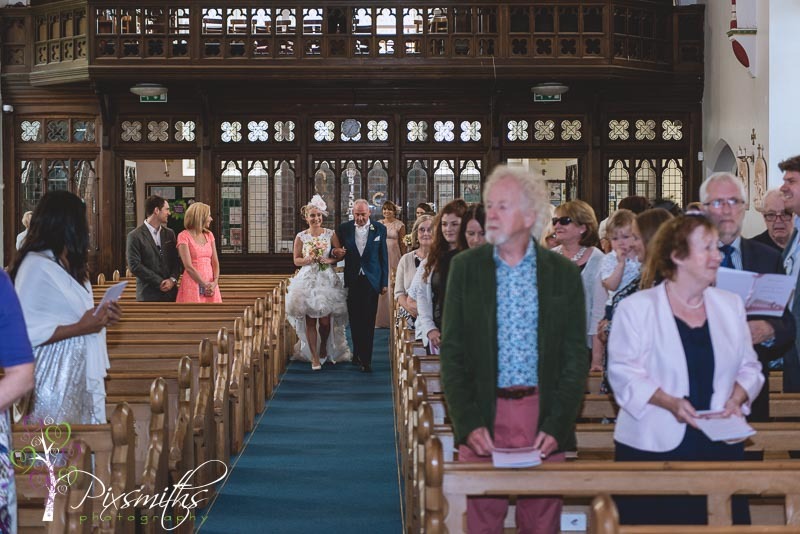 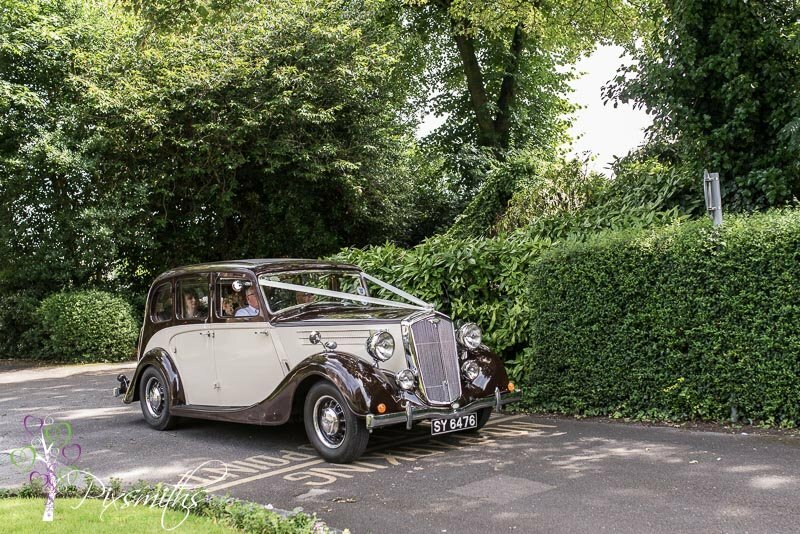 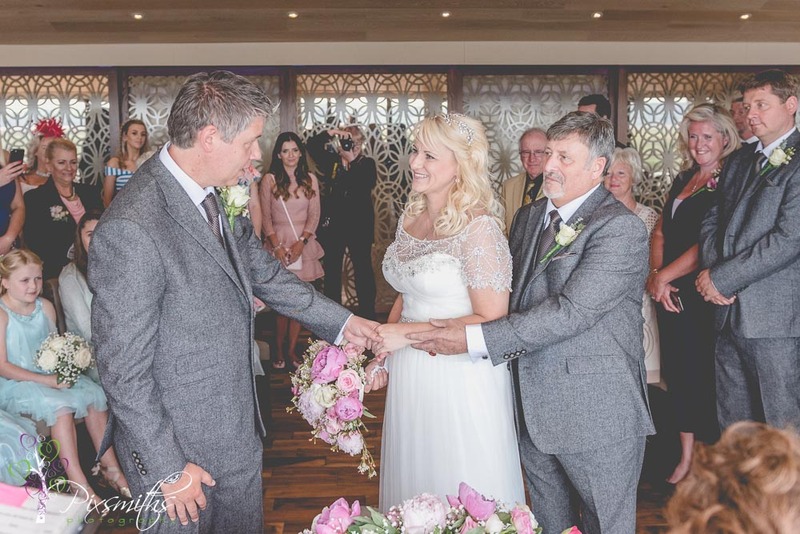 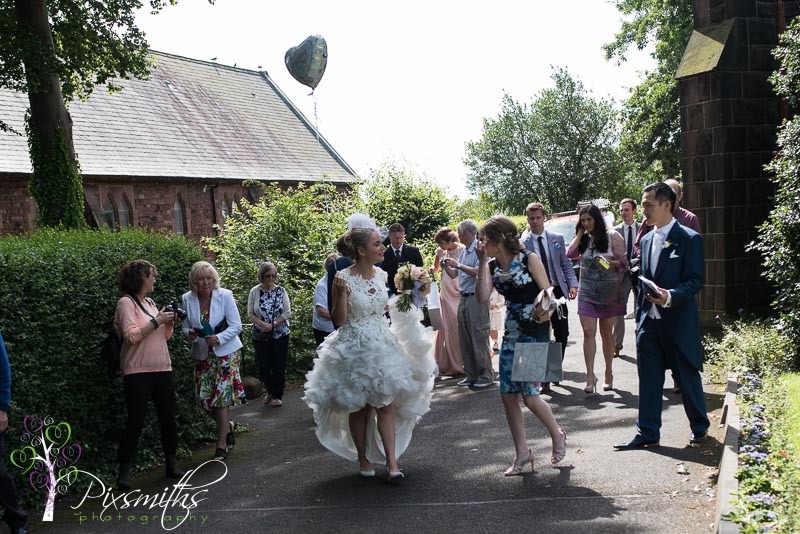 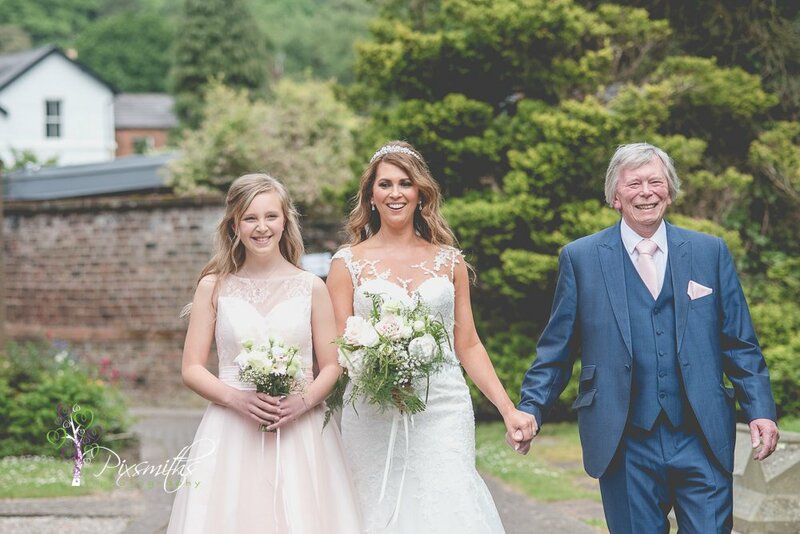 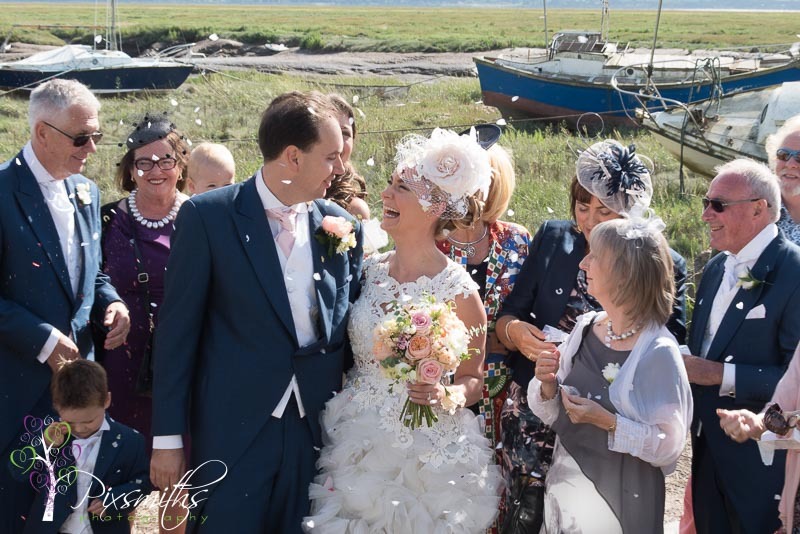 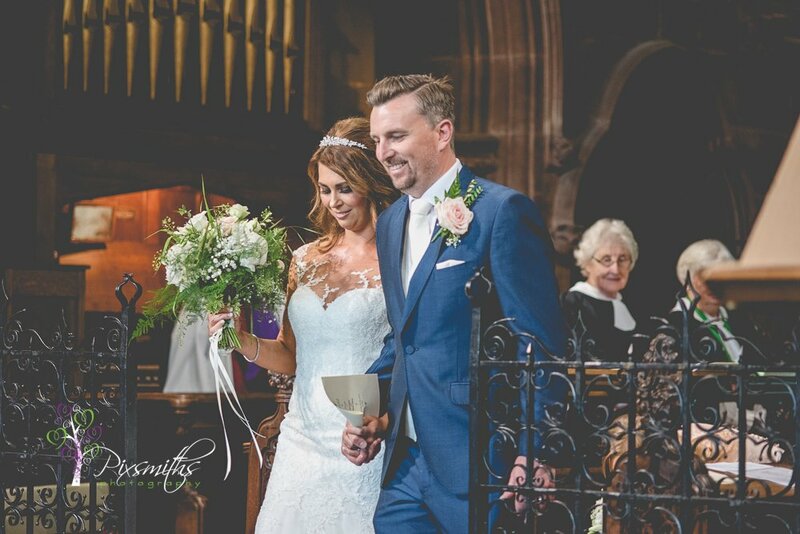 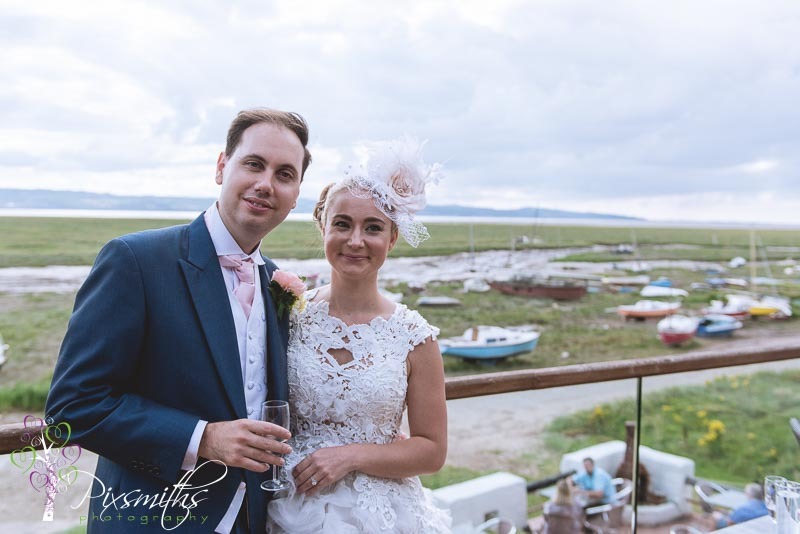 We were delighted to cover a few hours of Rose and Alex’s wedding day, split across Liverpool and Wirral. 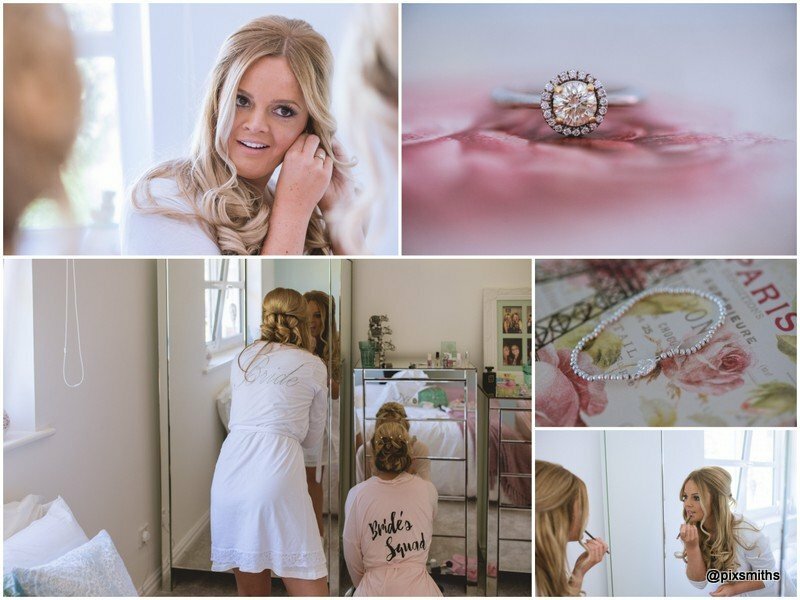 A wedding not too many months in the planning, with an engagement in the New Year. 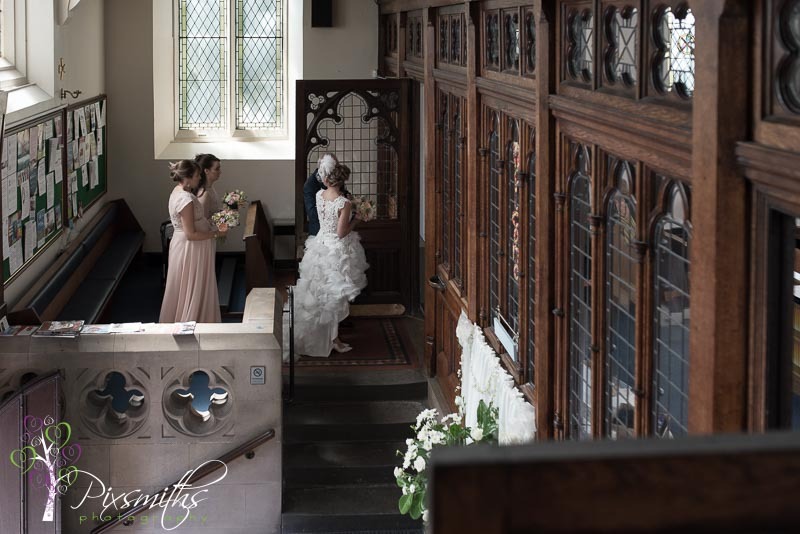 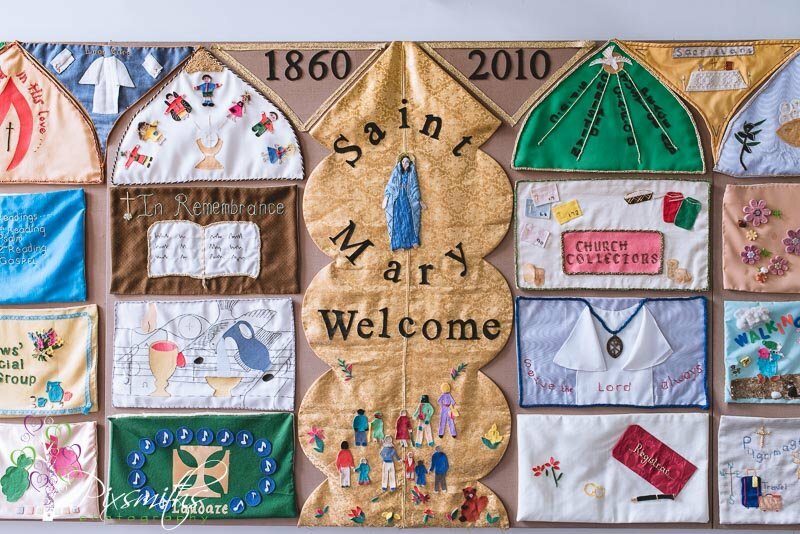 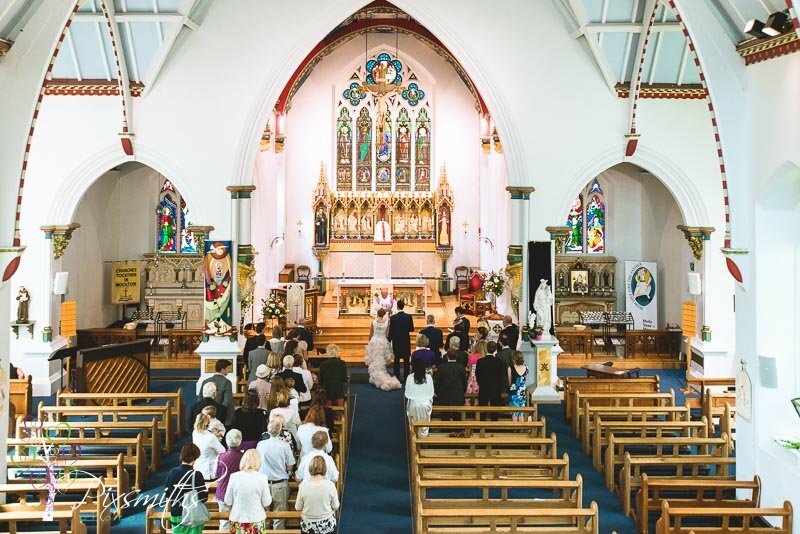 ..but wonderful plans, a lot of thought had gone in to the intimate service at St Mary’s in Woolton Liverpool. 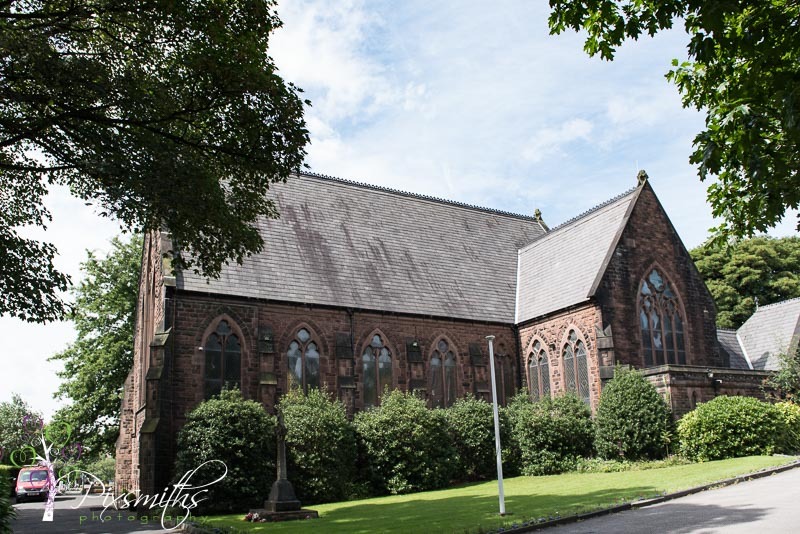 …the church where Cilla Black recently had a memorial service. 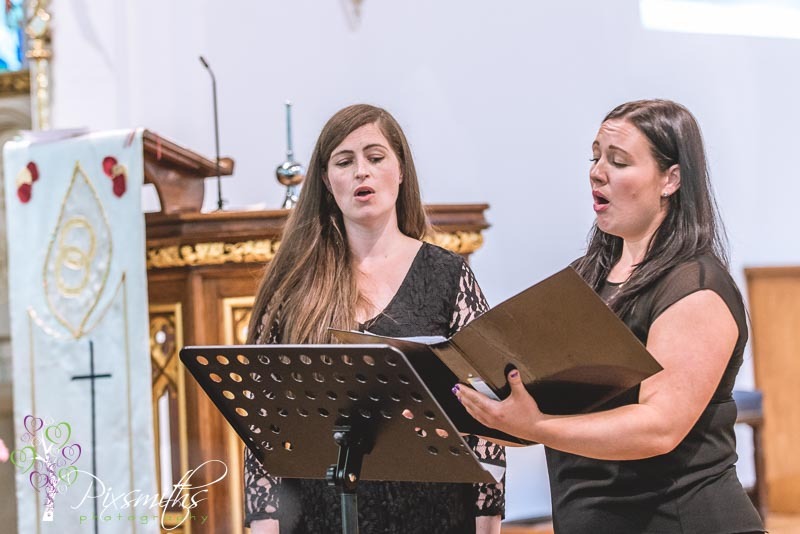 Beautiful music and readings from Song of Solomon – such romantic prose there and the two singers were wonderful, blending of operatic voices, who knew Pharell’s Happy could sound like that! 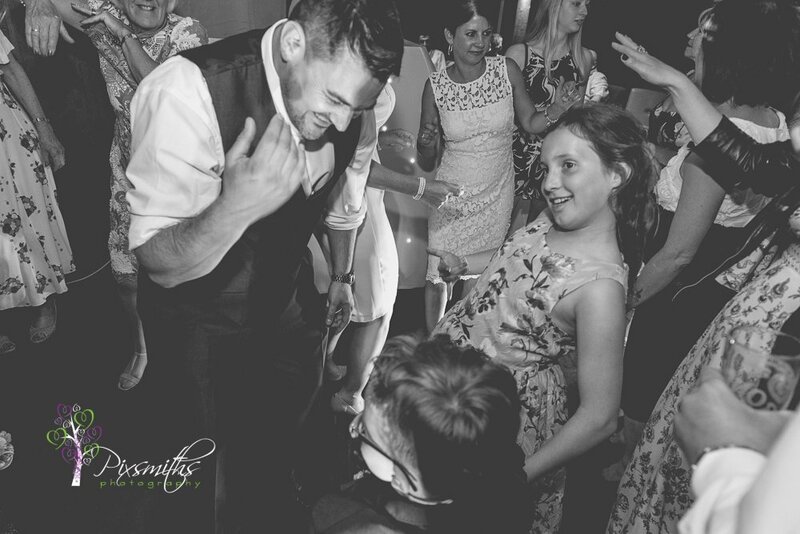 Rose and Alex danced out of St mary’s to this “Happy” tune. 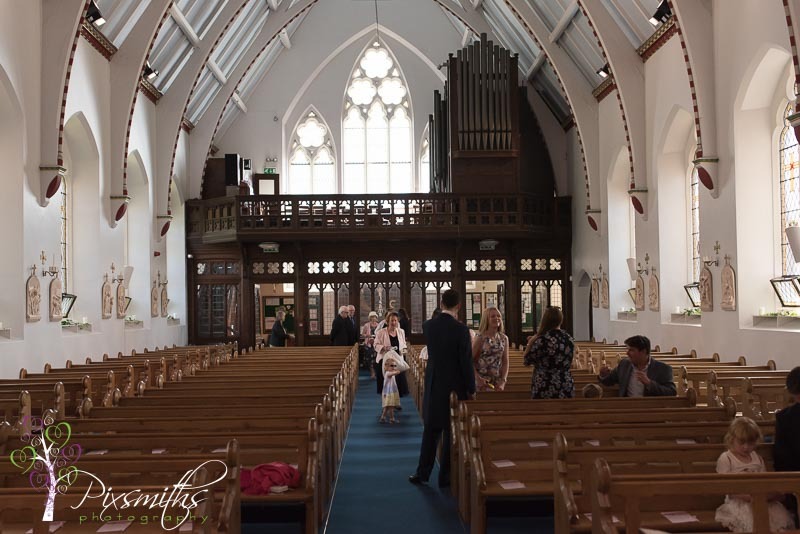 Wonderful light bright church with a great balcony to shoot from too. 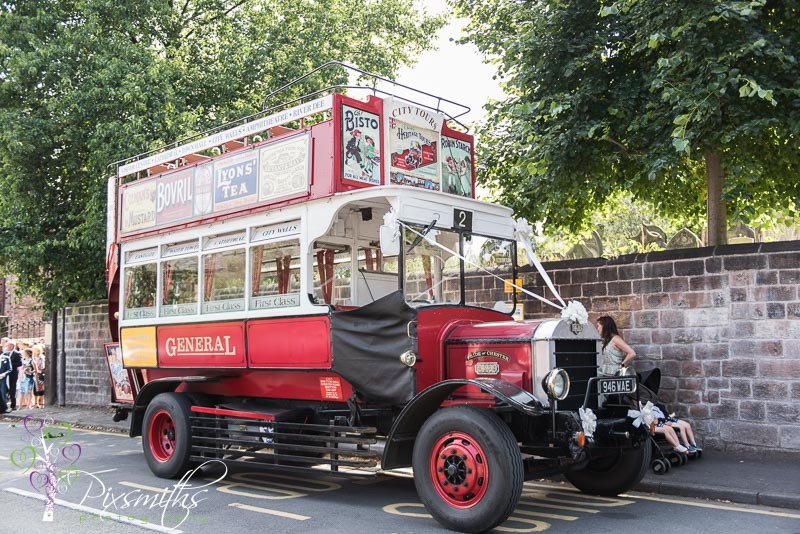 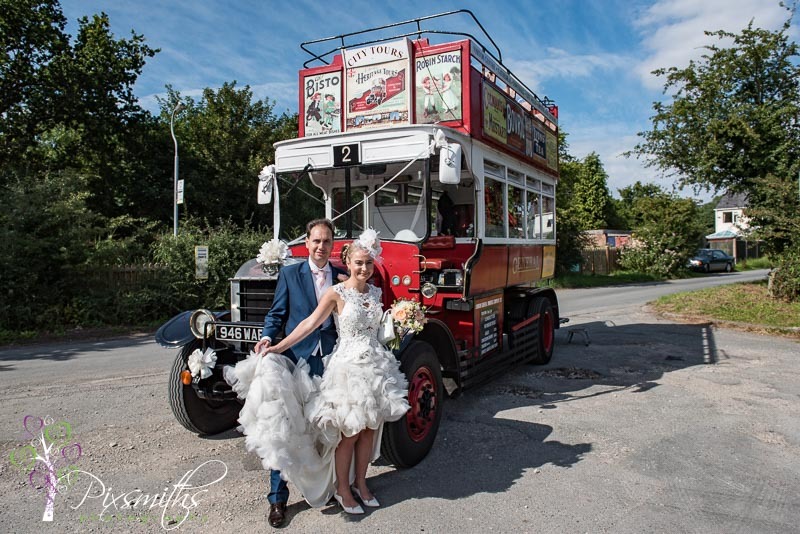 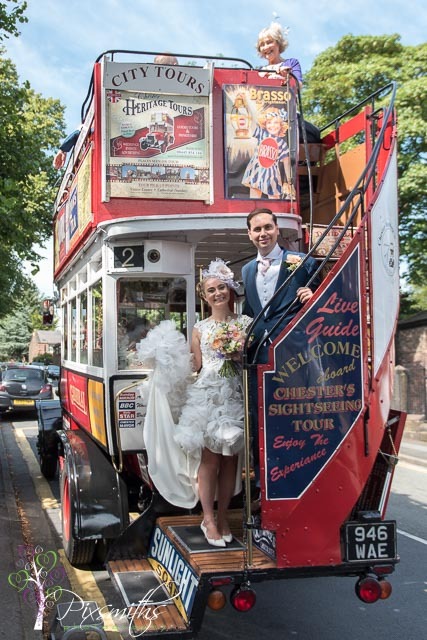 Then what a treat for the guests, the open top Chester vintage bus, one of only 3 in the country of this type, was hired to take the guests over to Sheldrakes on the Wirral. 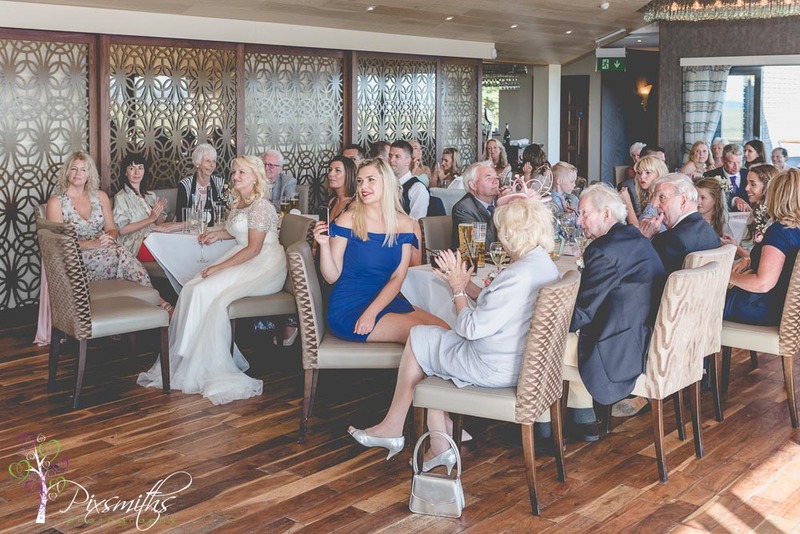 A few group shots and quick portraits before they sat down for their meal. 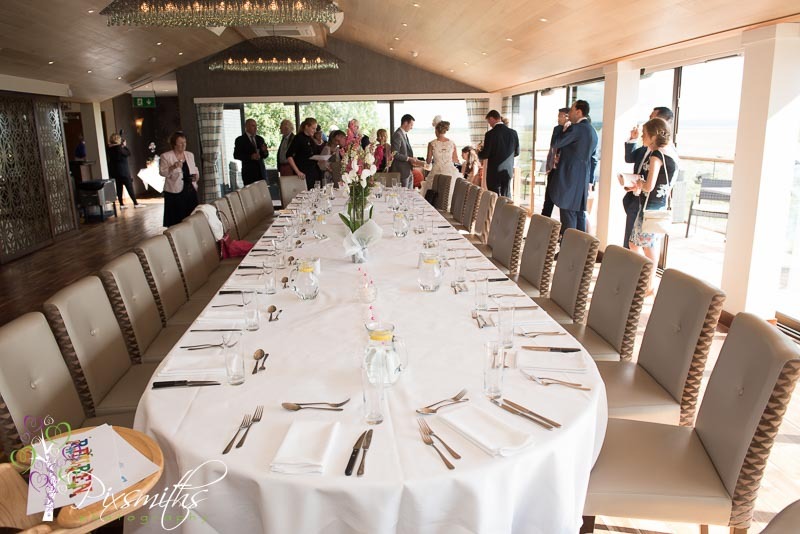 The food selection at sheldrakes restaurant was a major plus point in their venue selection. 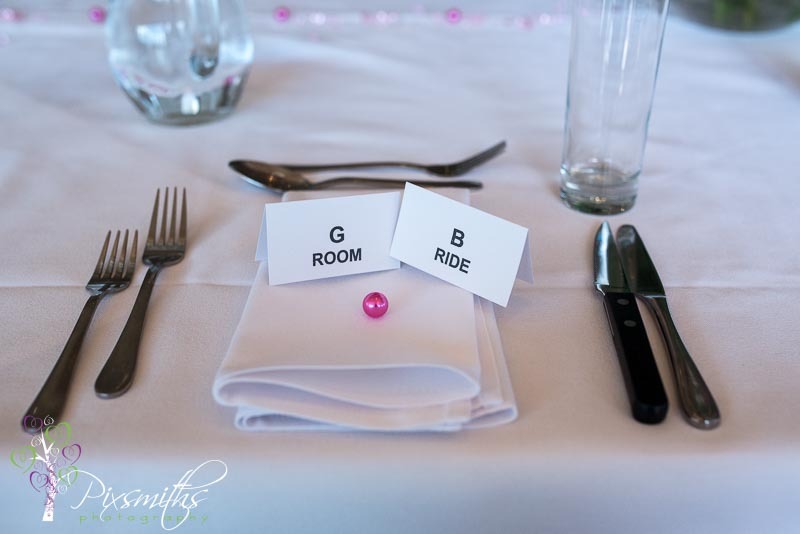 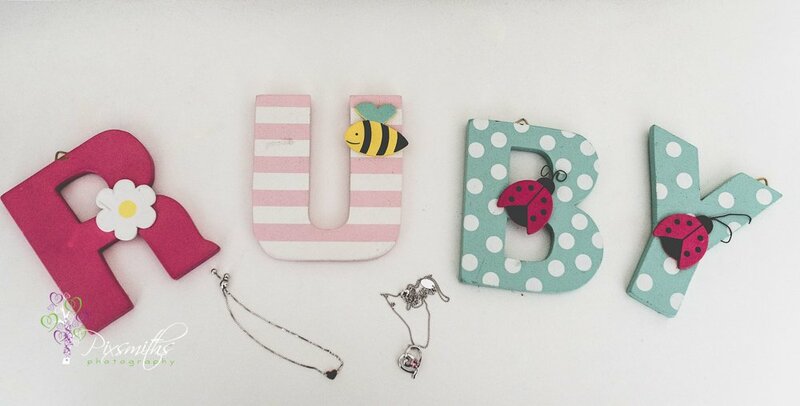 Alex is an eye doctor …and novel idea to use place cards akin to eye test chart, love the details! 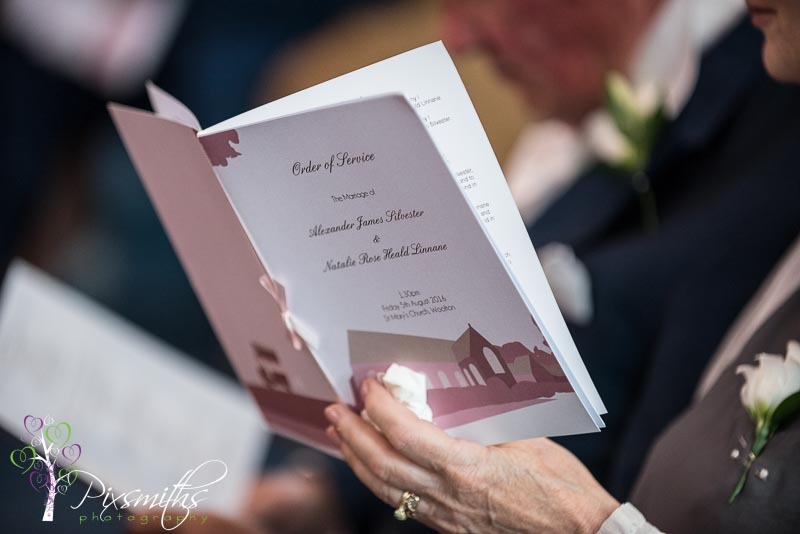 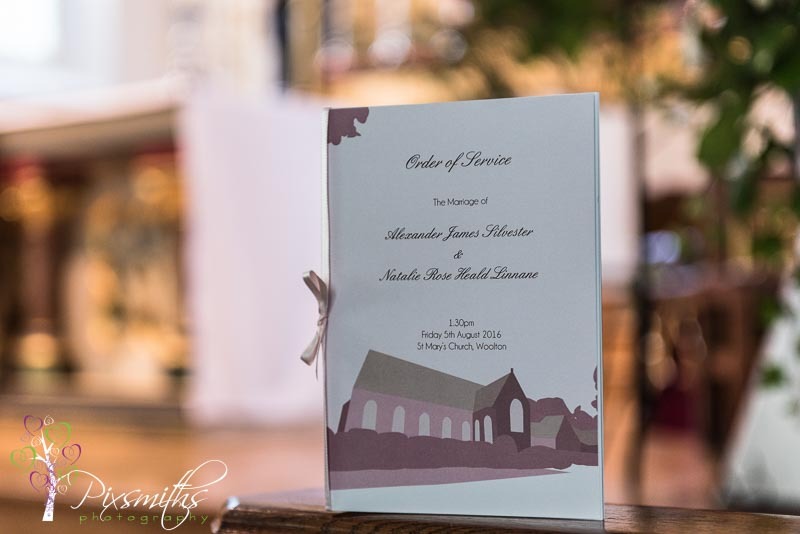 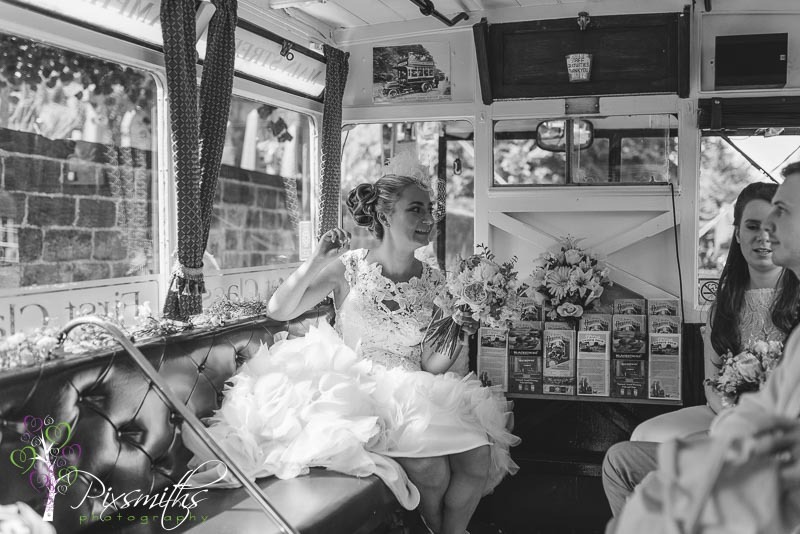 Beautiful wedding stationery from Devlin Designs too the invites with Sheldrakes depicted complimenting the order of service with St MAry’s and the vintage bus on the back – lovely attetion to detail. 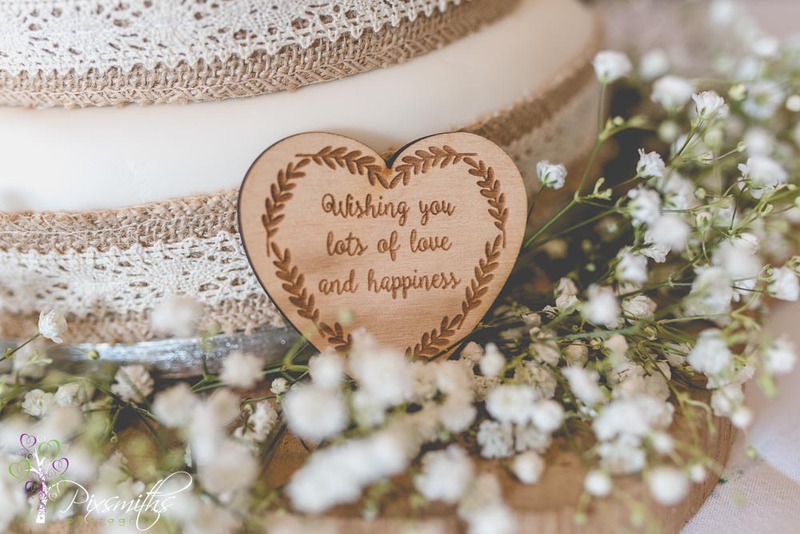 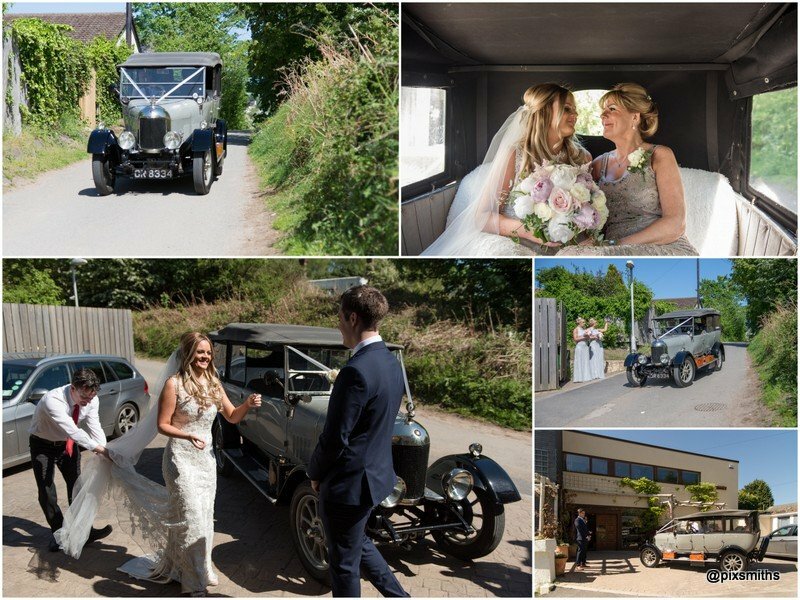 Many congrats Rose and Alex wishing you much happiness and thank you for asking us to be a part of your day in capturing some specail memories. 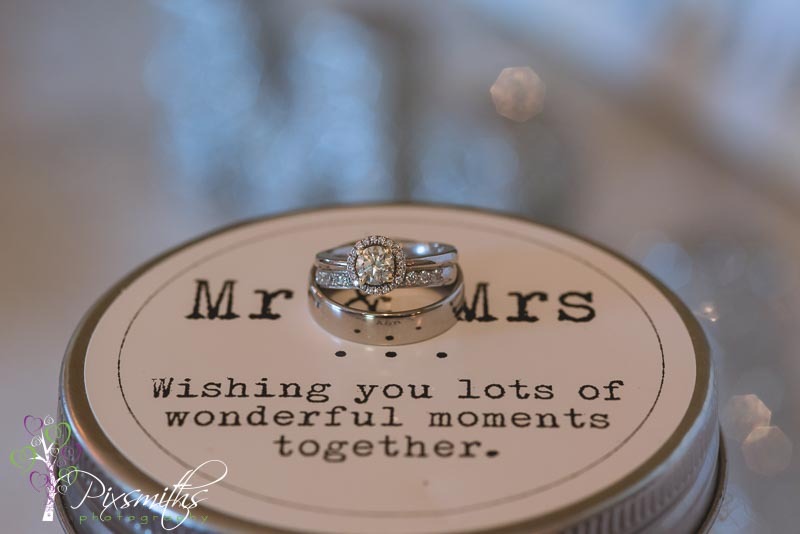 Are you having a Sheldrakes Wedding? 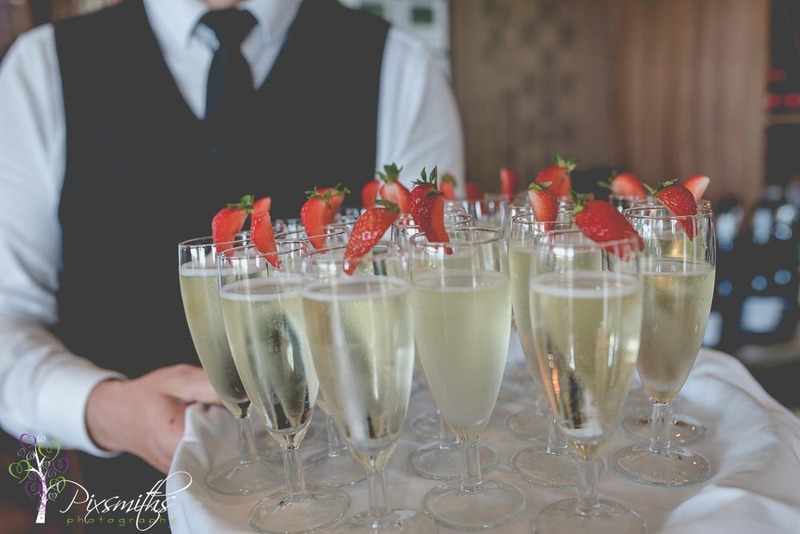 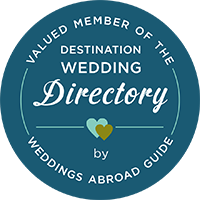 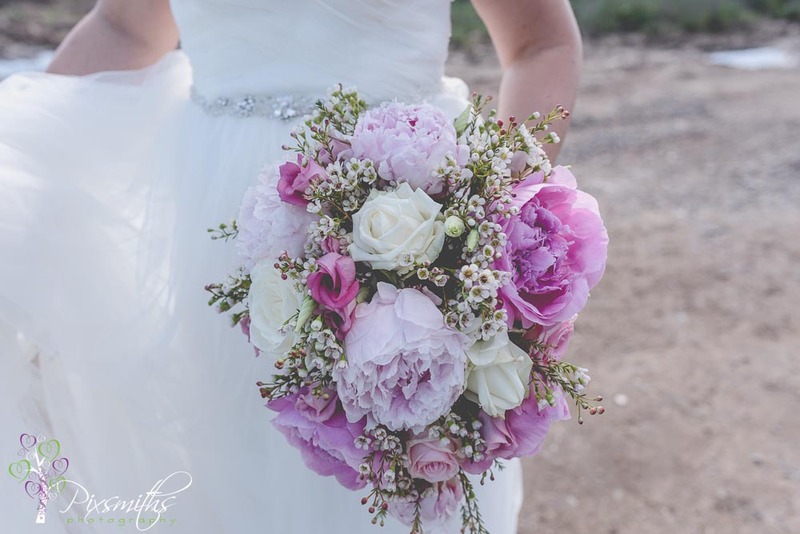 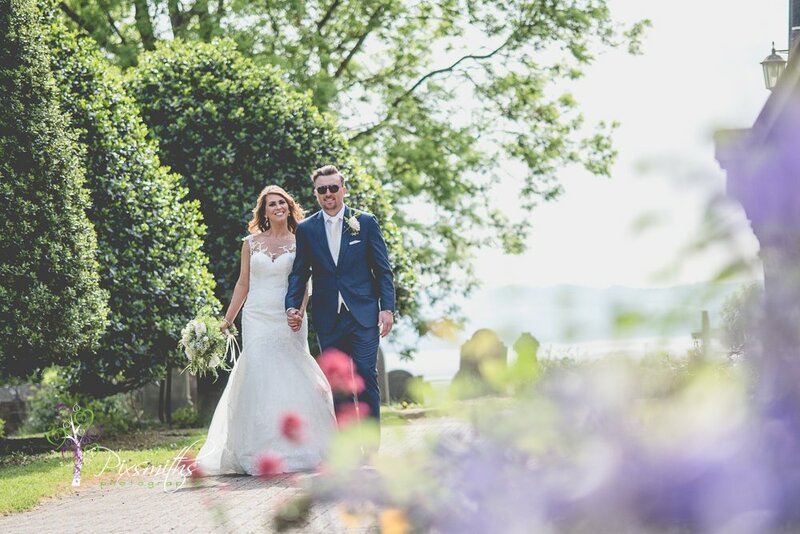 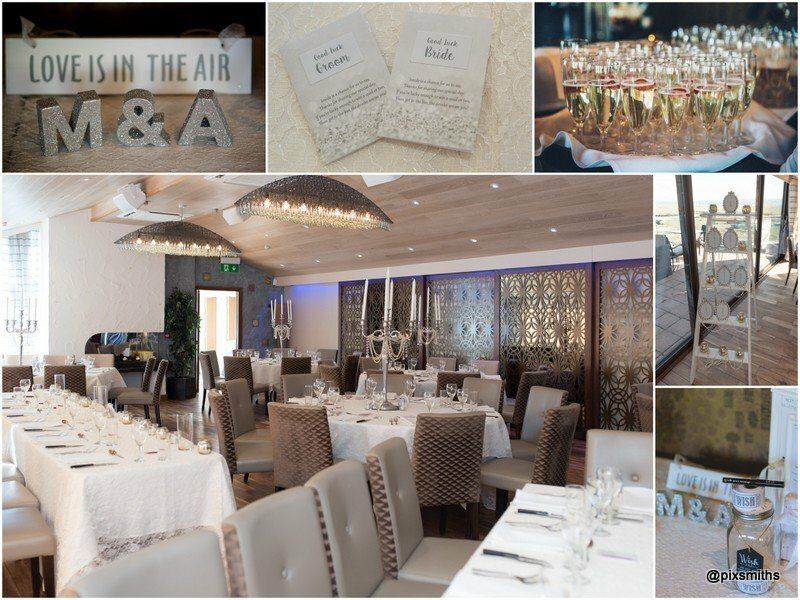 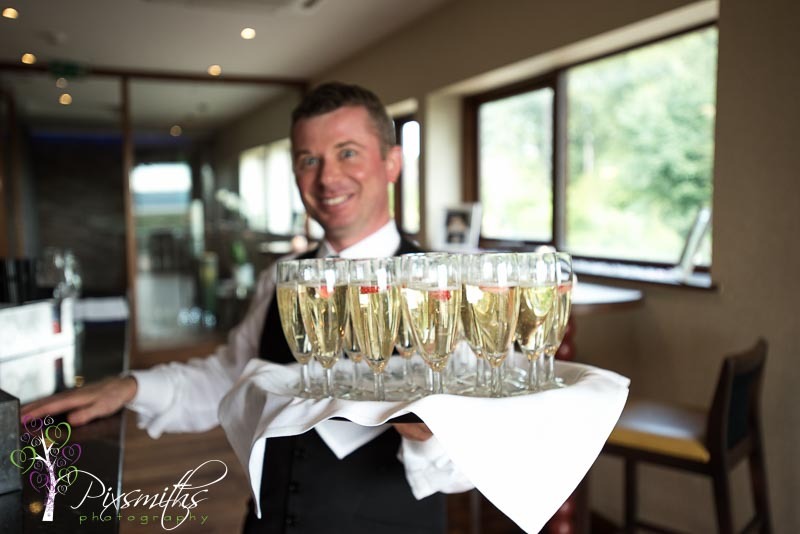 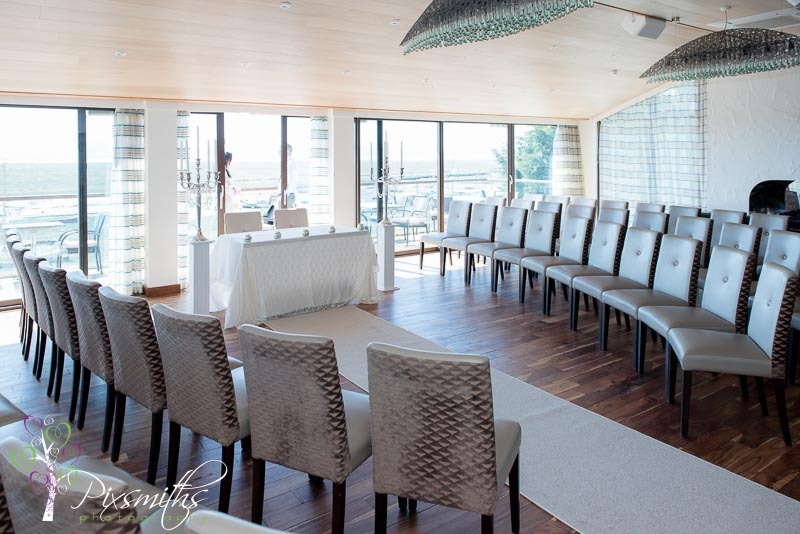 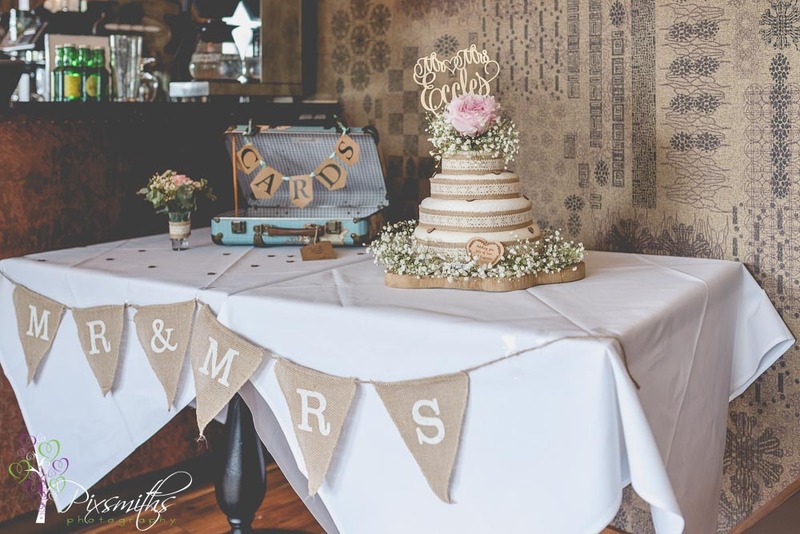 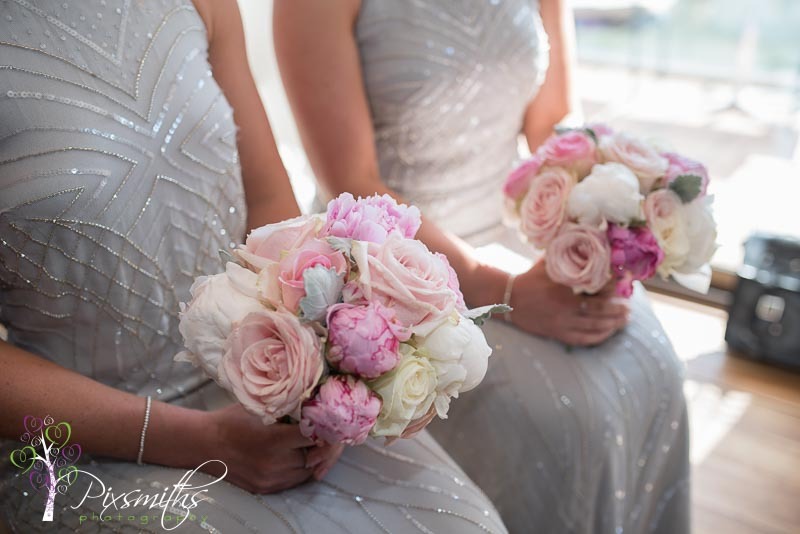 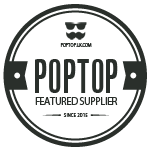 We love weddings and receptions here and are on their list of preferred suppliers. 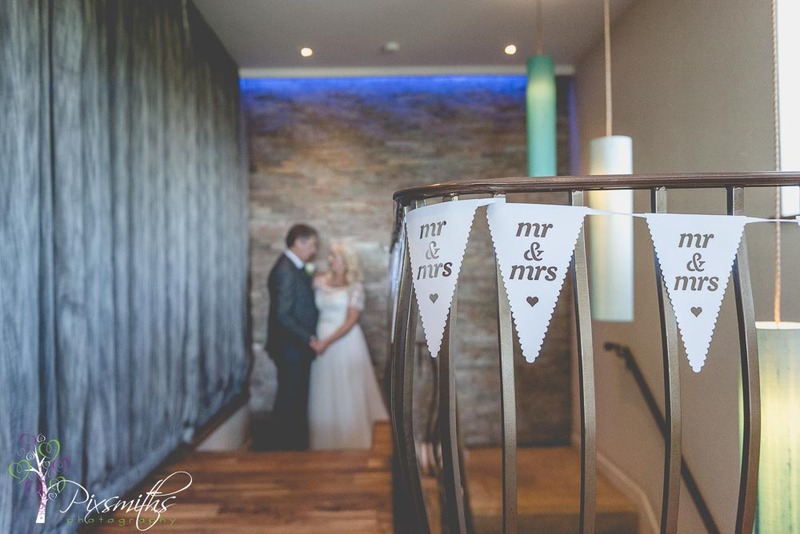 We’d love to hear from you if you are planning your day here so please drop us a message and let’s chat over a cuppa. 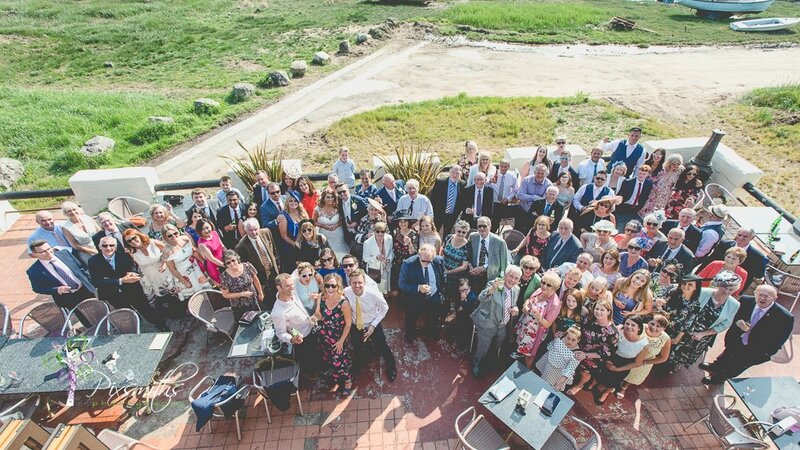 A glorious sunny day for a Sheldrakes wedding and party! 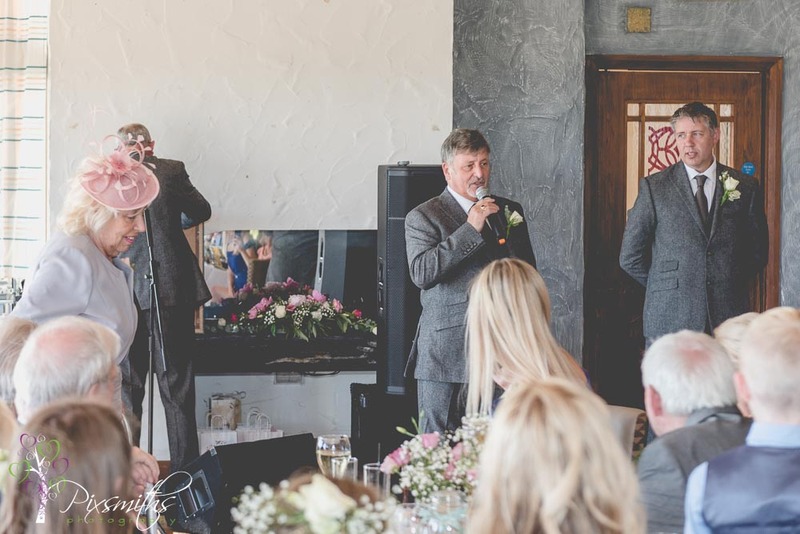 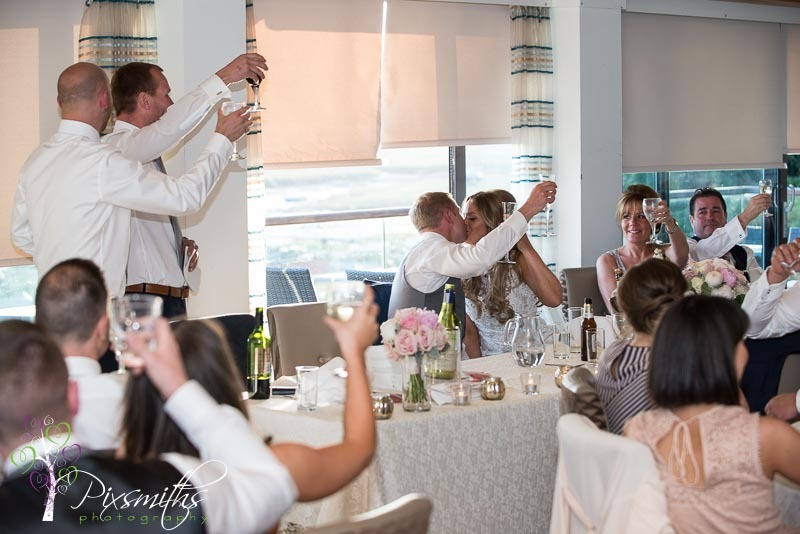 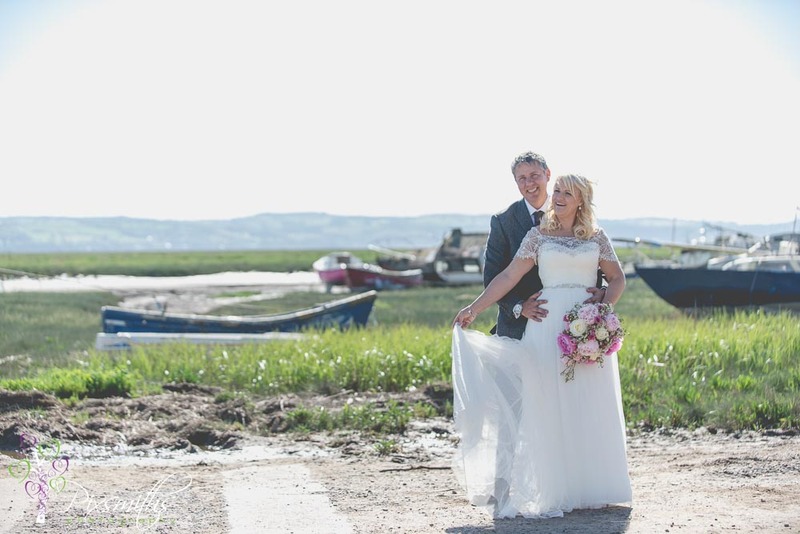 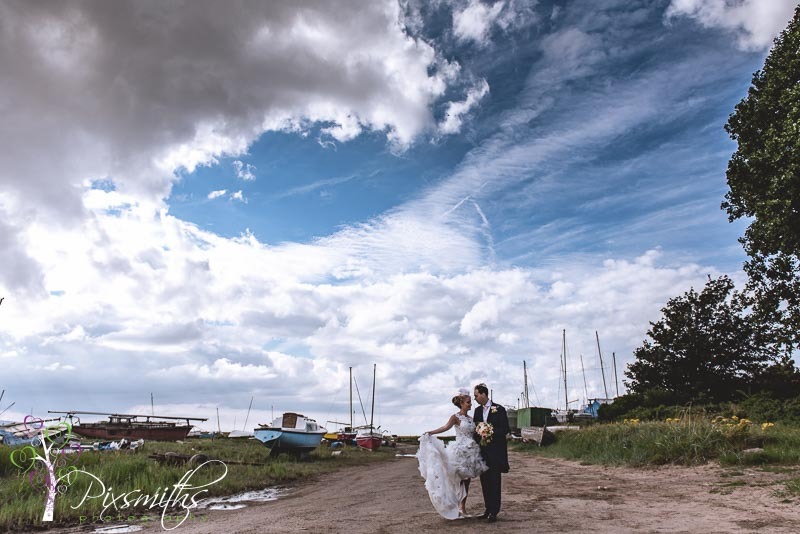 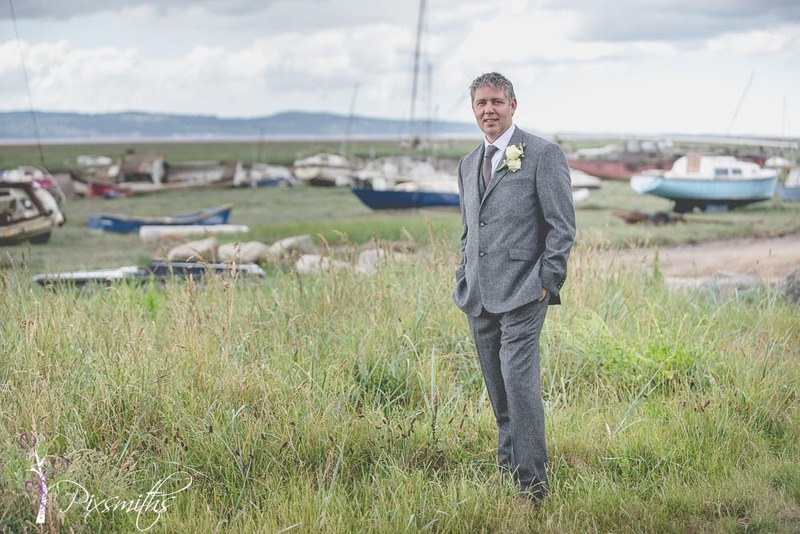 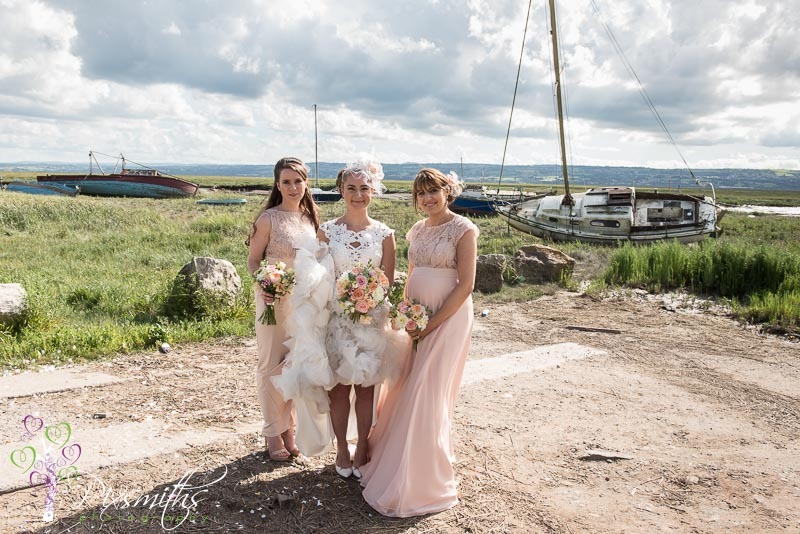 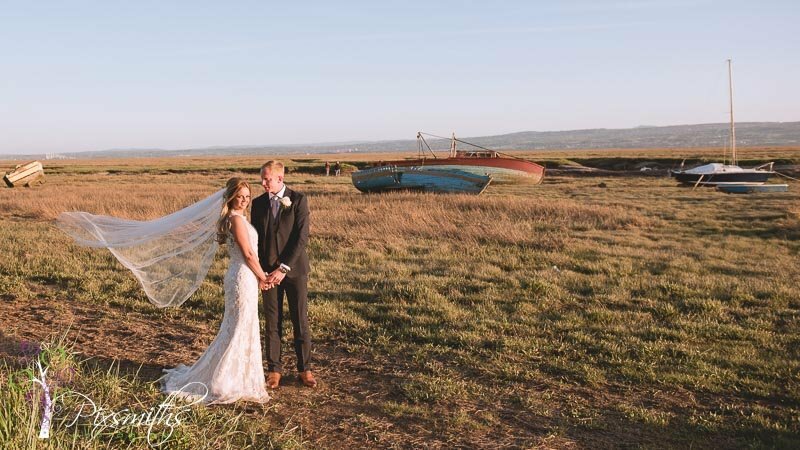 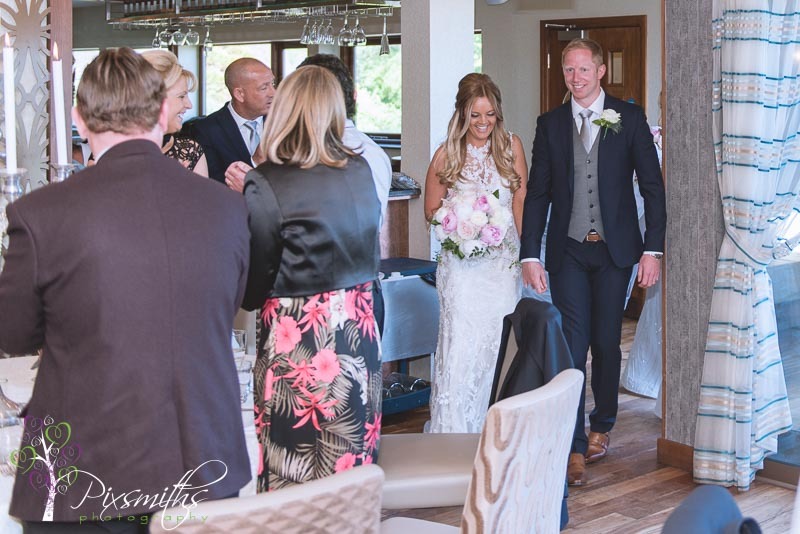 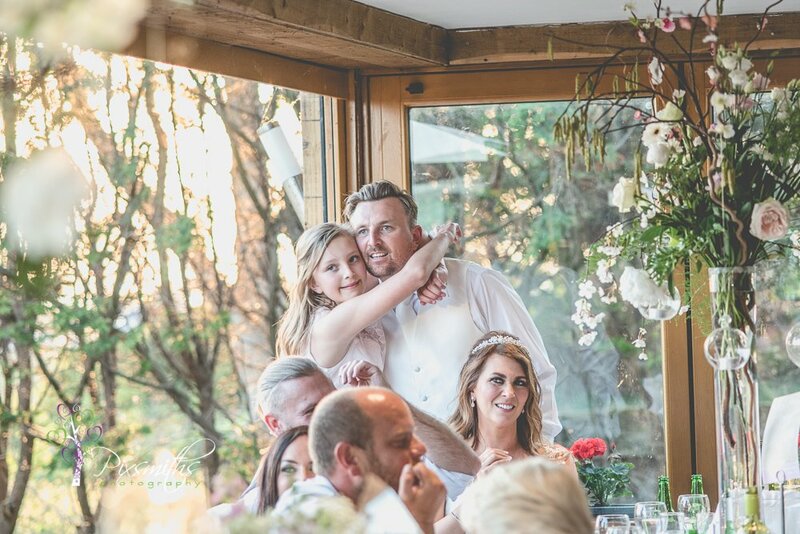 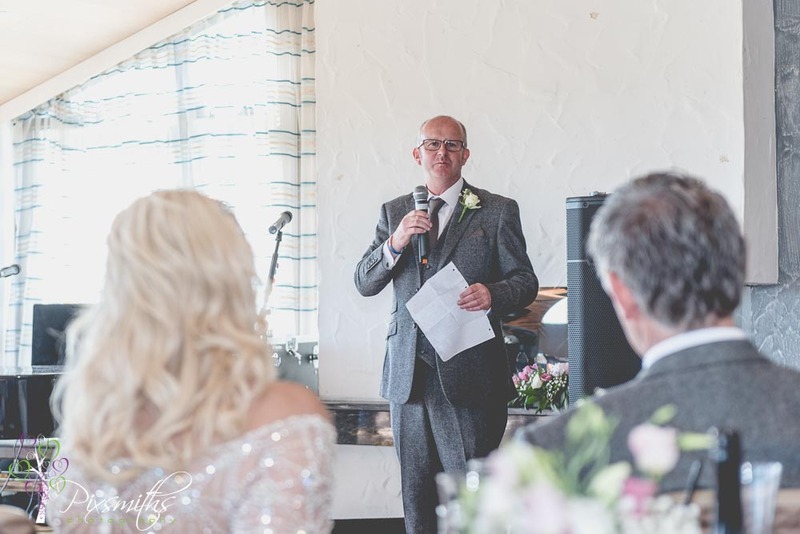 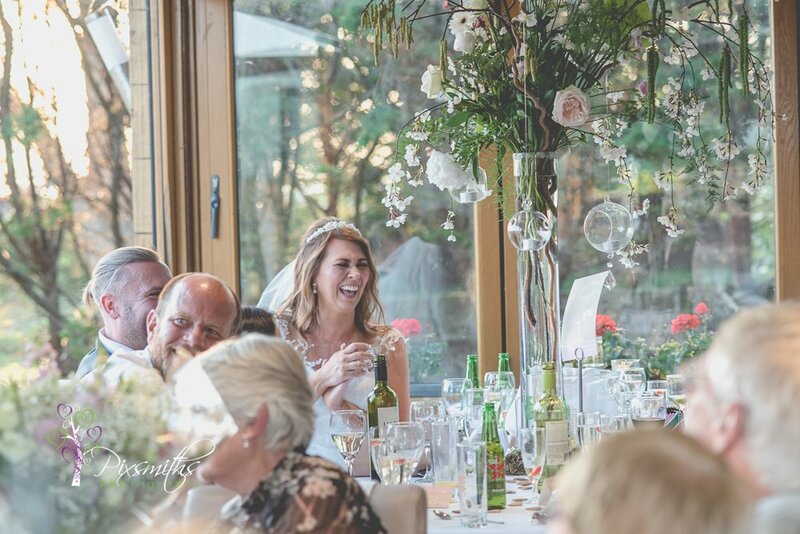 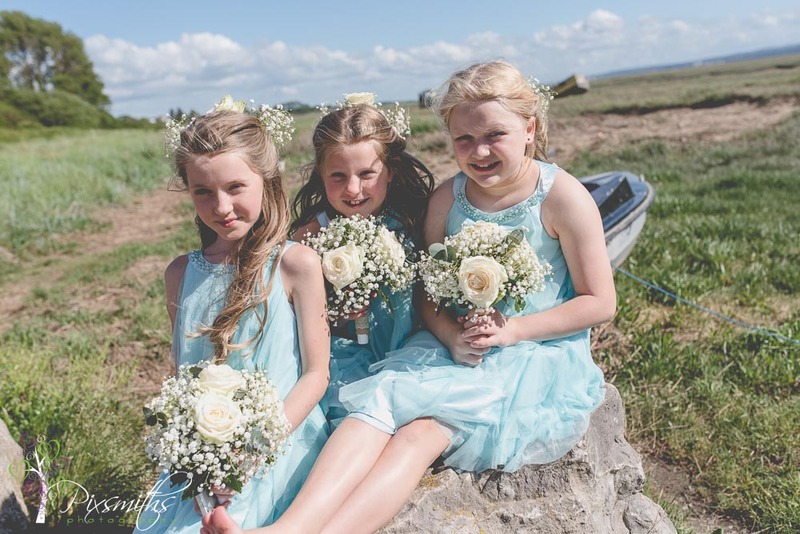 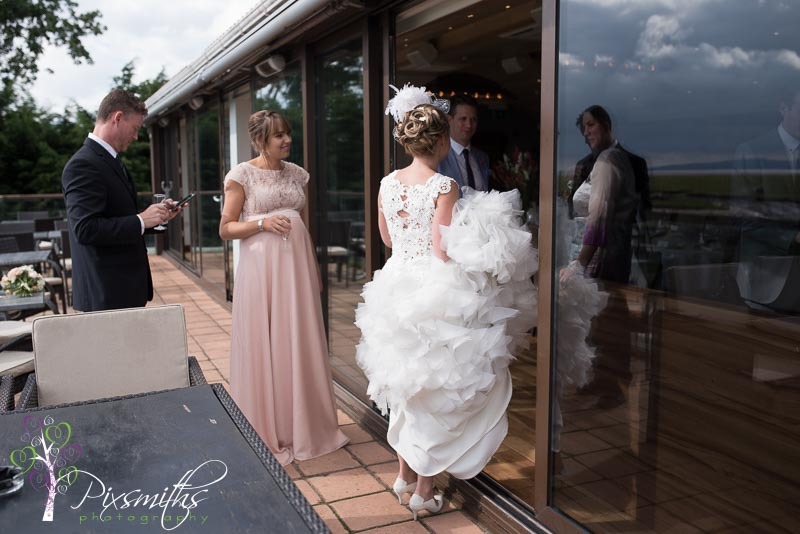 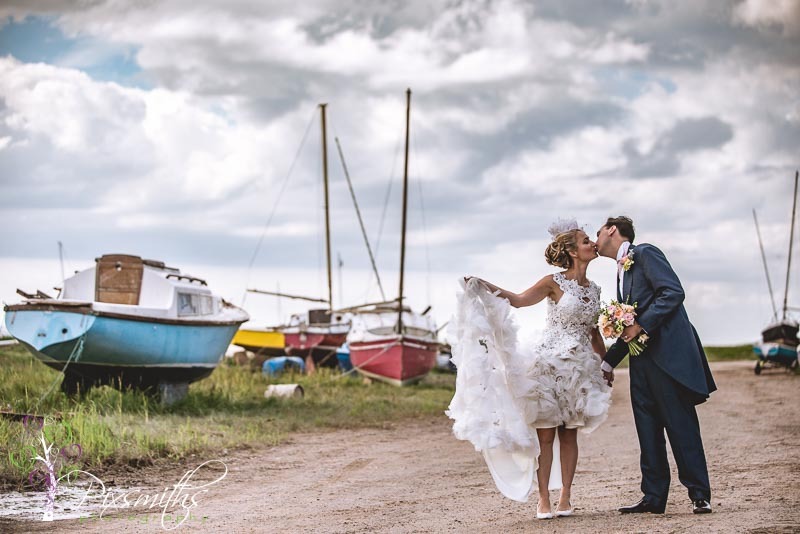 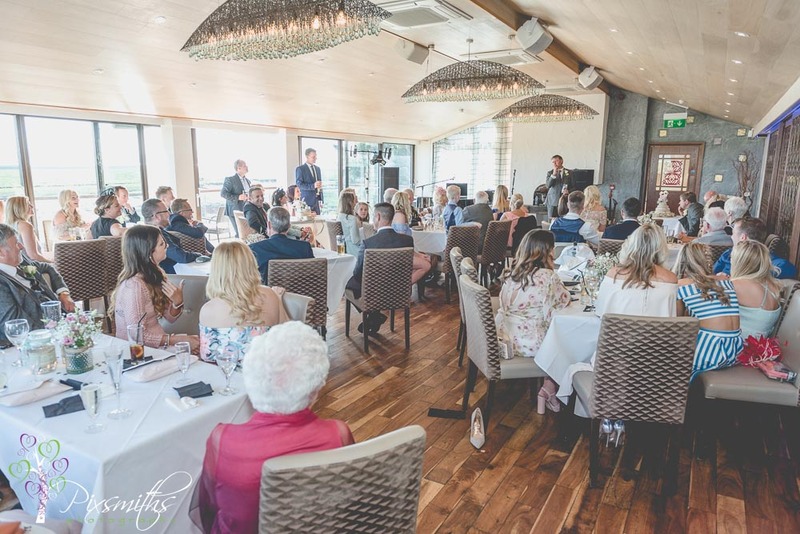 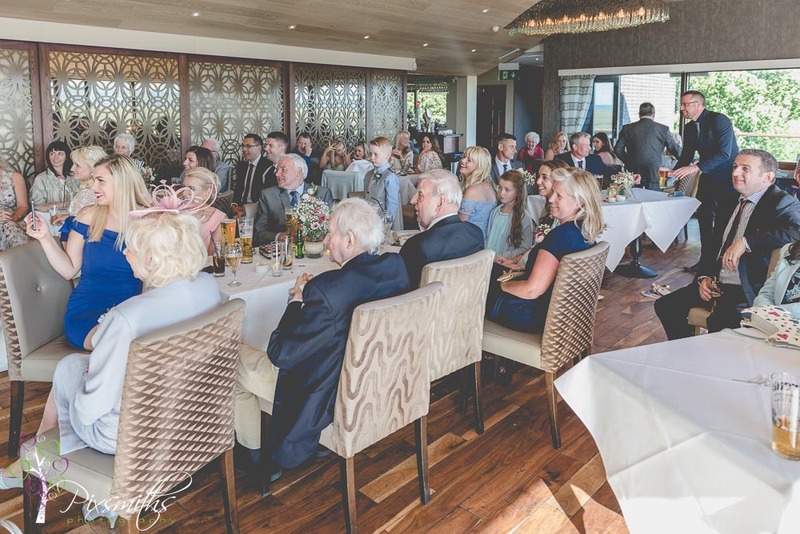 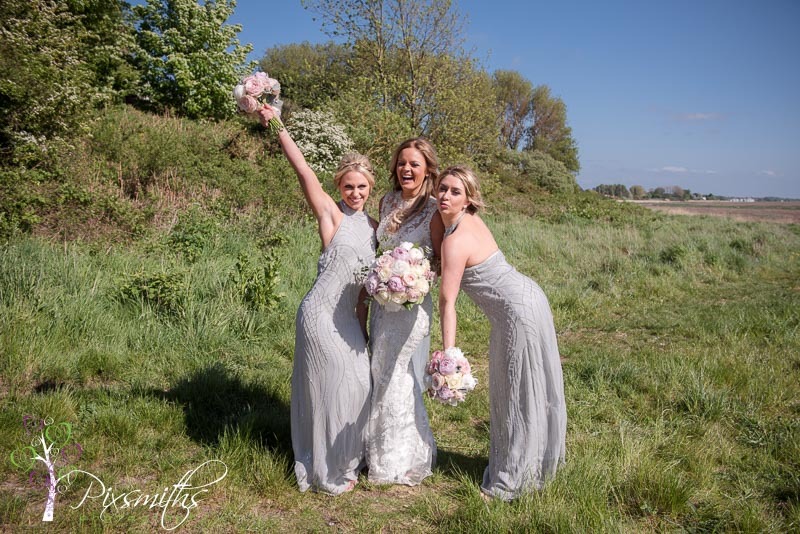 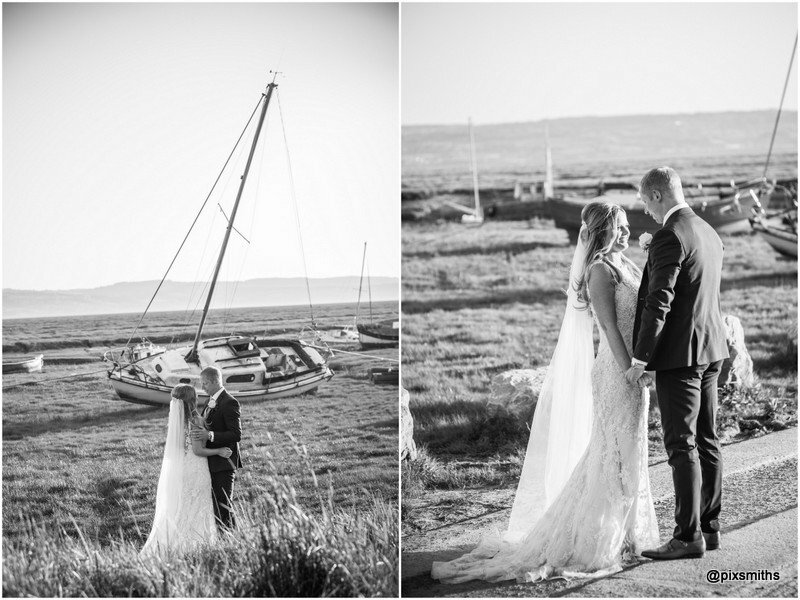 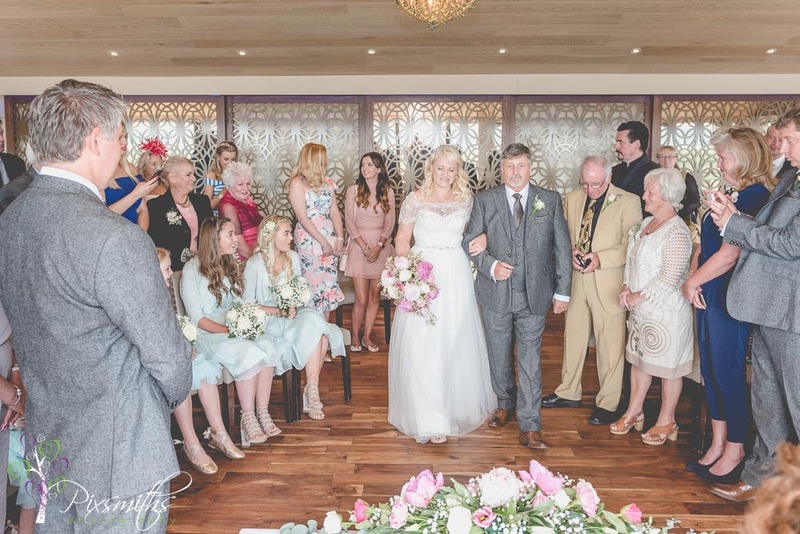 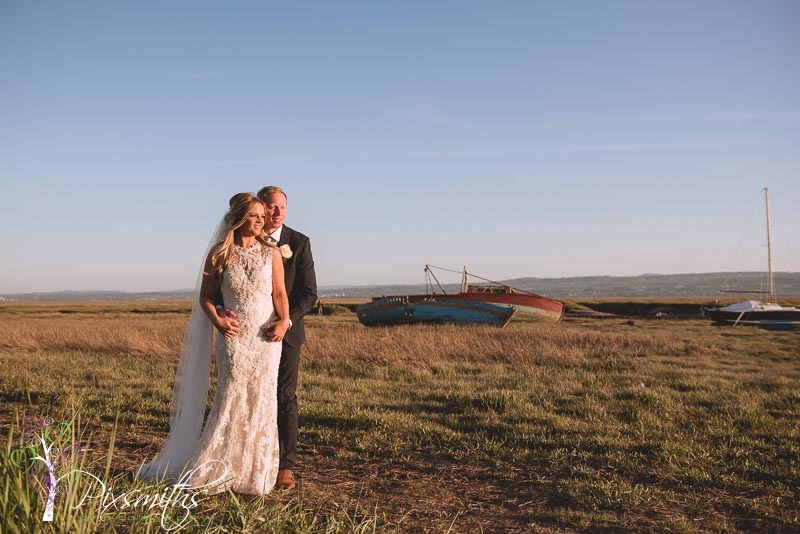 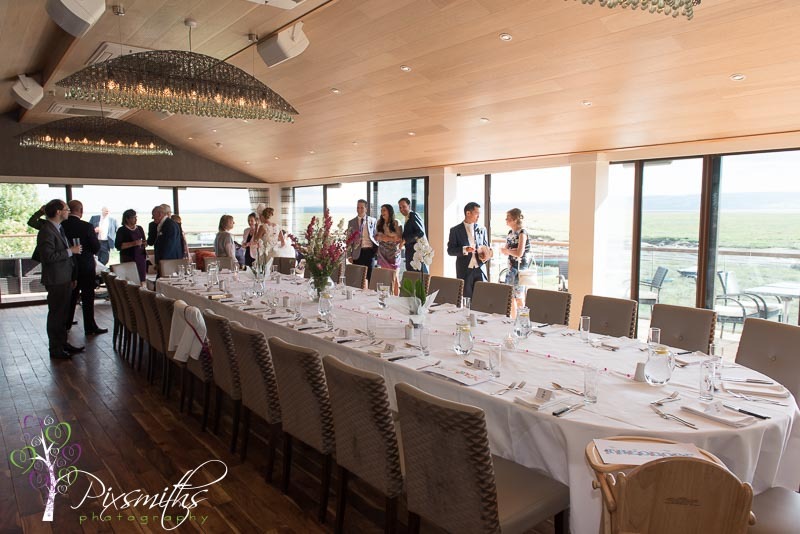 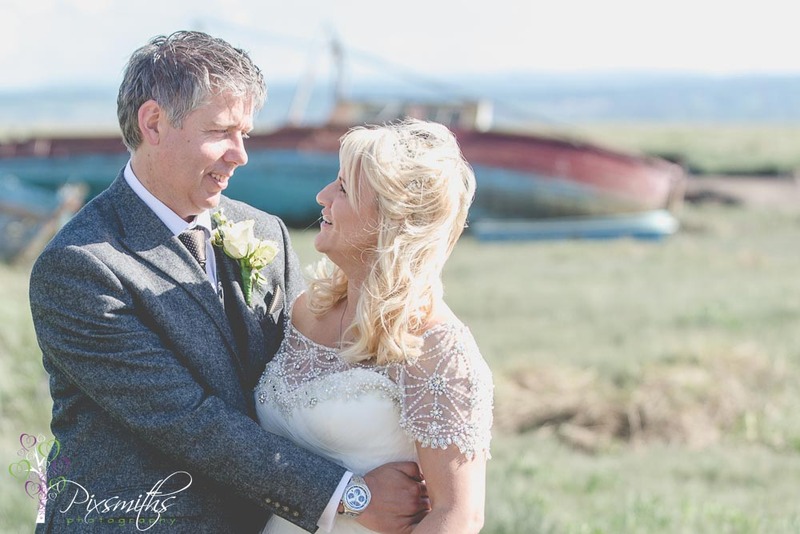 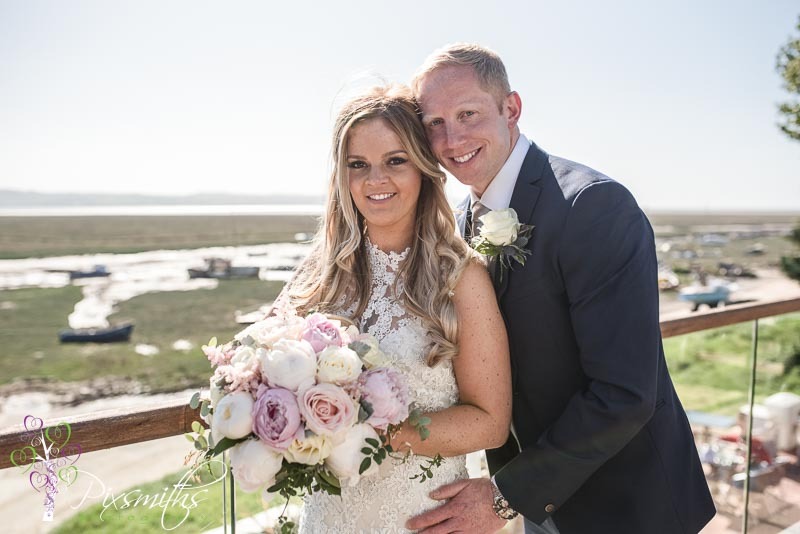 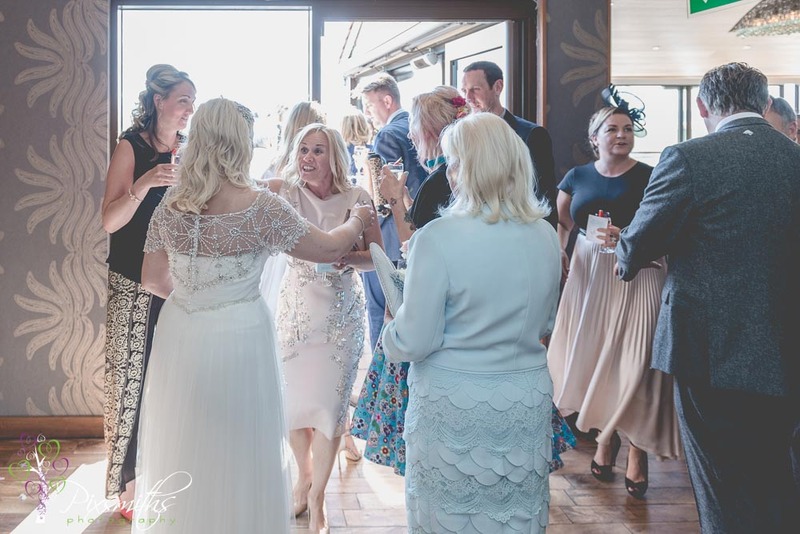 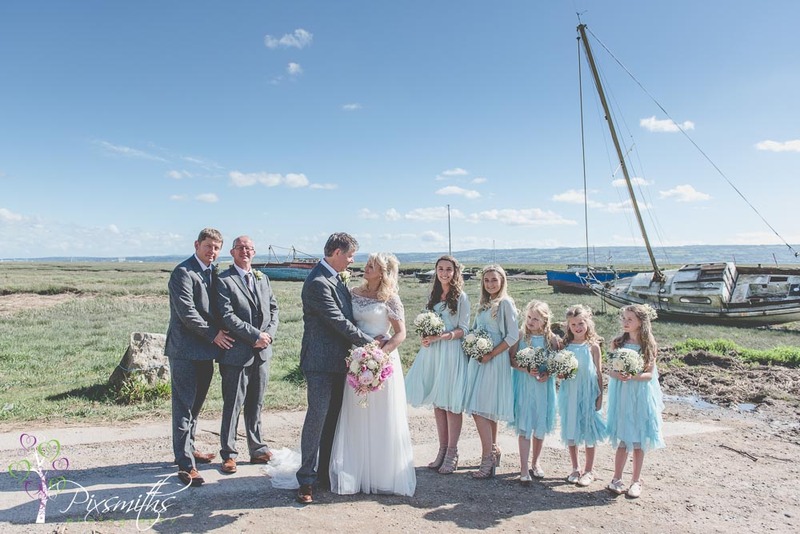 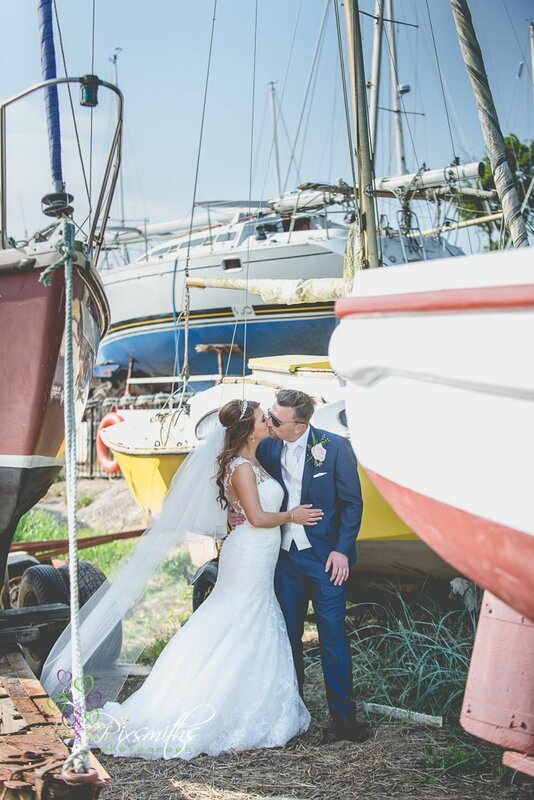 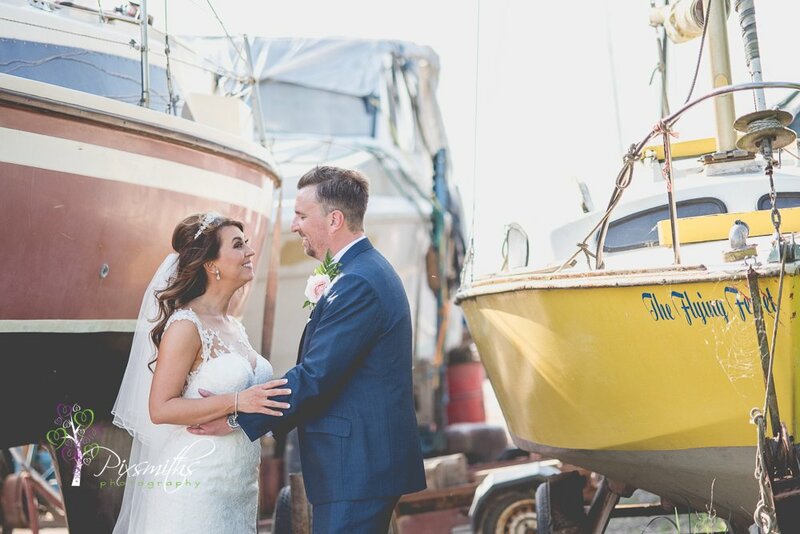 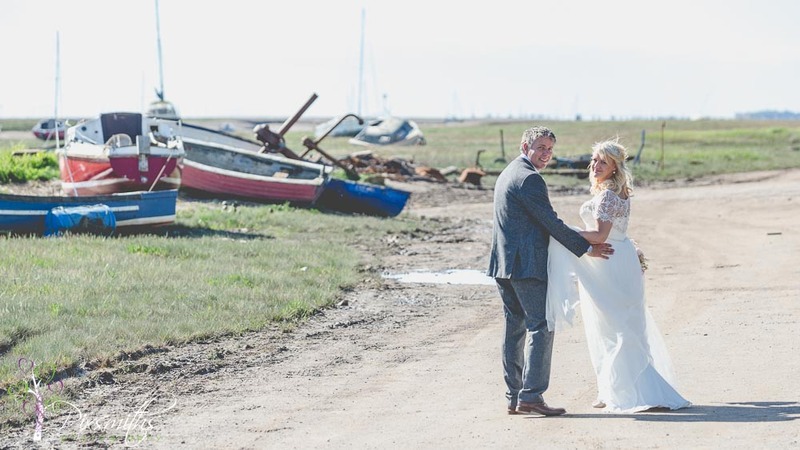 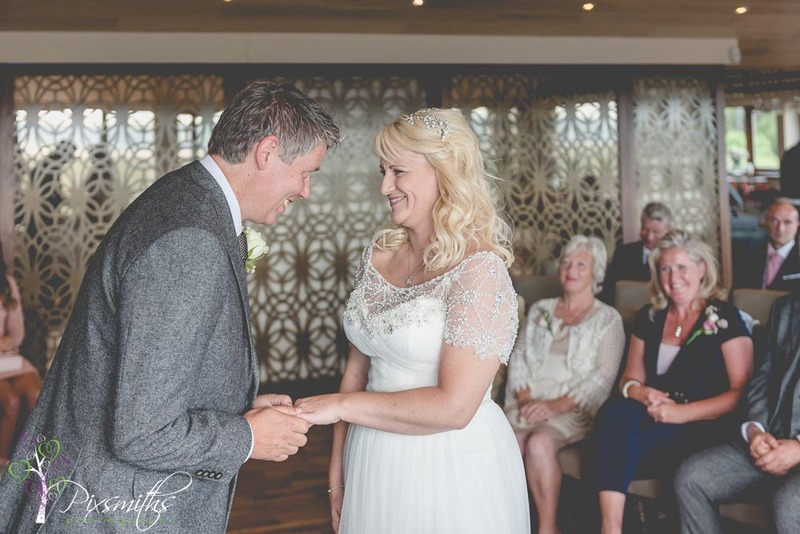 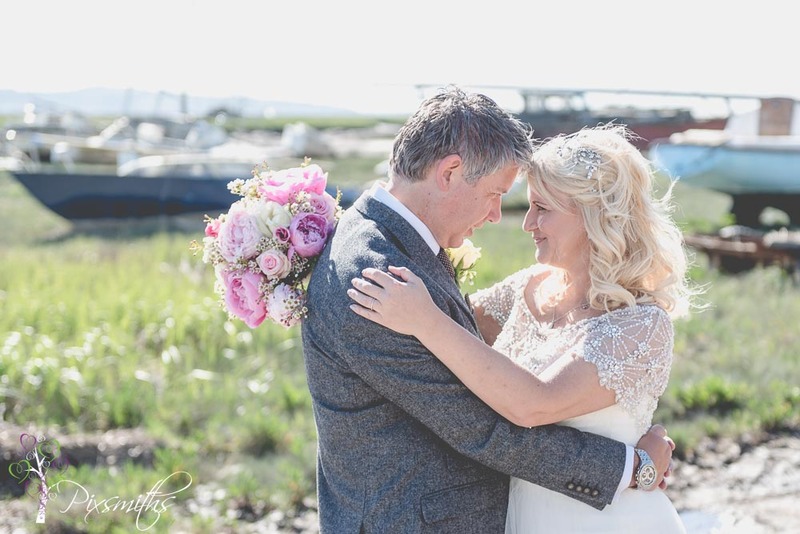 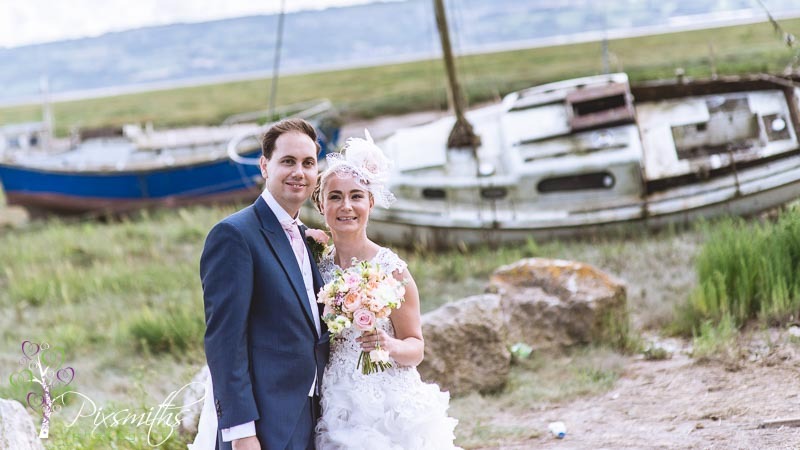 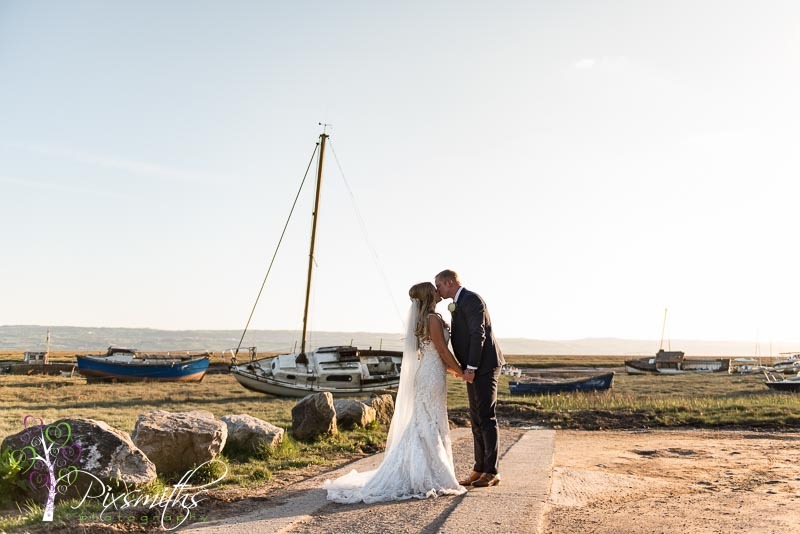 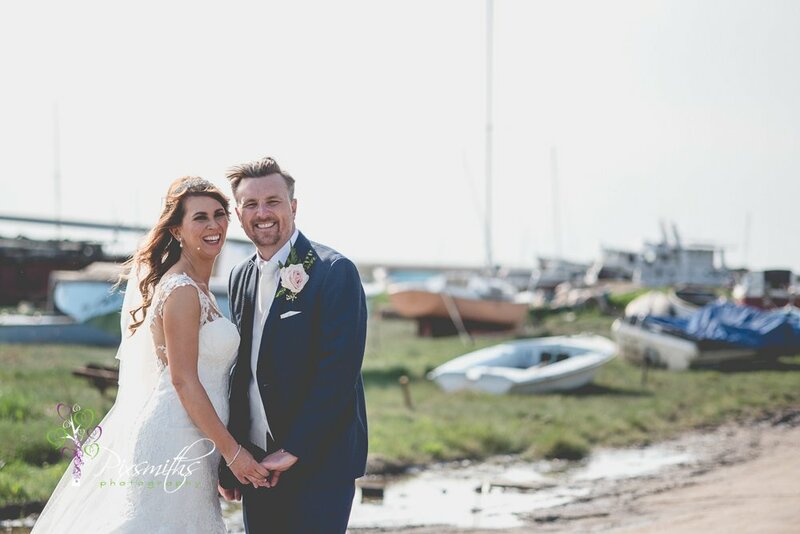 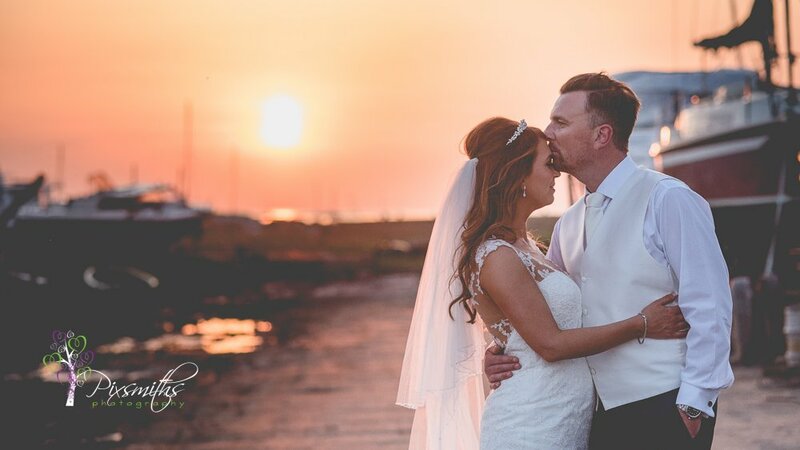 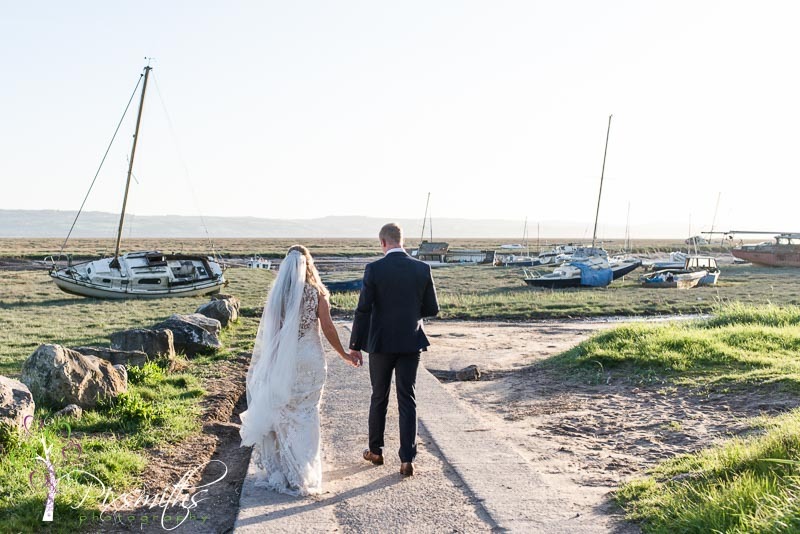 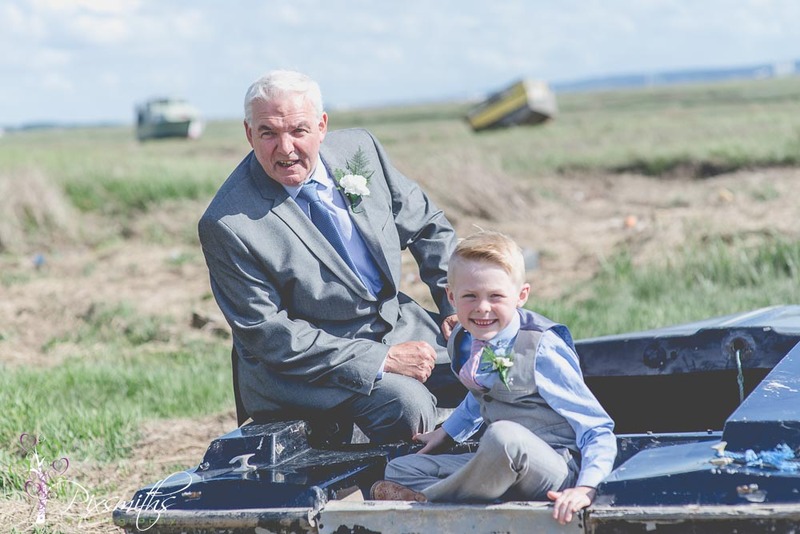 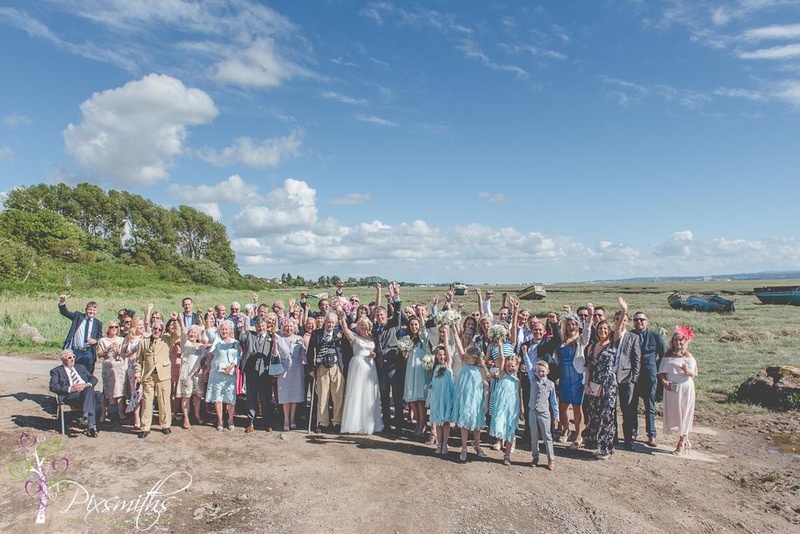 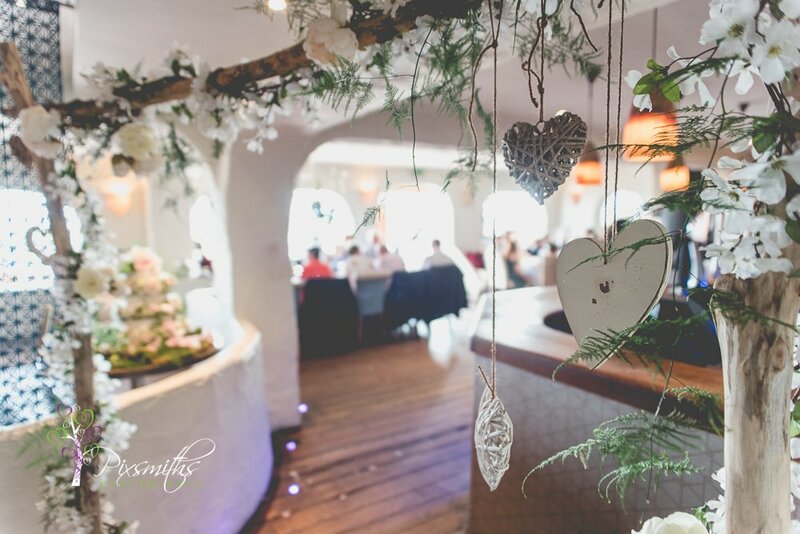 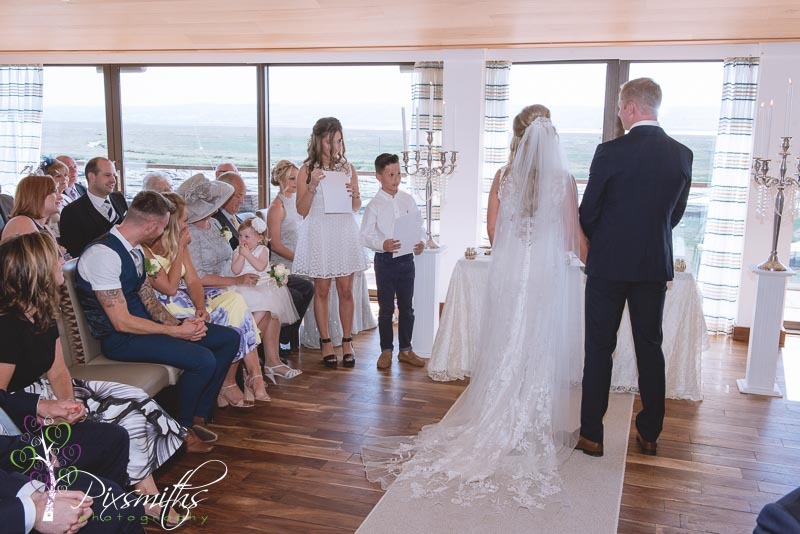 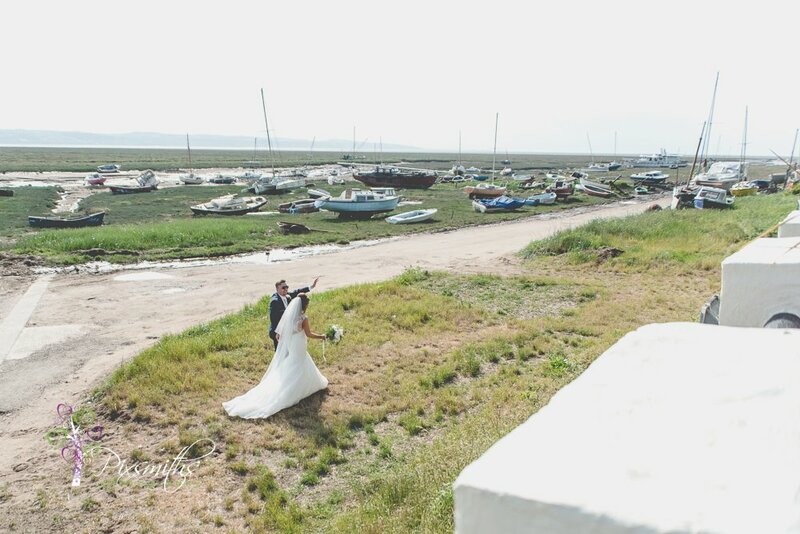 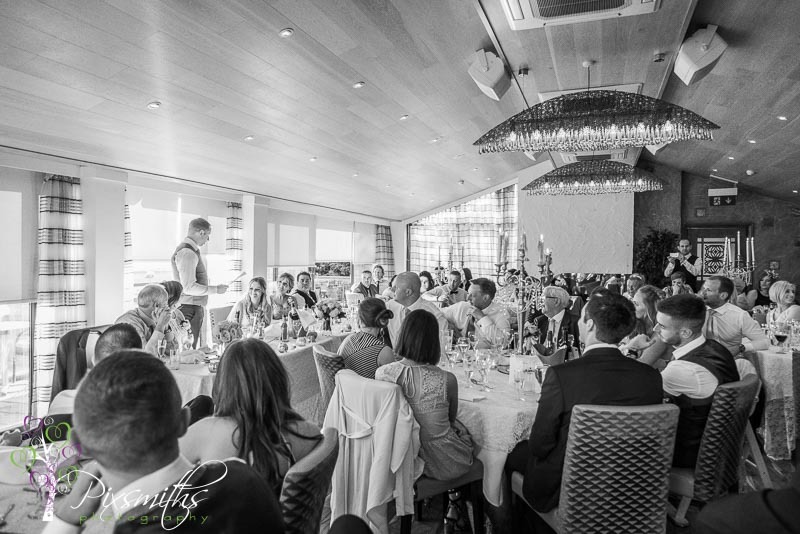 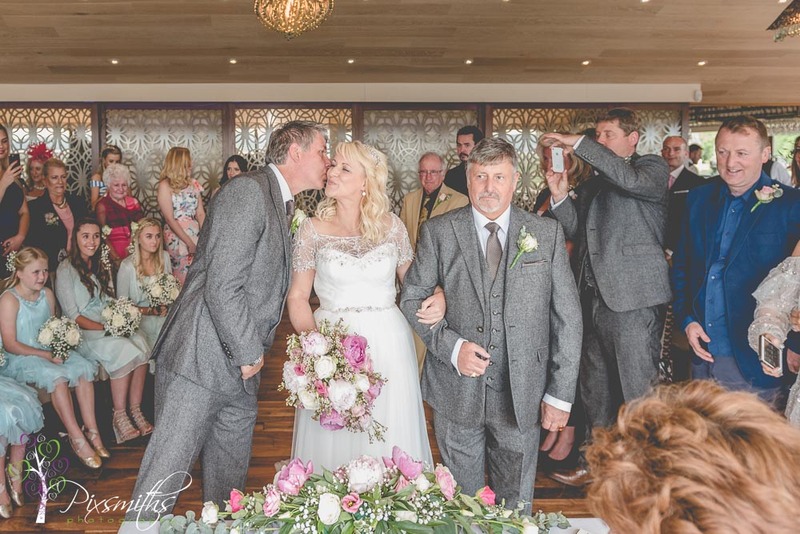 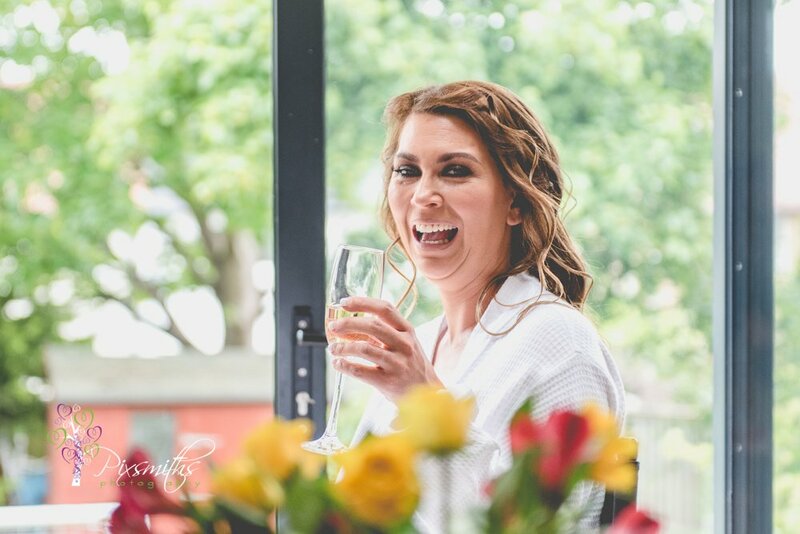 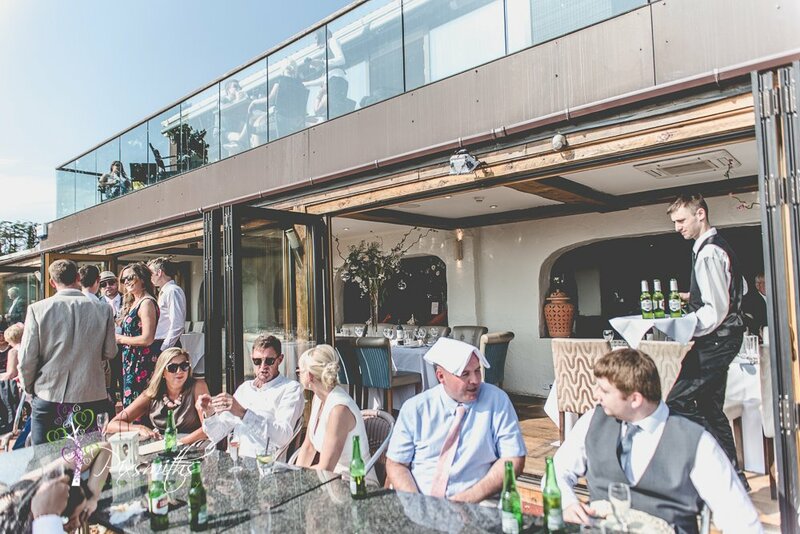 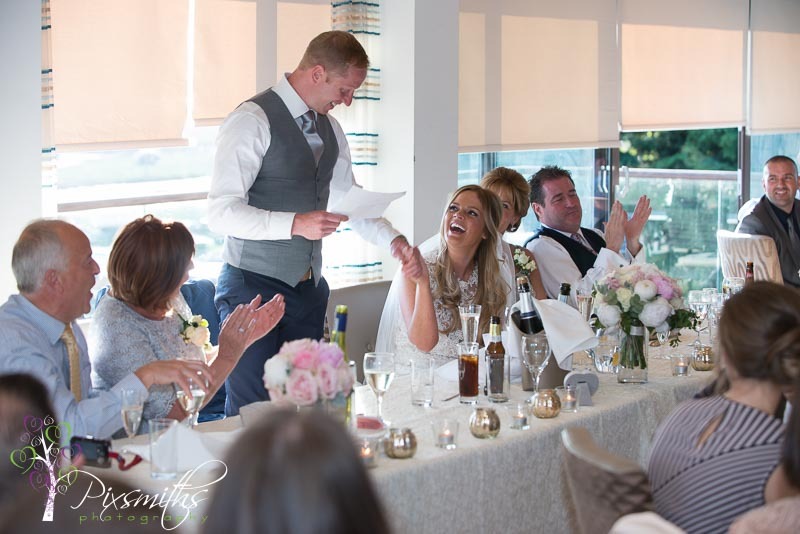 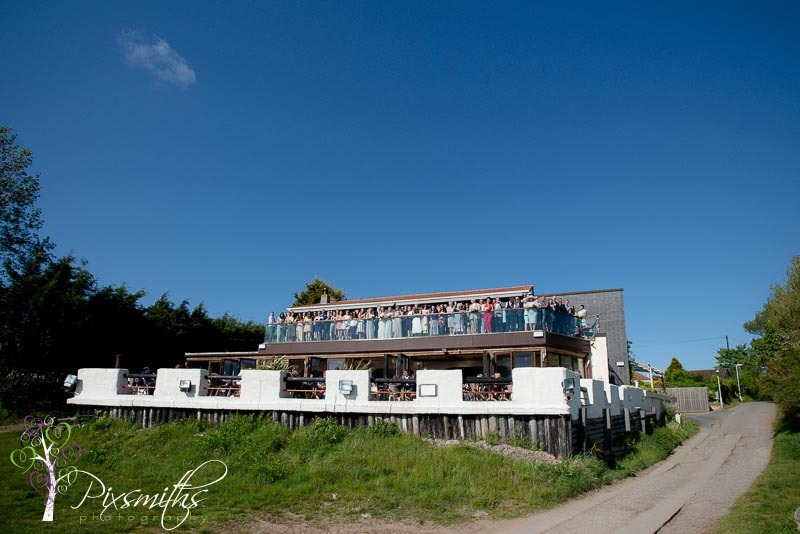 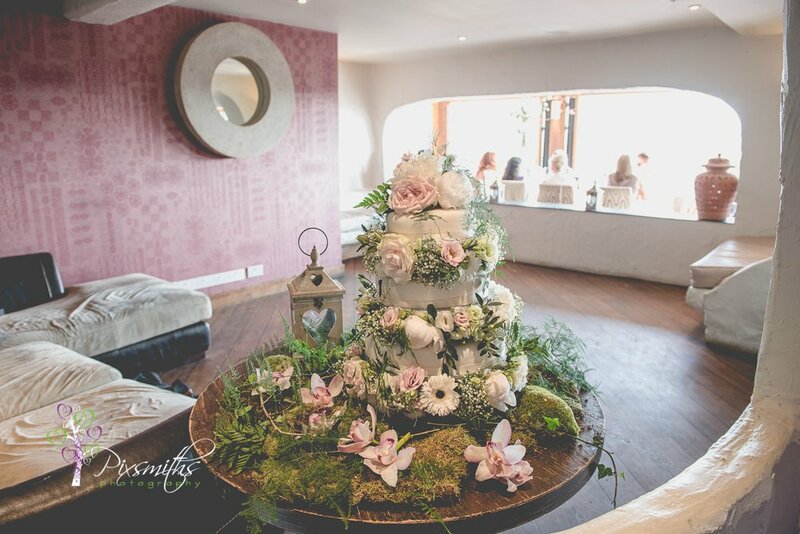 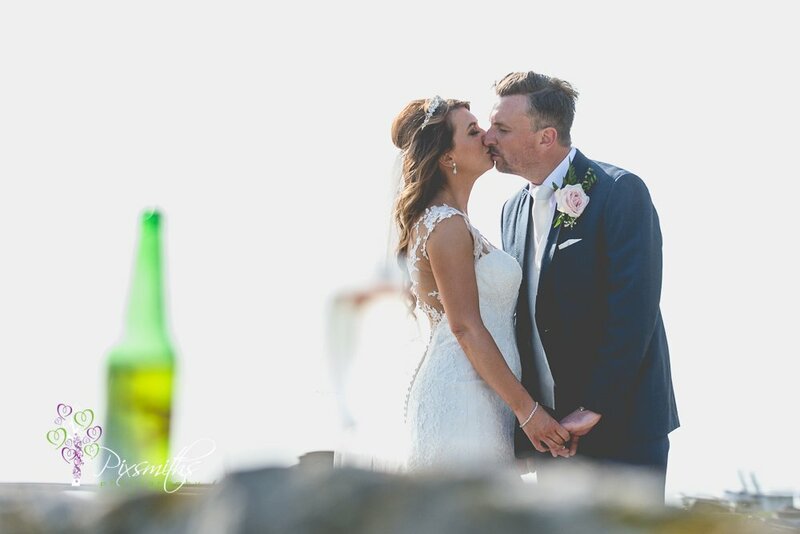 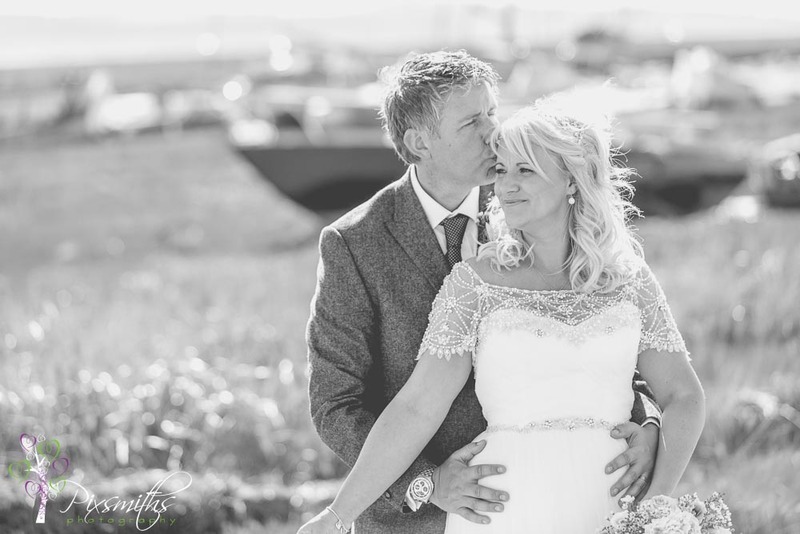 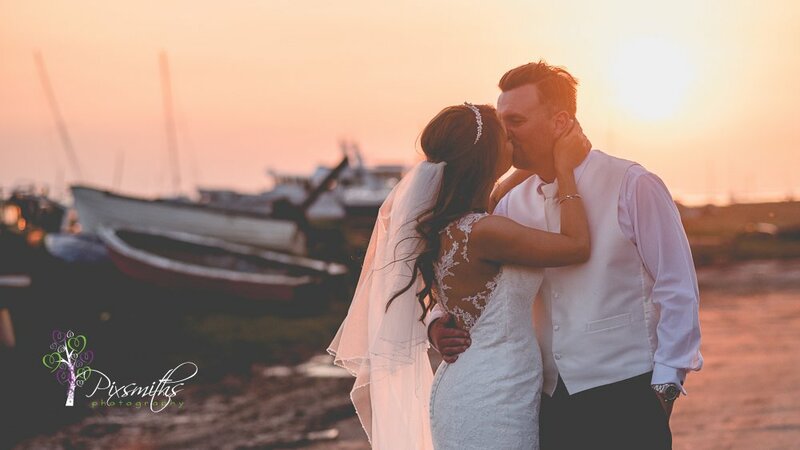 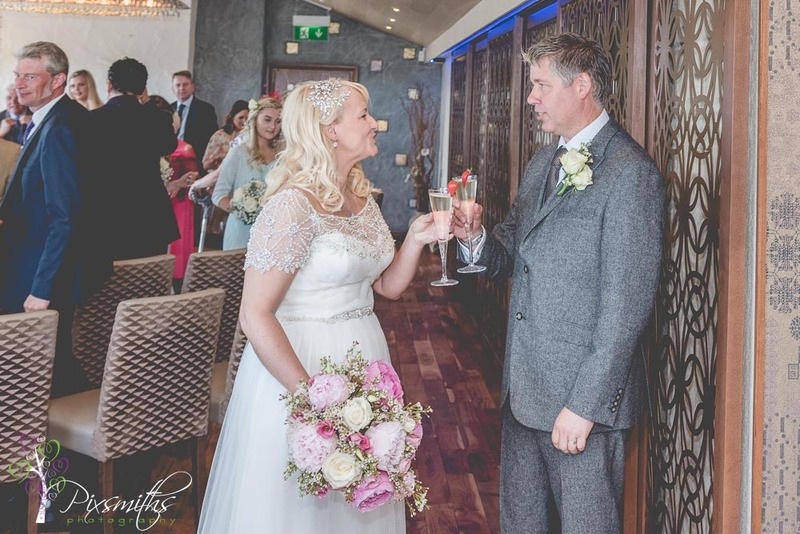 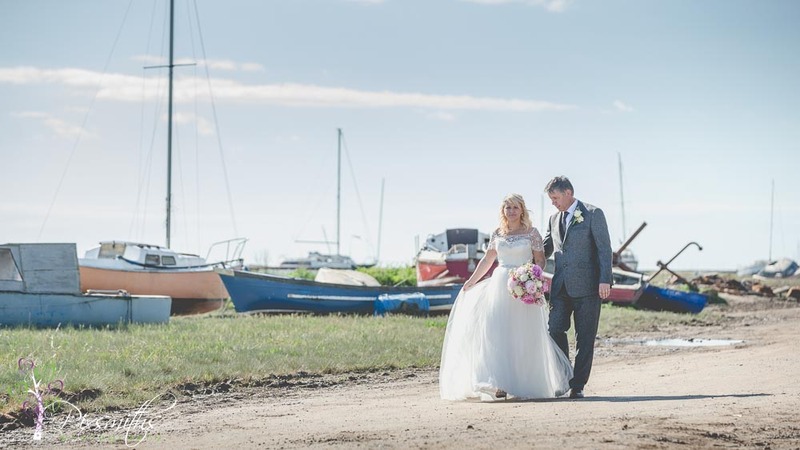 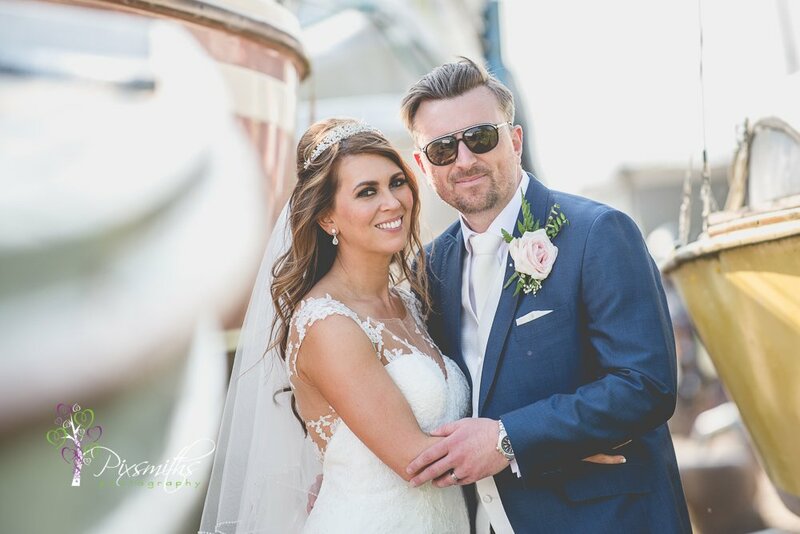 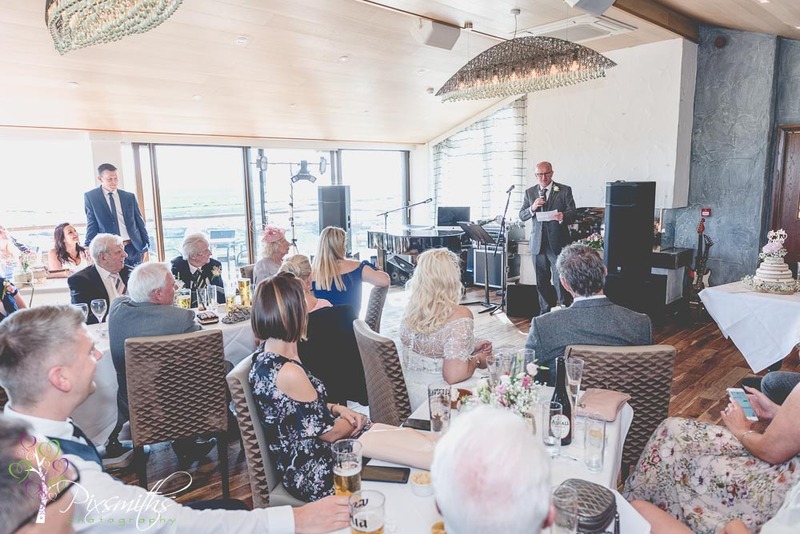 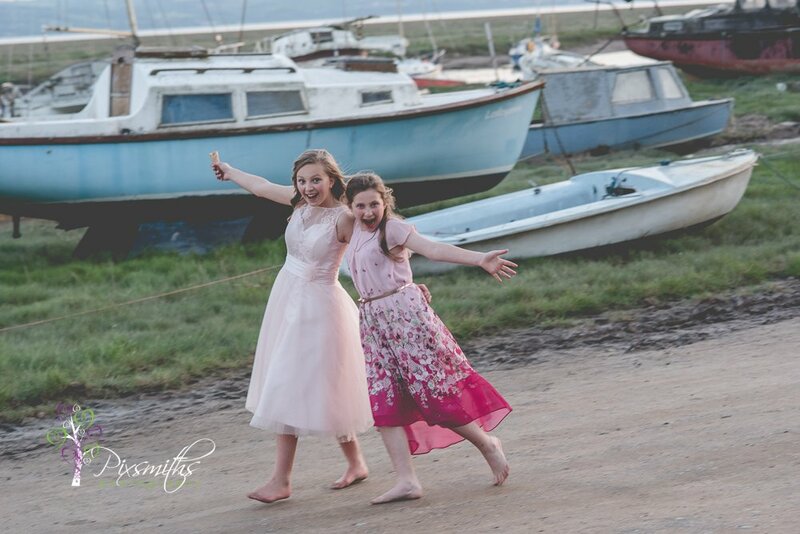 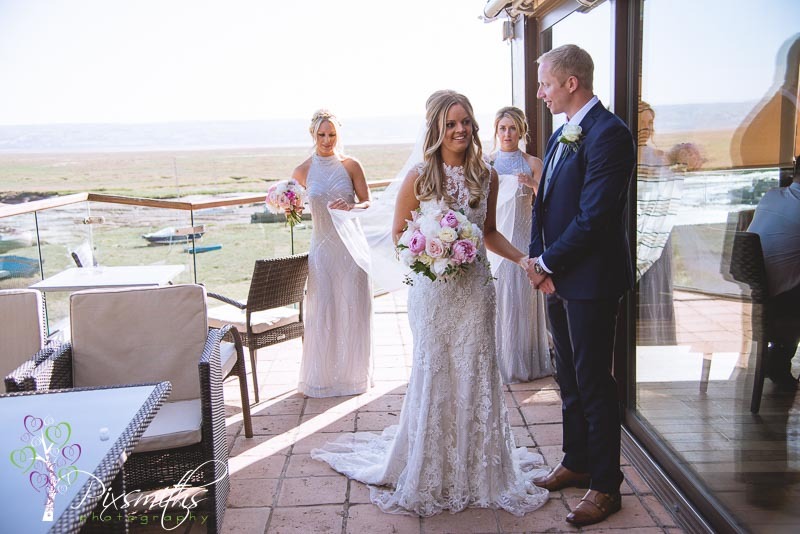 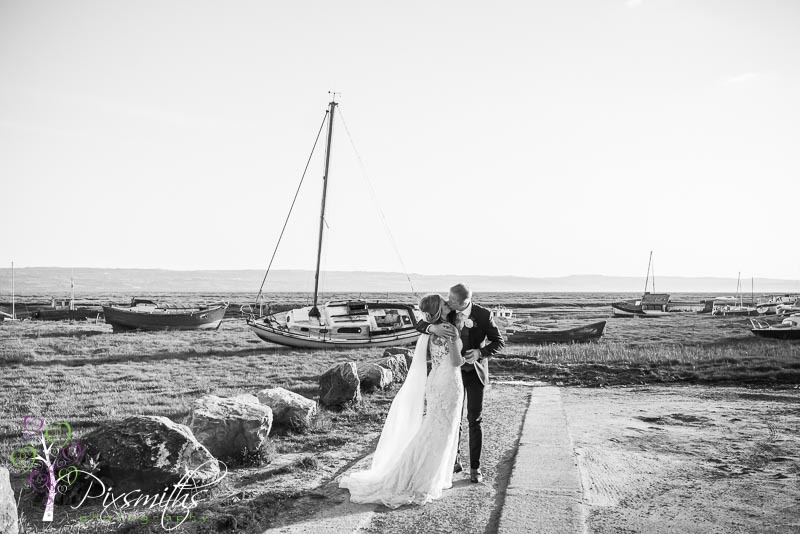 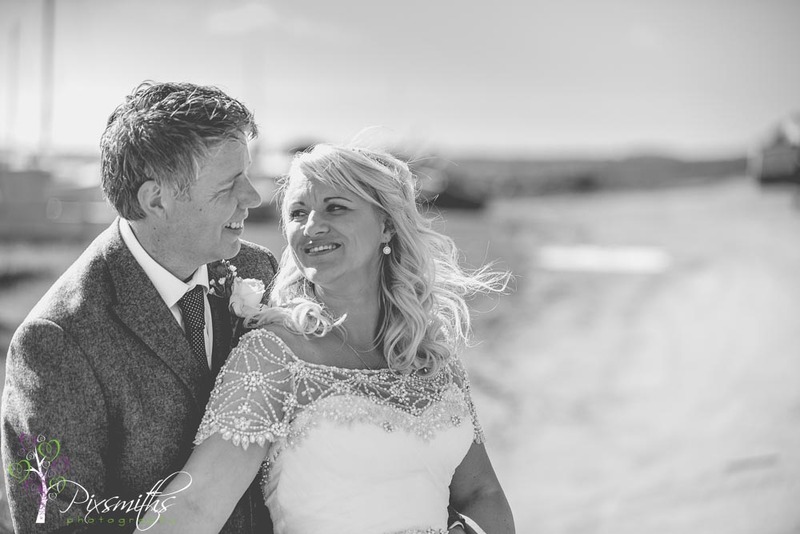 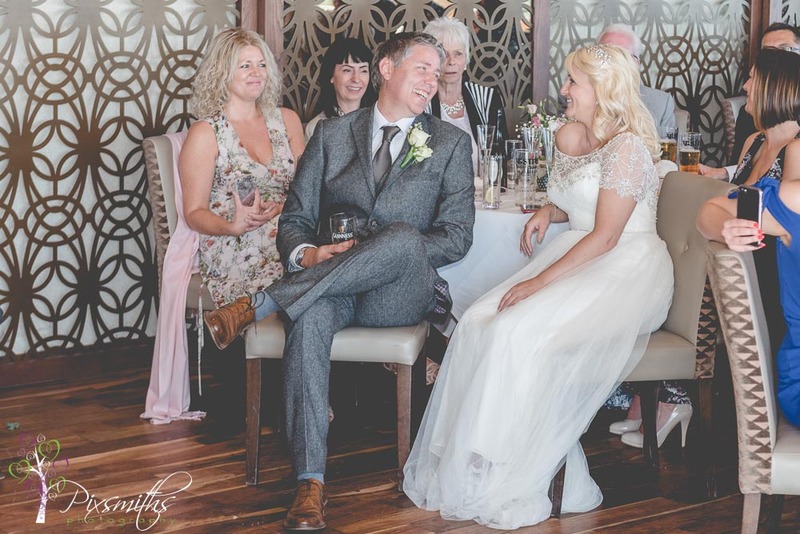 Sunshine a gorgeous couple and a fabulous venue at Sheldrakes restaurant overlooking the Dee Estuary. 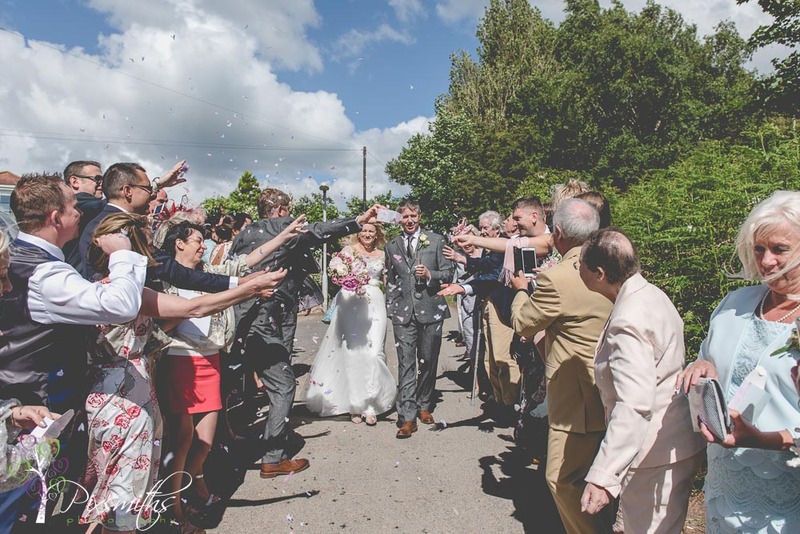 Just perfect ingredients for a relaxed wedding and knees up in the evening, just as Adelle and Matt wished for. 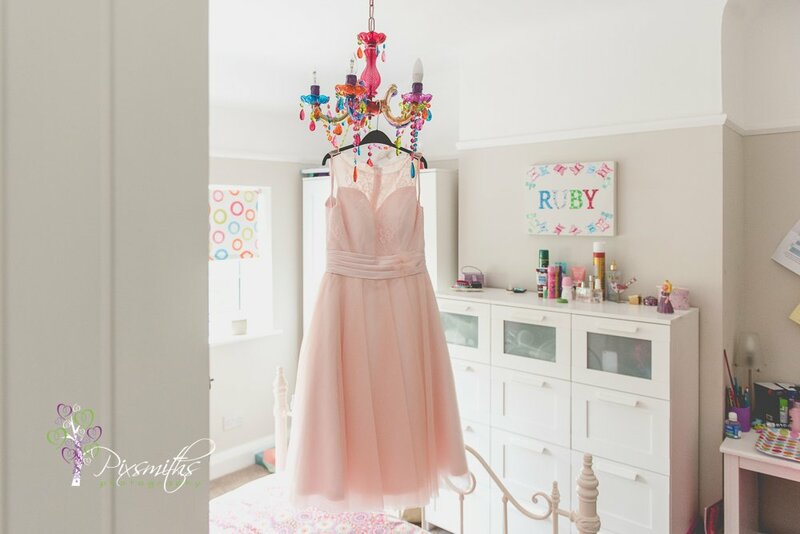 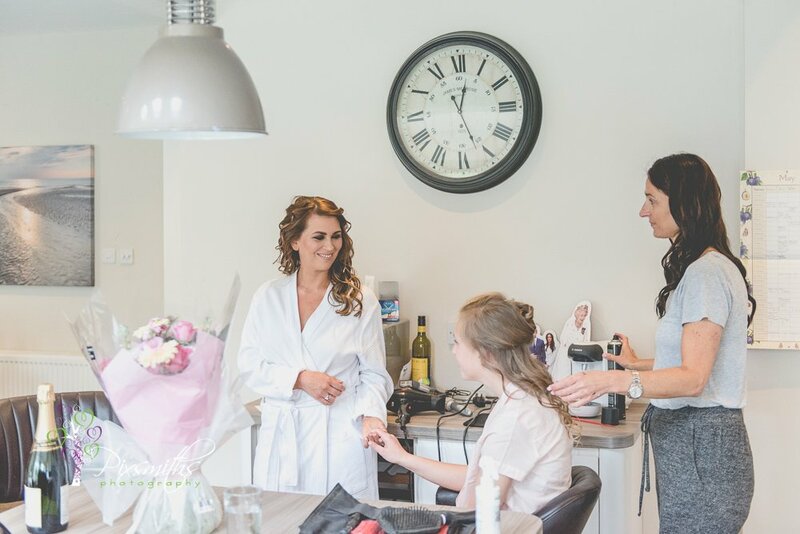 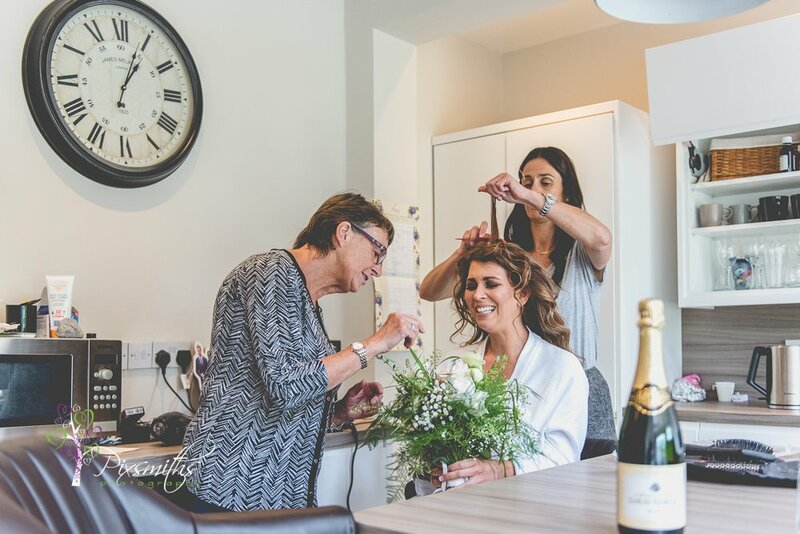 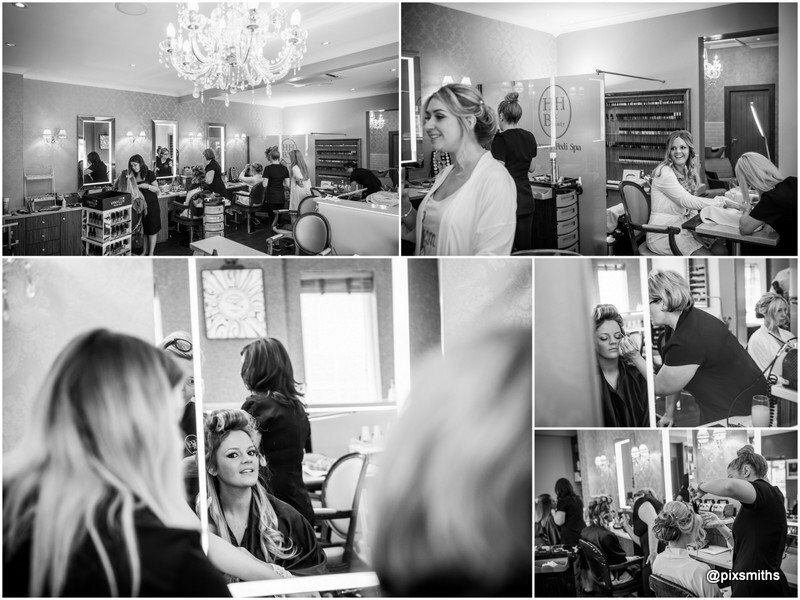 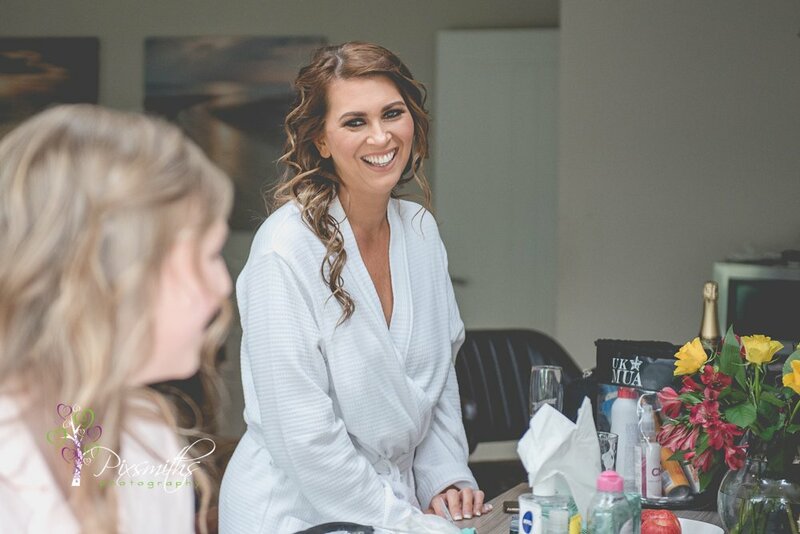 We started the day at the hair Salon in Heswall, just chilling with the girls and then onto Adelle’s mum’s beautiful stylish home to capture some details before the girls arrived back to get dressed. 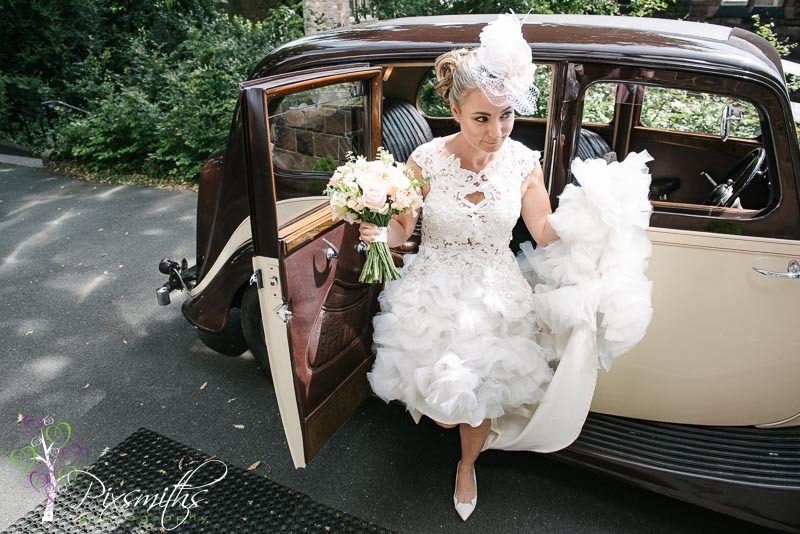 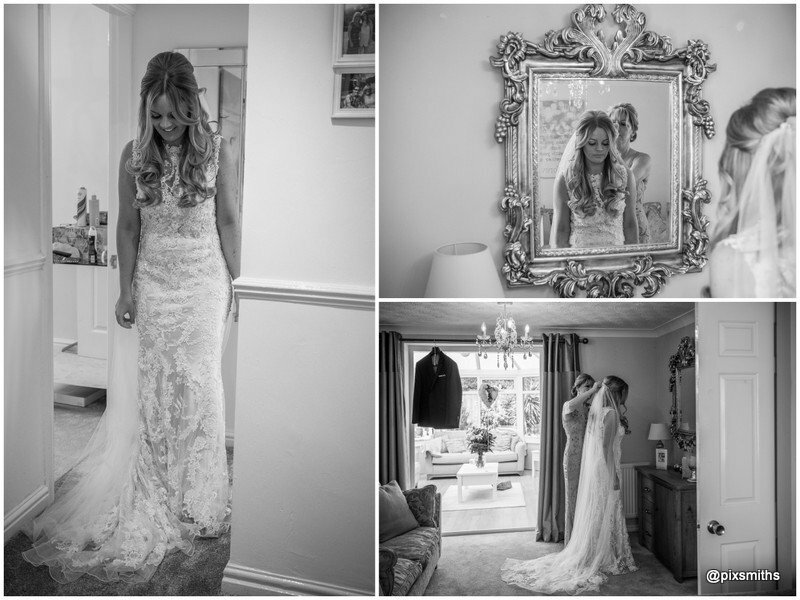 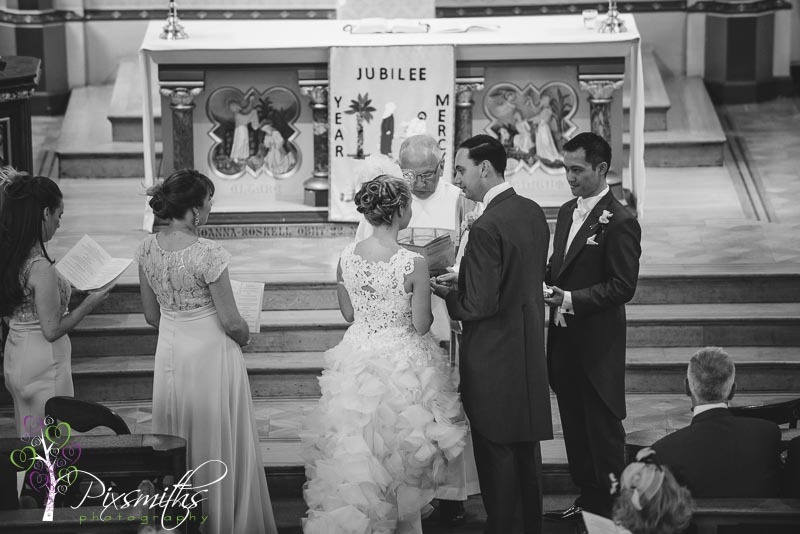 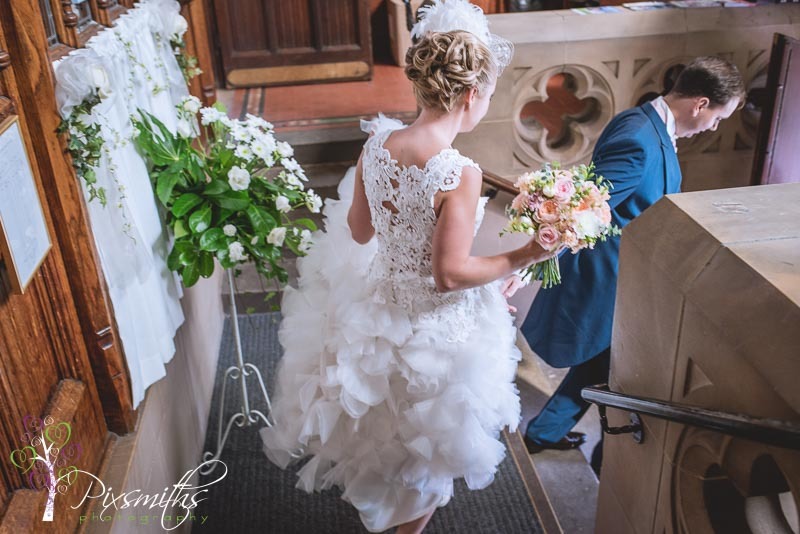 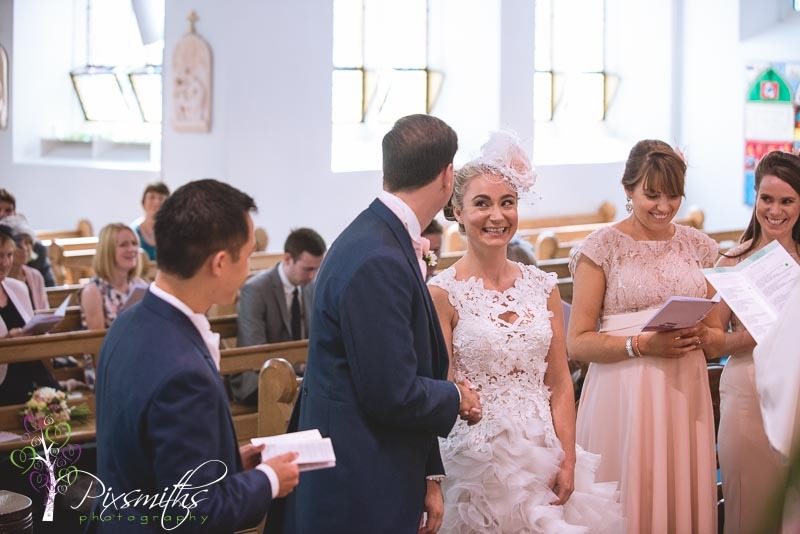 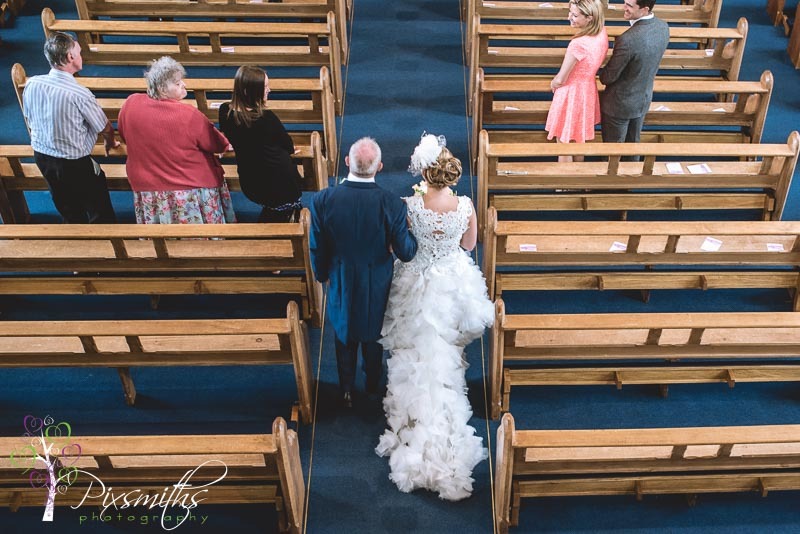 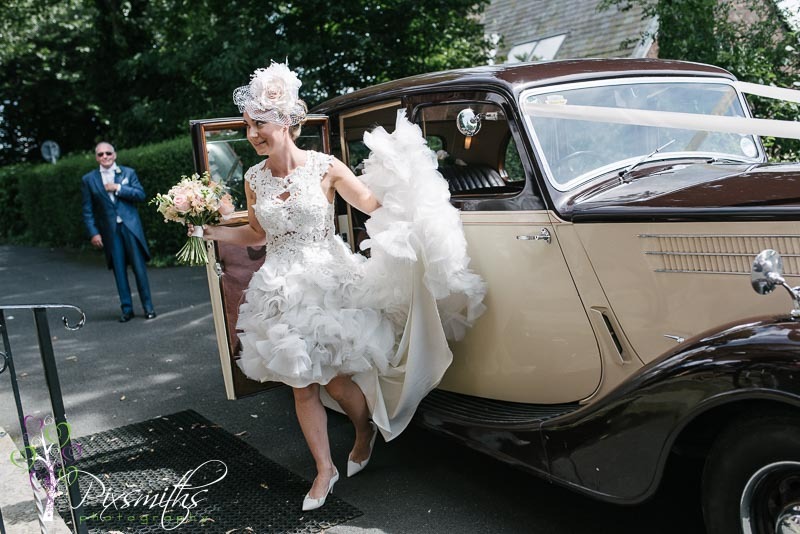 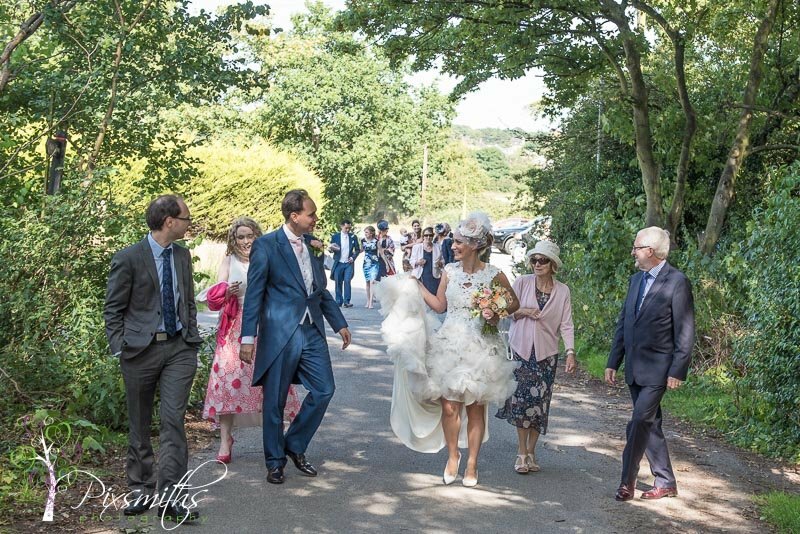 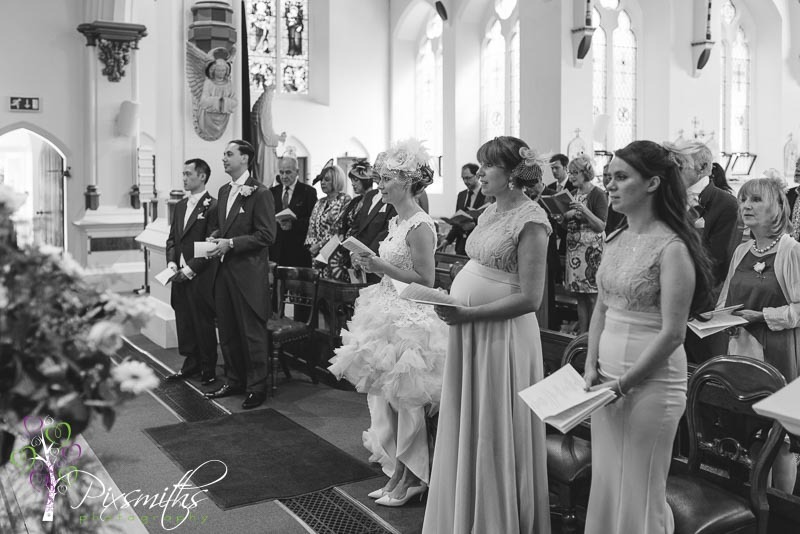 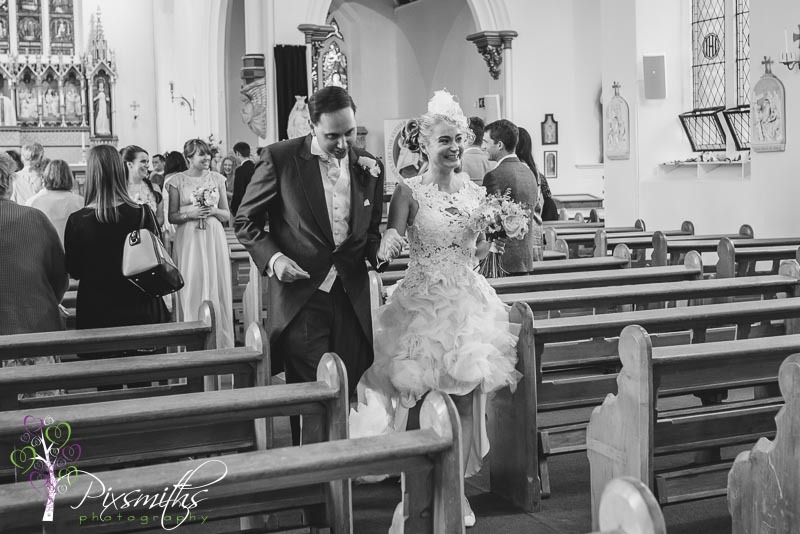 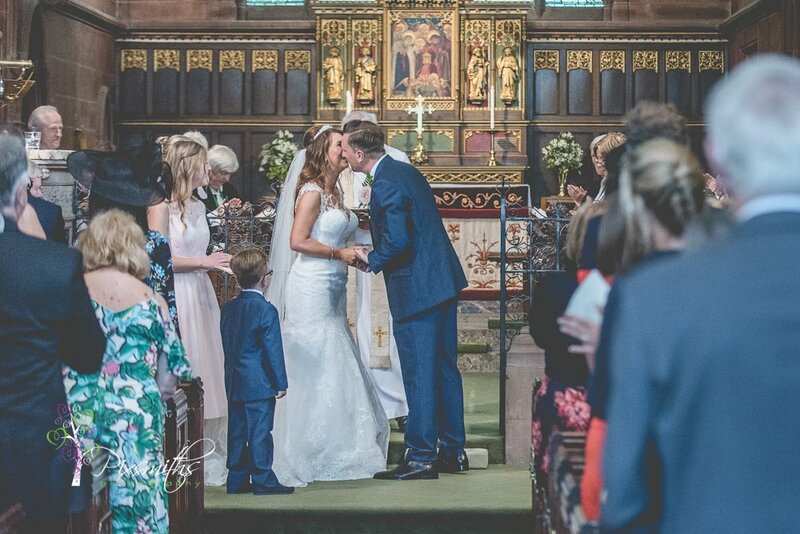 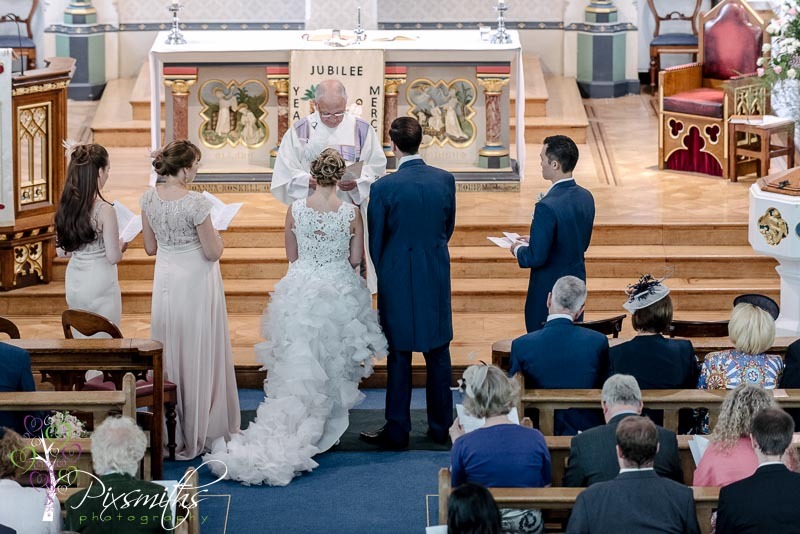 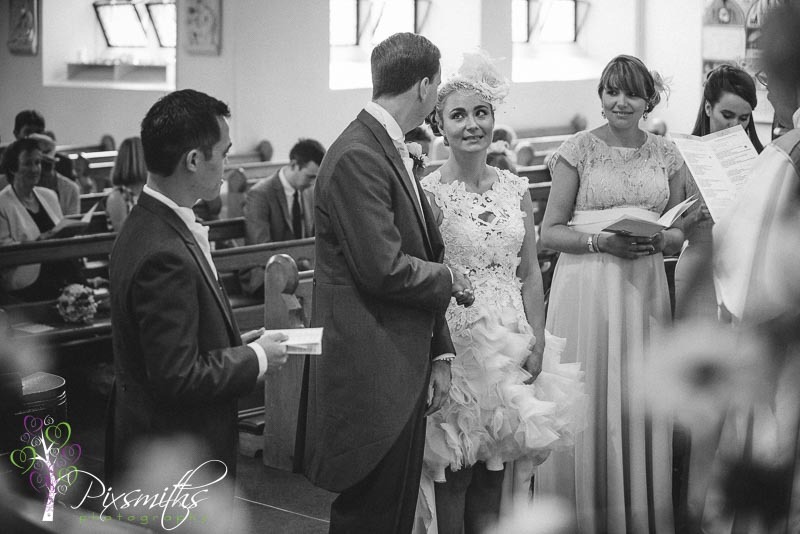 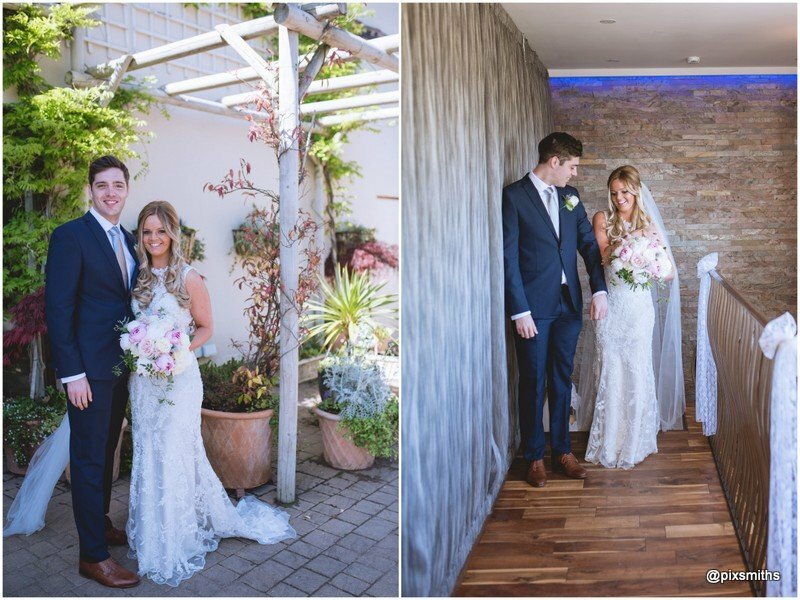 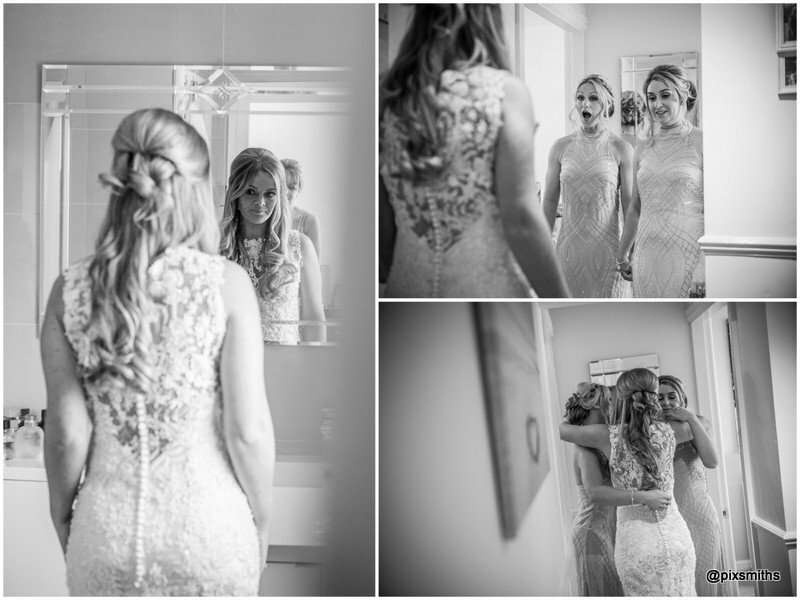 Adelle’s dress was a stunning delicate lace design which slipped over a long ivory underslip, so fitting , gorgeous. 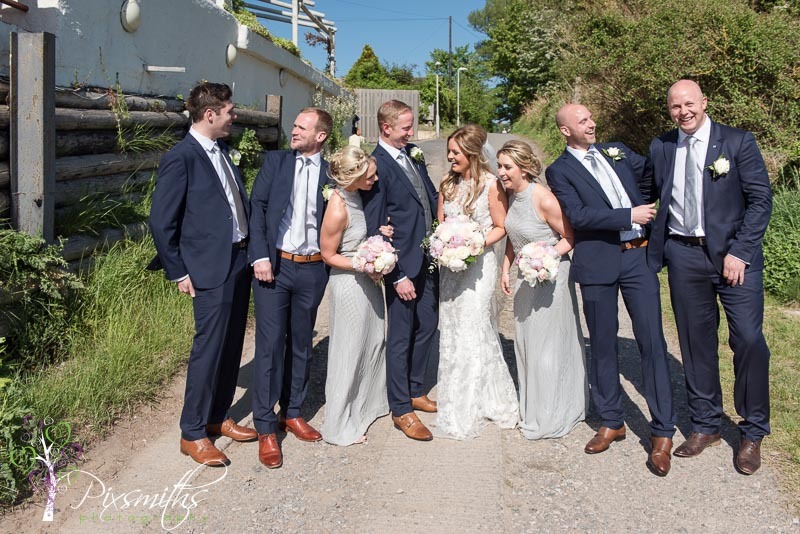 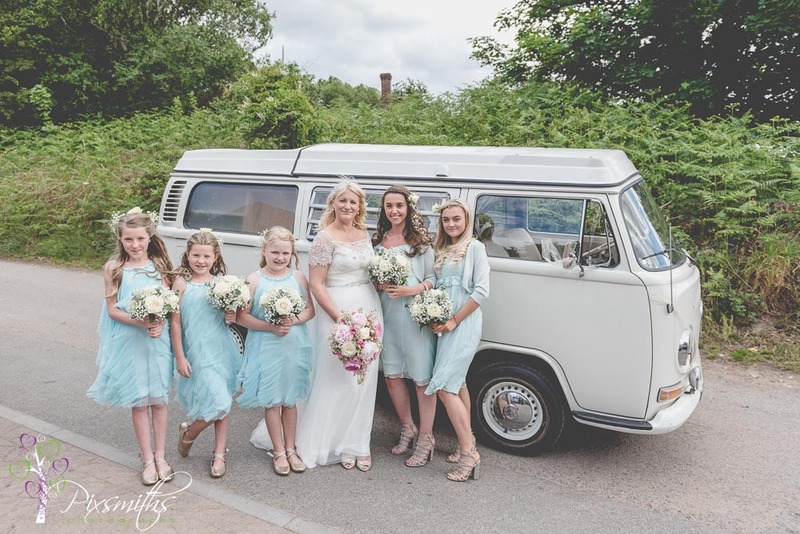 So relaxing for Adellee and her bridesmaids could relax outside – always good to give yourselves plenty of time to relax and enjoy the wedding day as it true it just flies by! 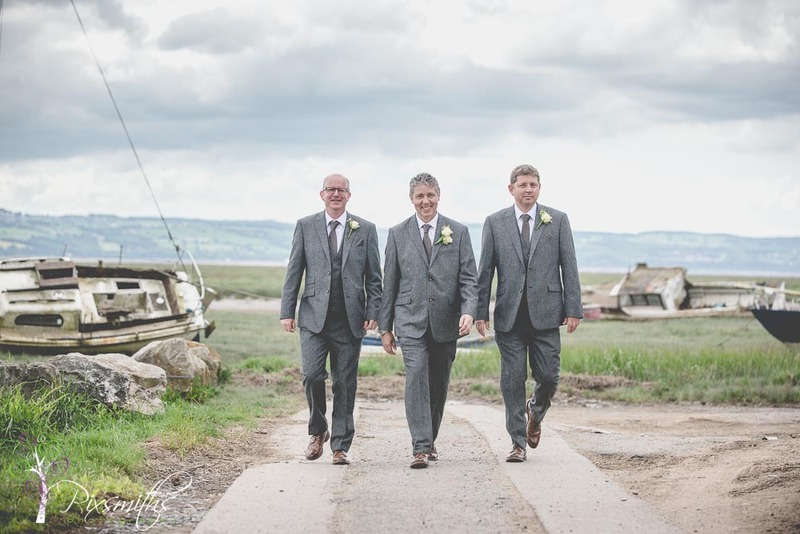 Onto the ceremony with Speedwell motors (a family friend) at Sheldrakes. 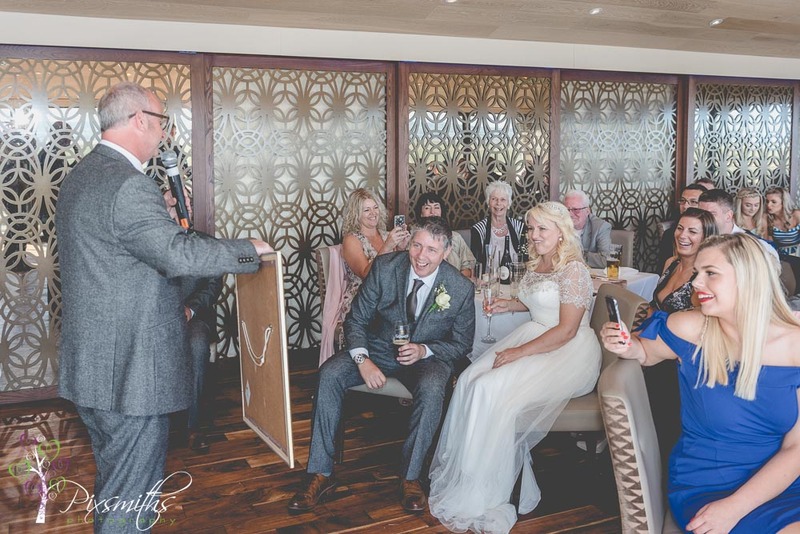 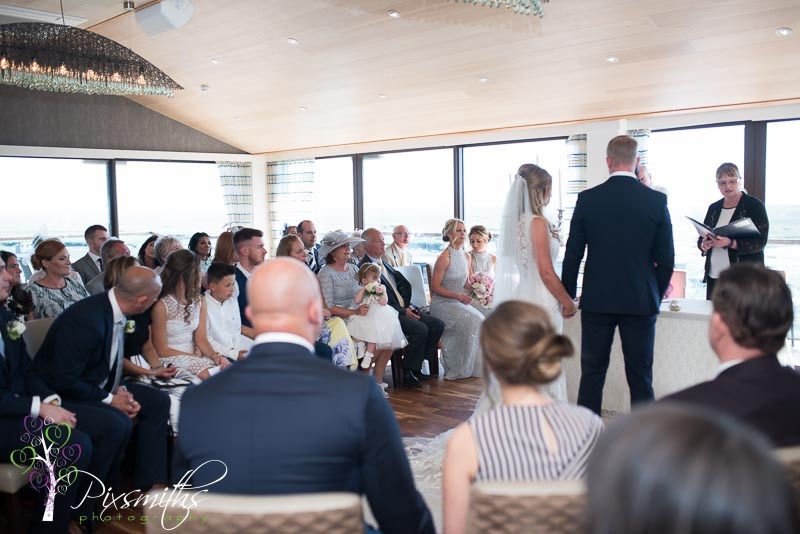 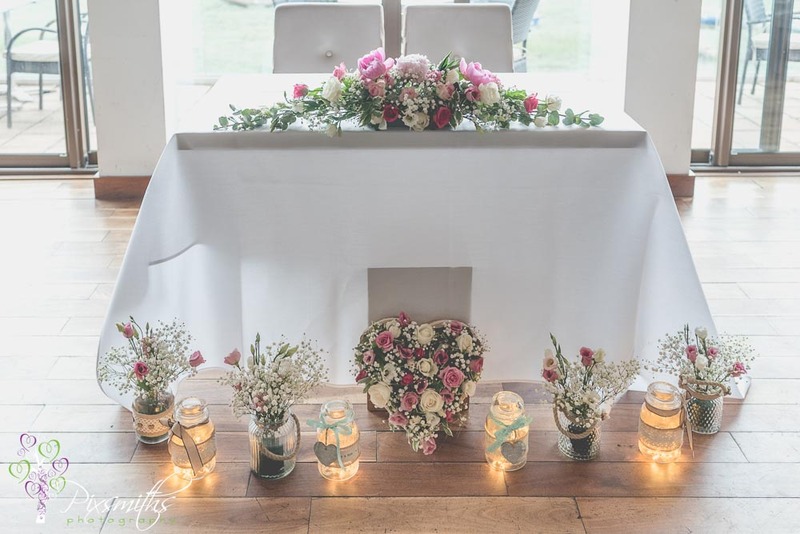 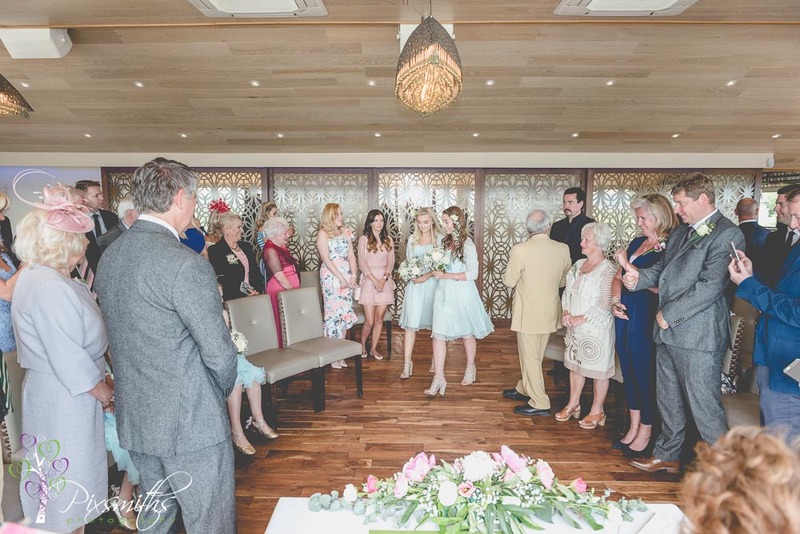 Really like the way the room is set up for Sheldrake civil ceremony weddings – like a horsehoe so its more of an intimate, involved feel for the guests to see the vows being made. 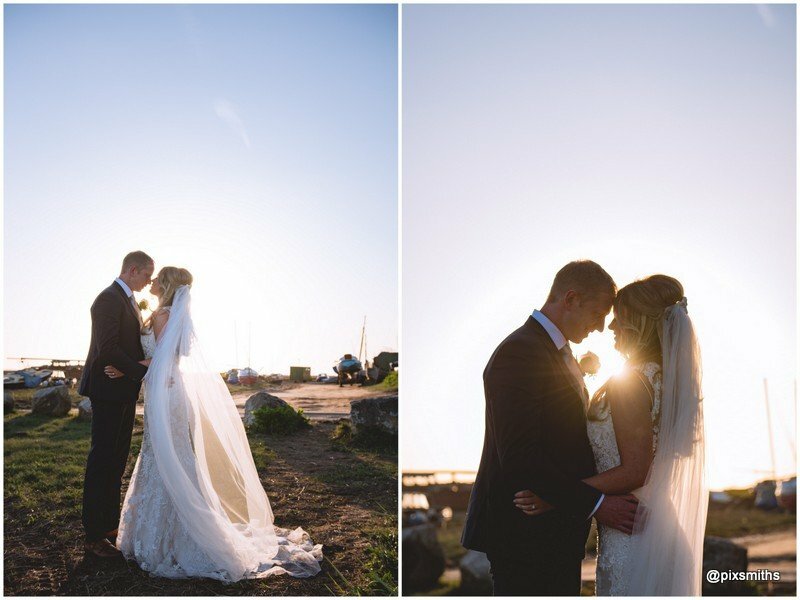 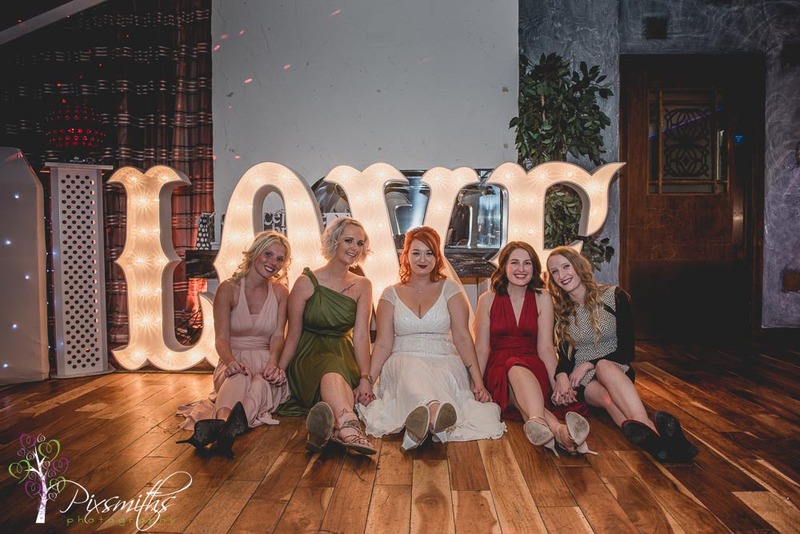 An elegant emotional ceremony then onto group pics, we opted to do majority of bridal portraits in the gorgeous evening golden hour light and then party the night away. 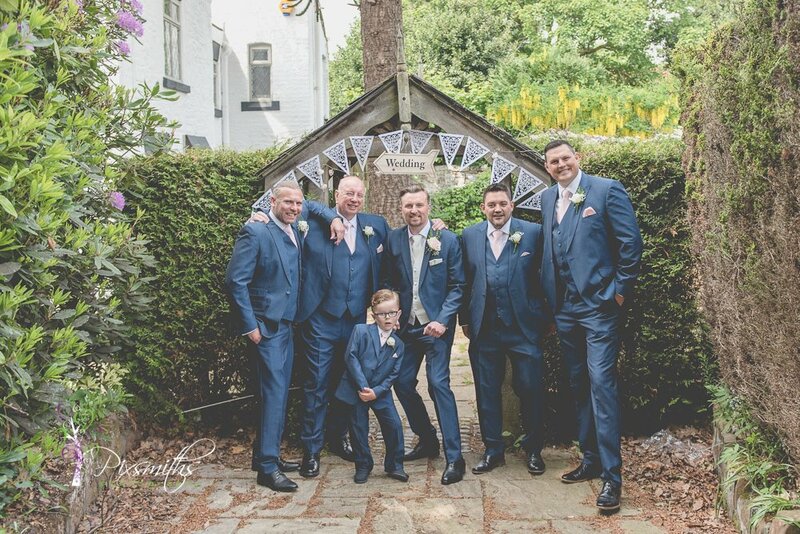 The Best men gave a hilarious (long!) 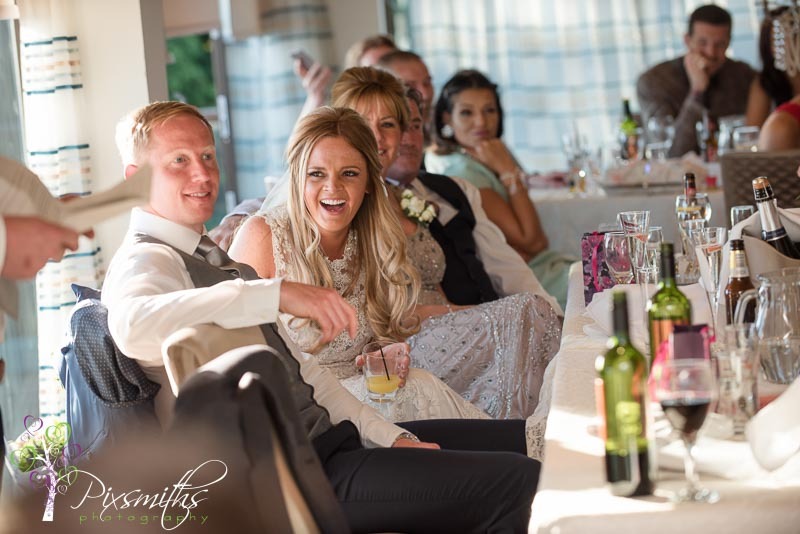 speech accompanied by video clips to embarrass Matt, they were merciless..but so funny! 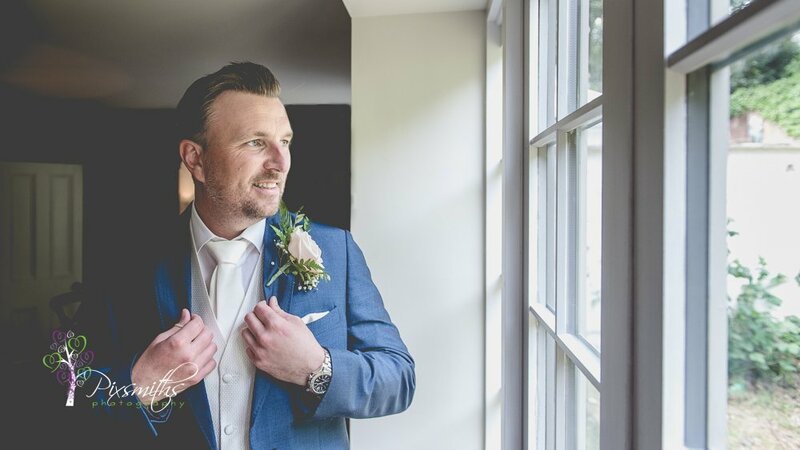 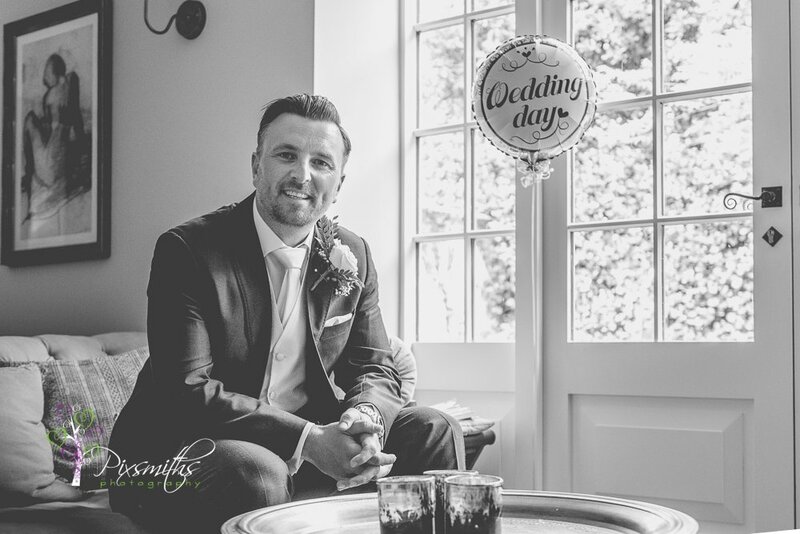 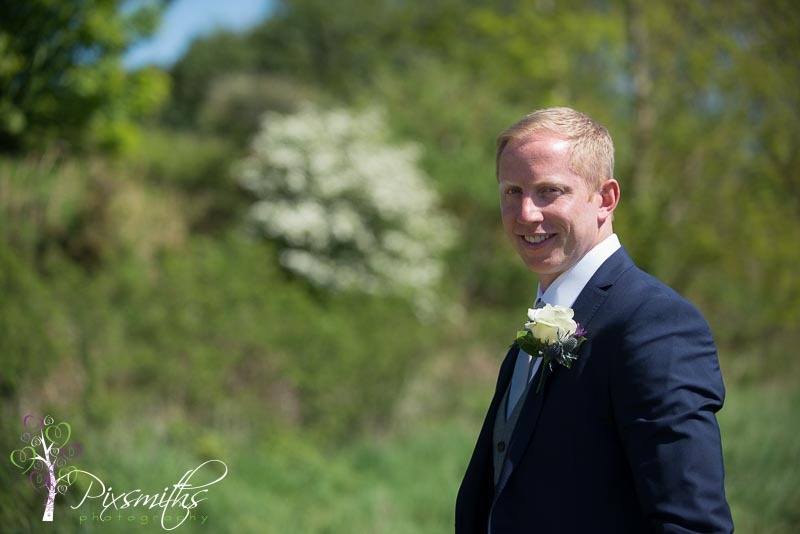 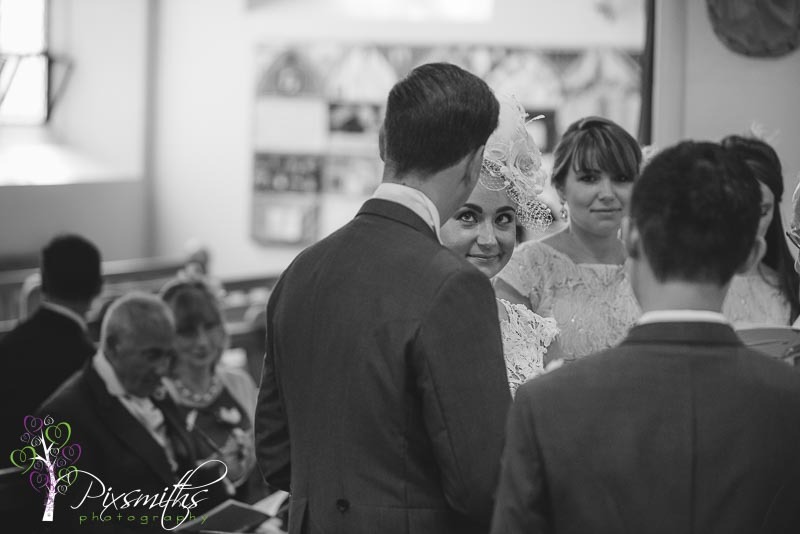 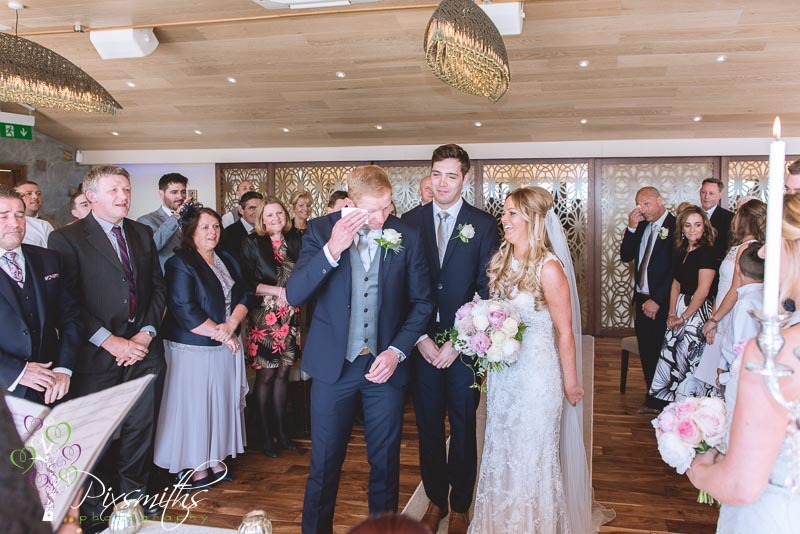 Emotion by bride or groom is what we love to capture, I do believe Matt had a teas in his eyes when he saw his stunning bride!